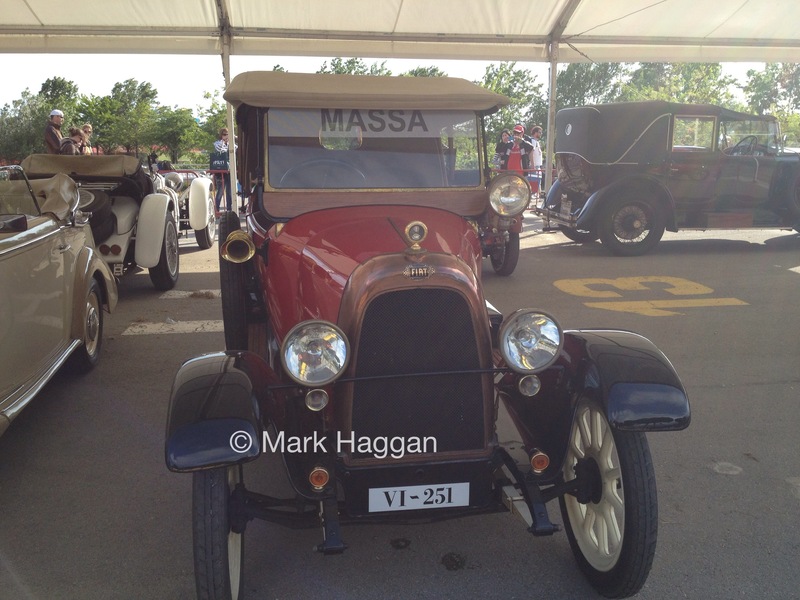 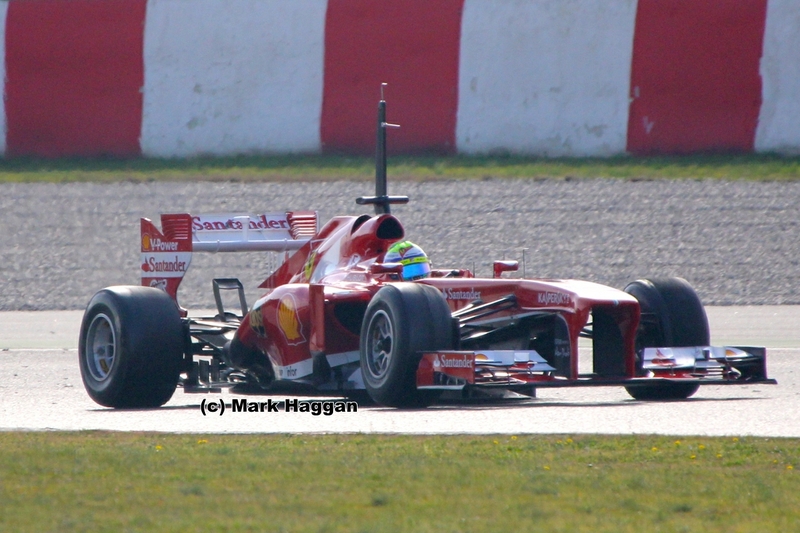 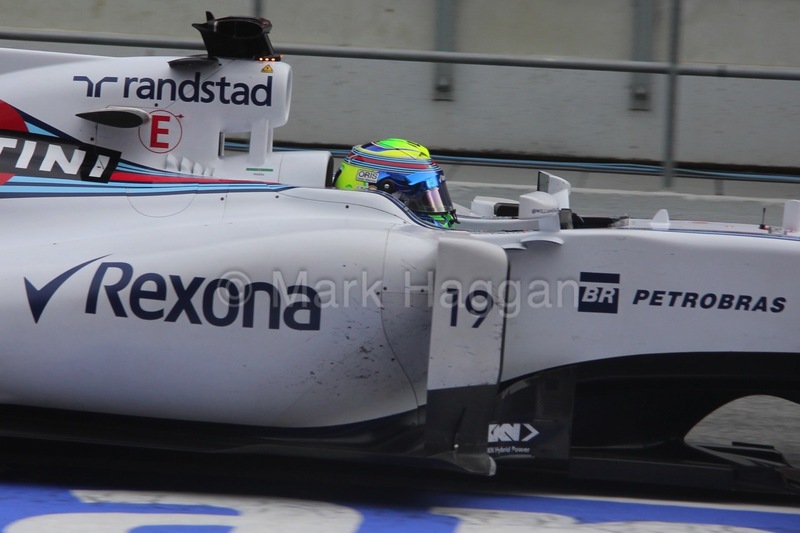 Continuing the theme of galleries of Formula One drivers, the next on the list is Felipe Massa. 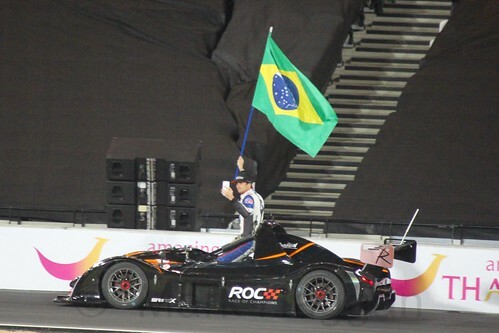 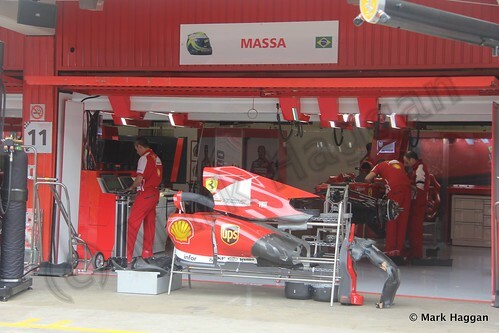 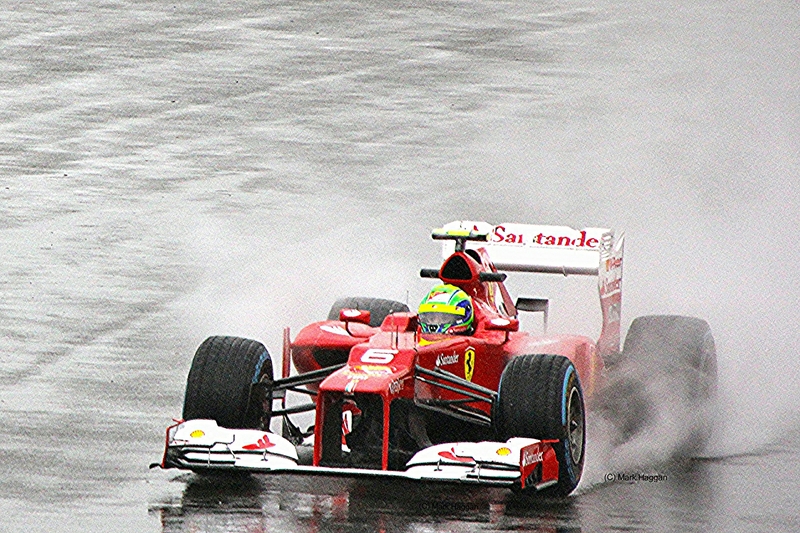 The popular Brazilian driver arrived in Formula One with Sauber in 2002, and after a year as the Ferrari test driver, returned to Sauber for the 2004 and 2005 seasons. 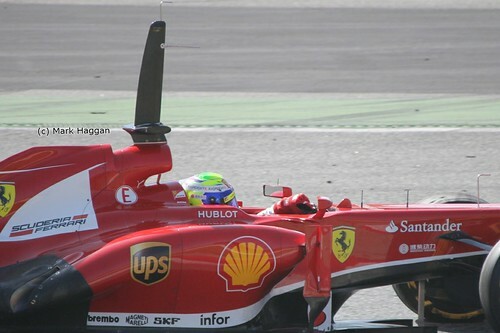 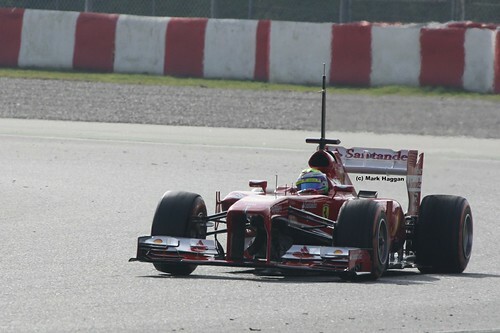 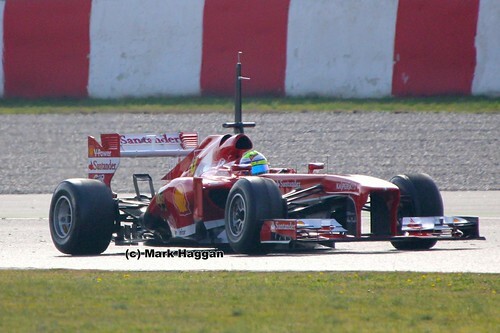 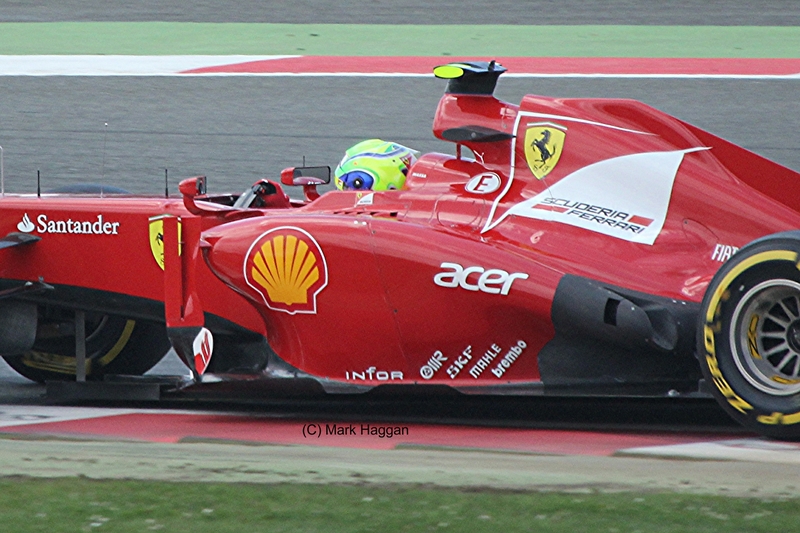 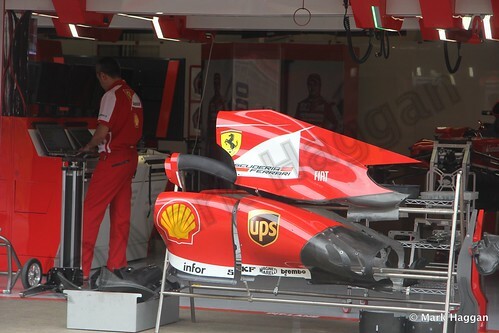 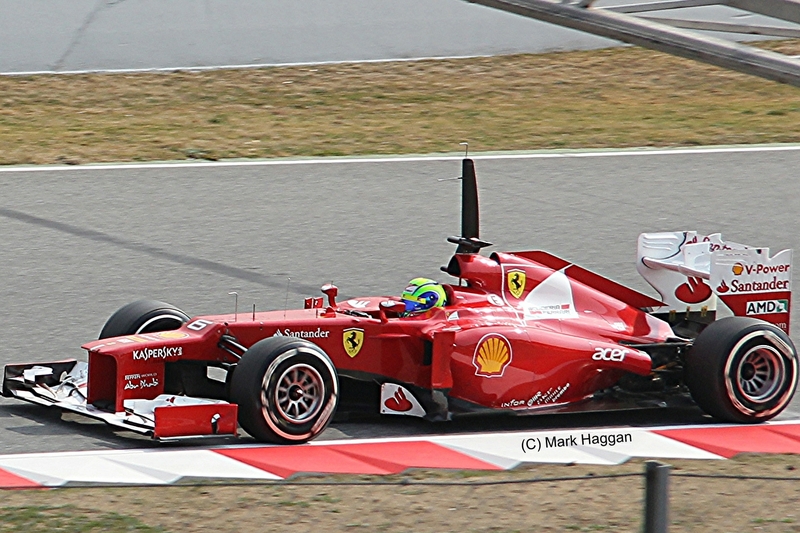 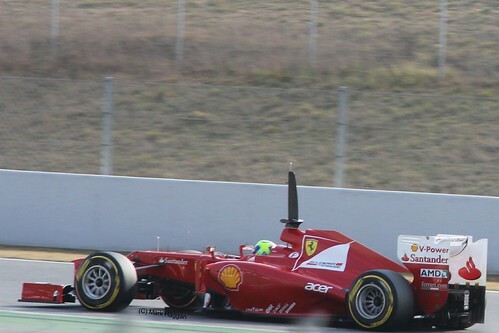 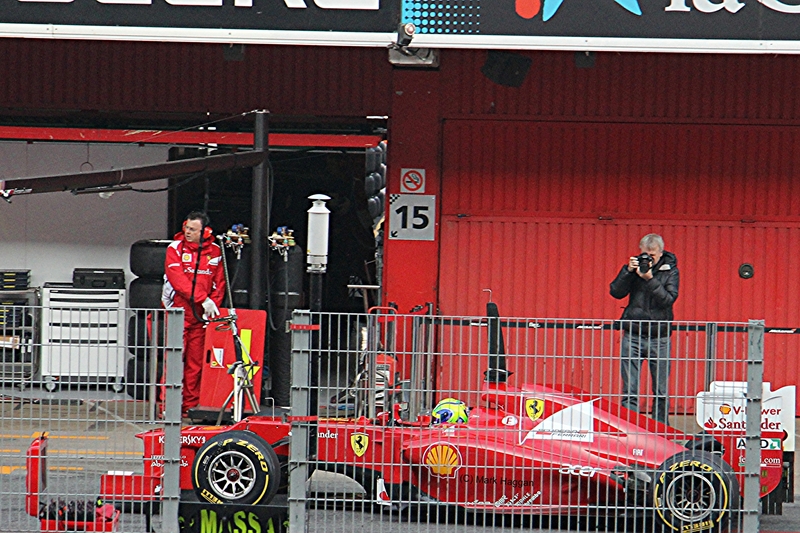 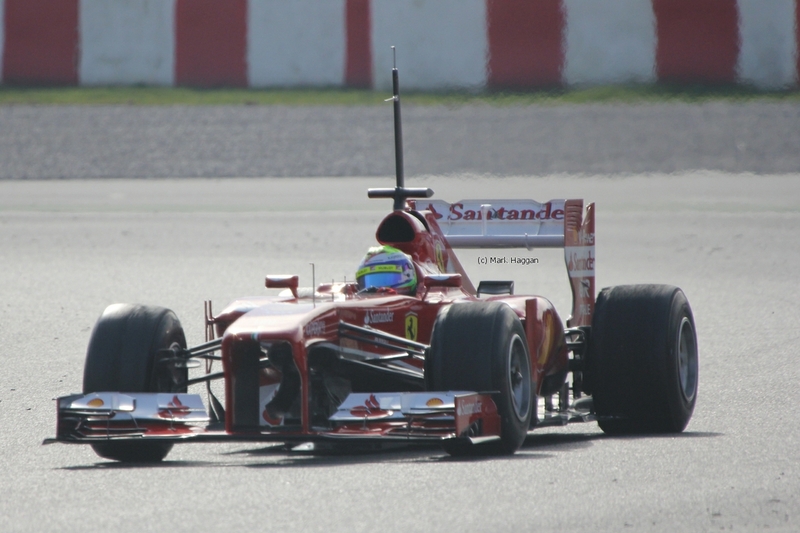 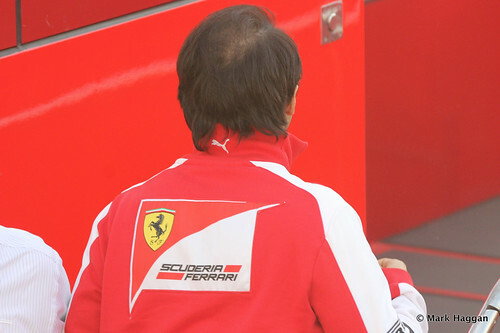 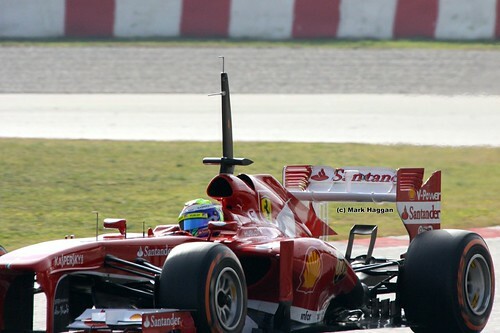 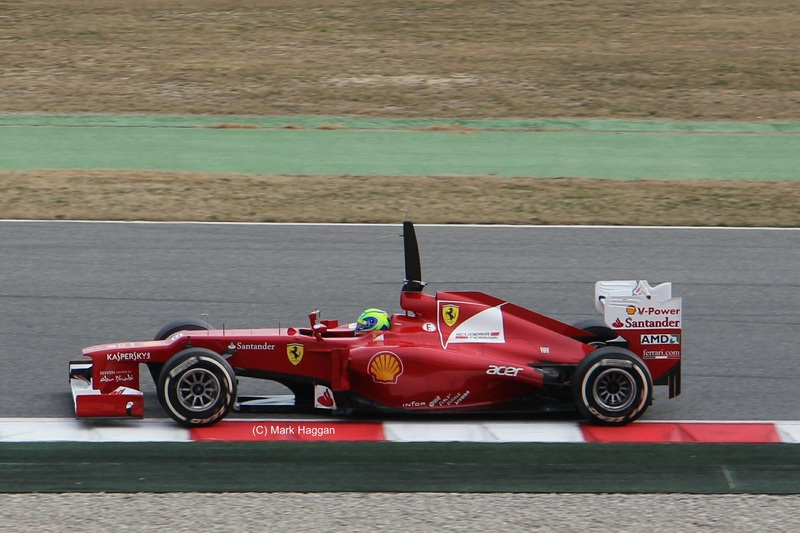 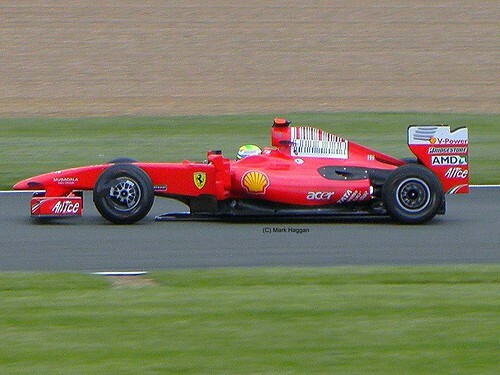 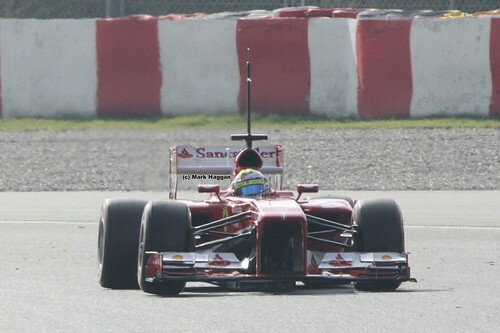 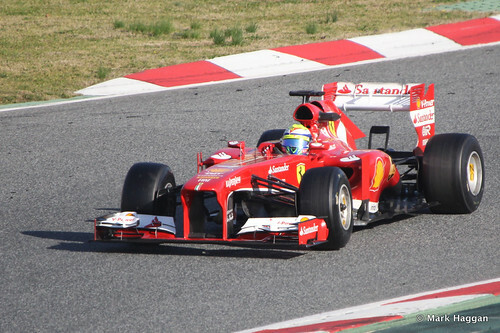 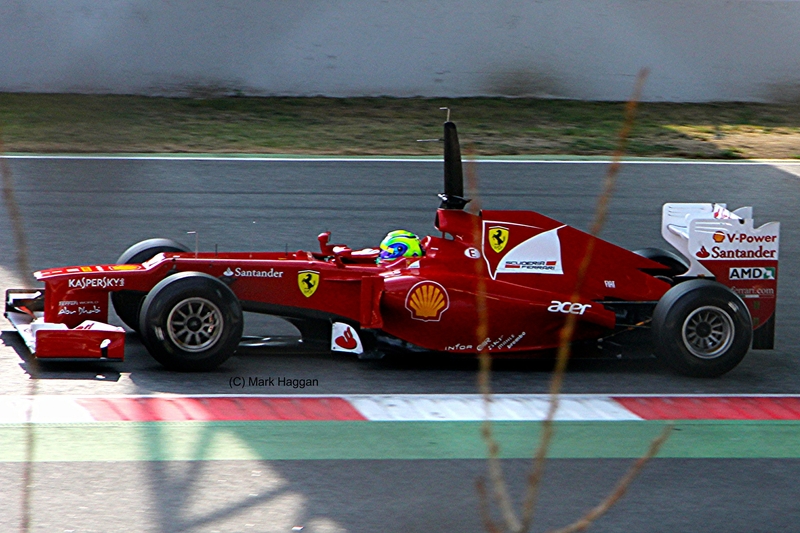 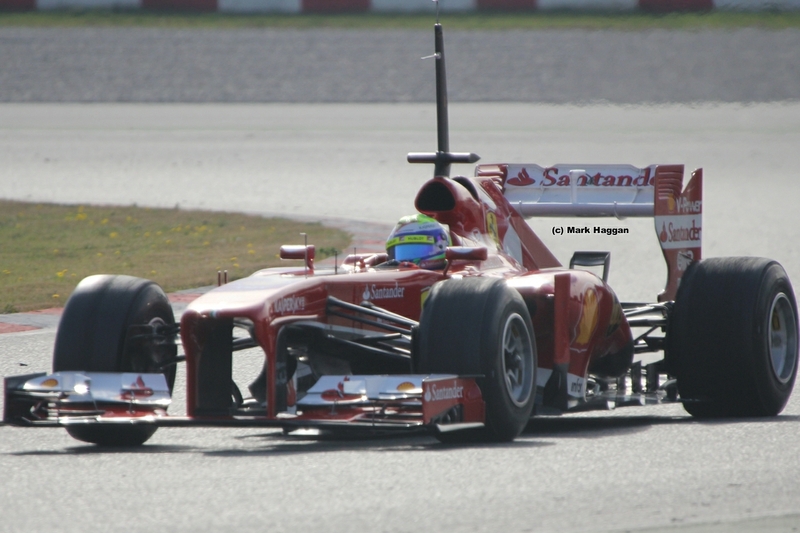 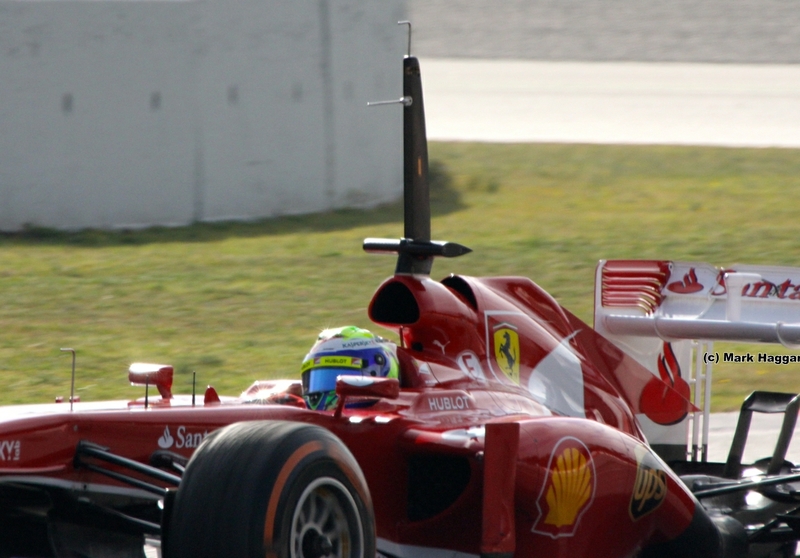 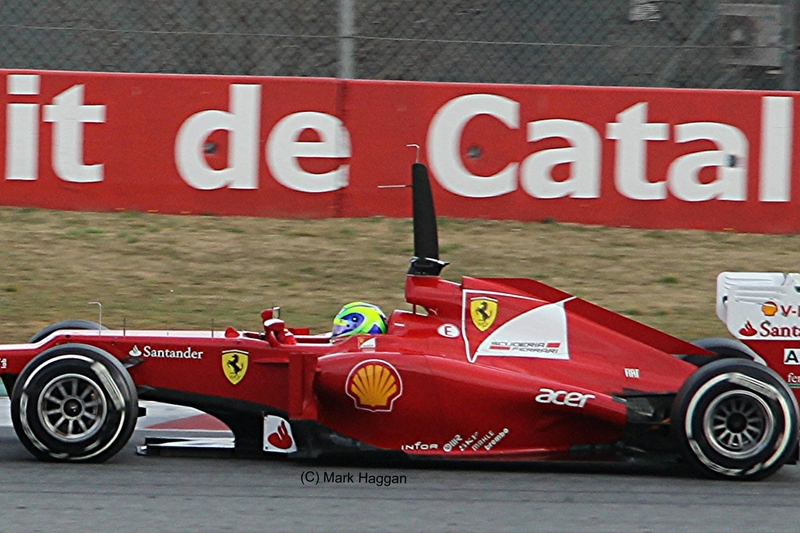 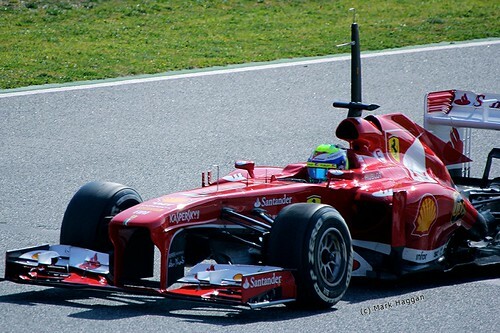 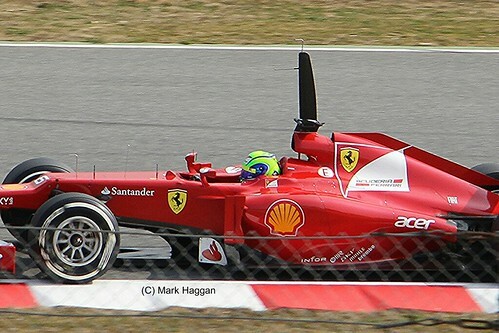 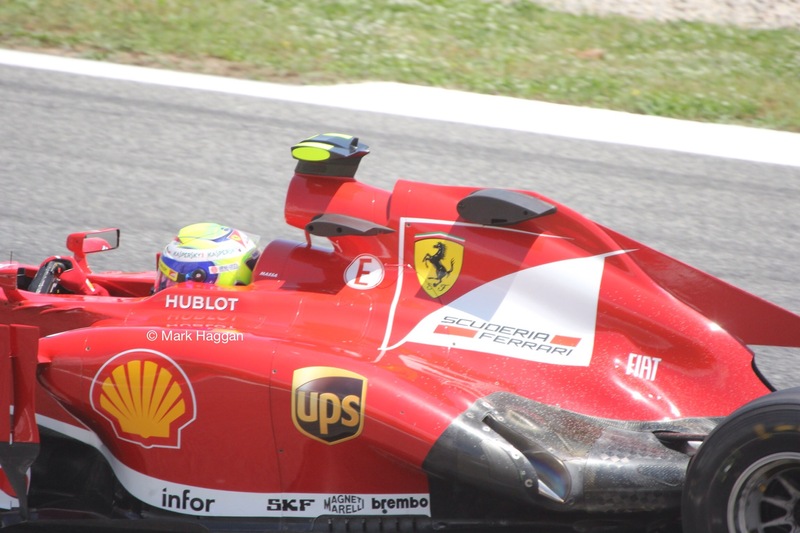 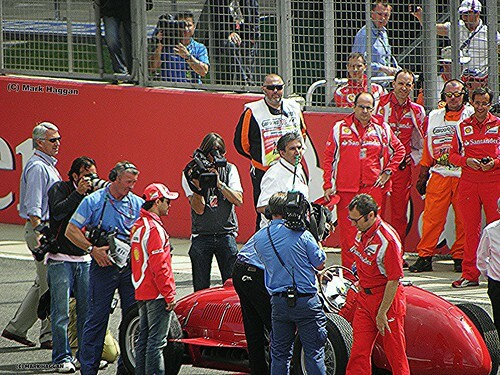 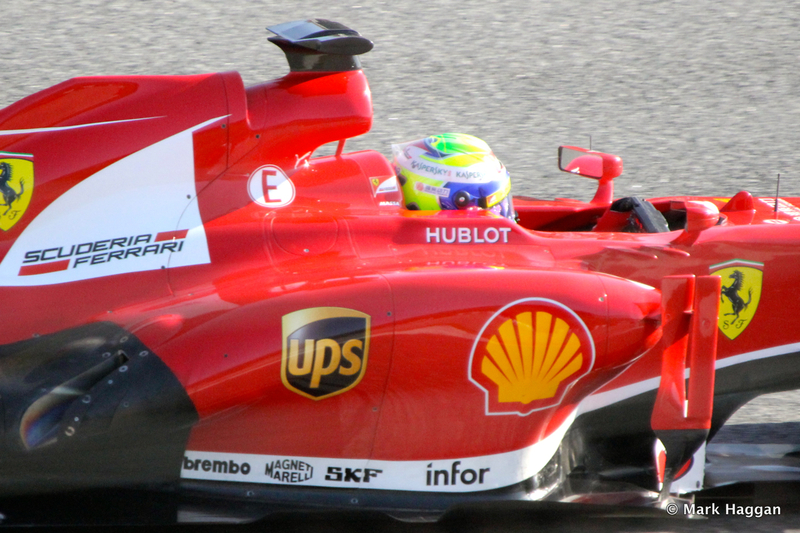 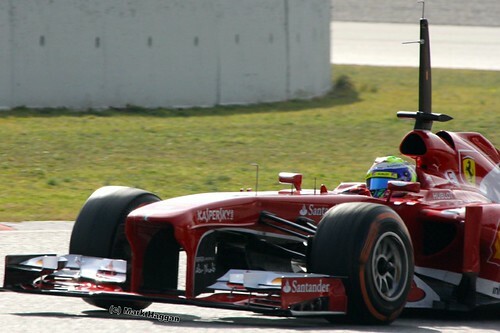 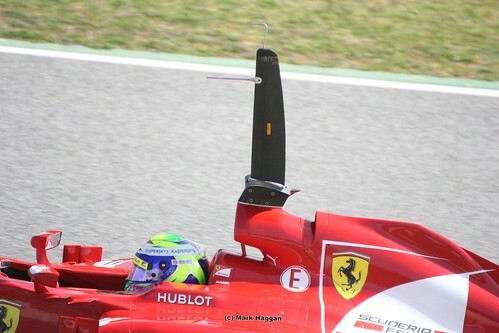 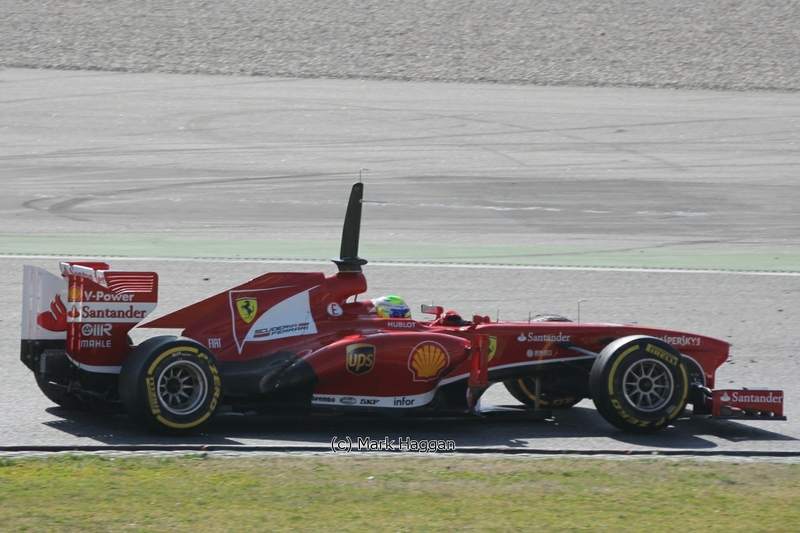 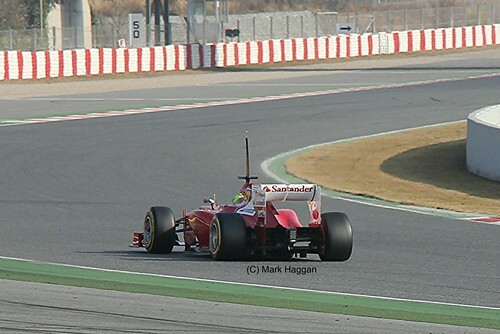 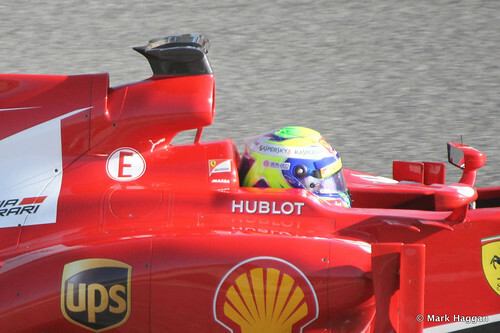 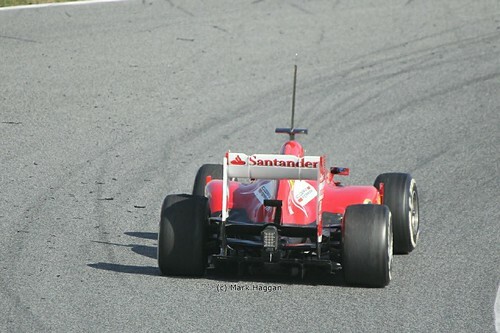 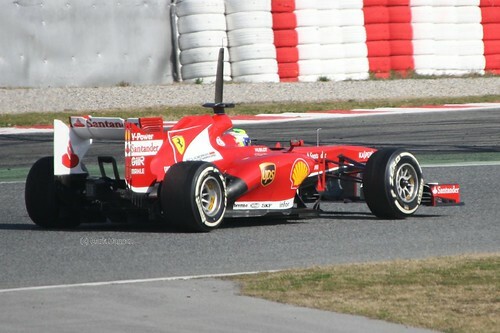 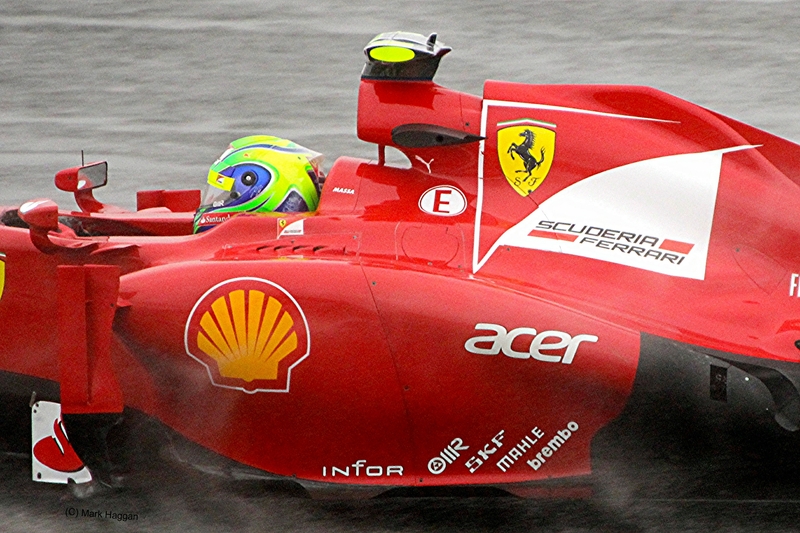 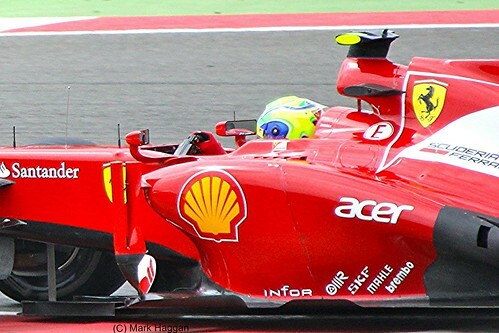 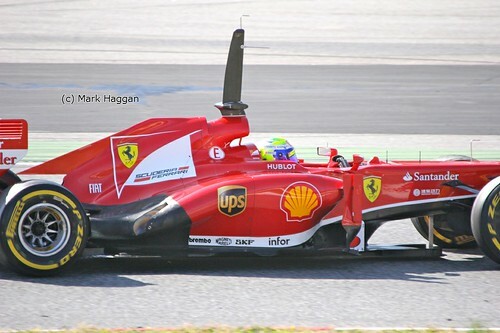 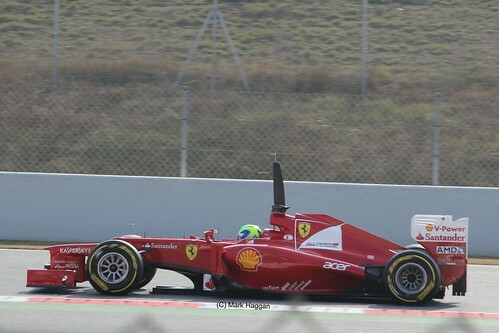 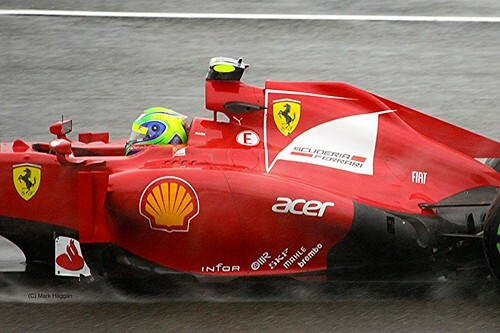 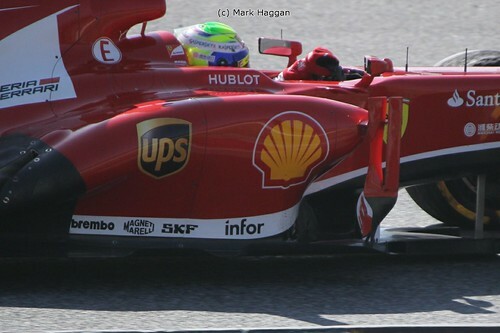 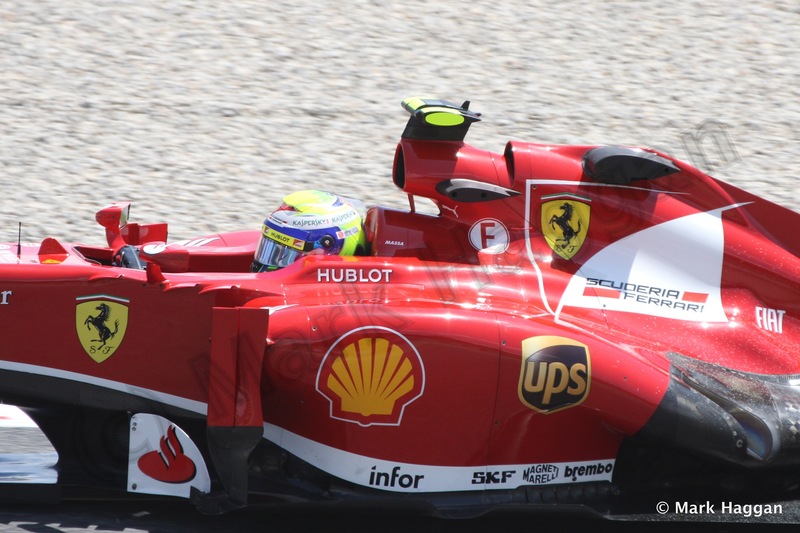 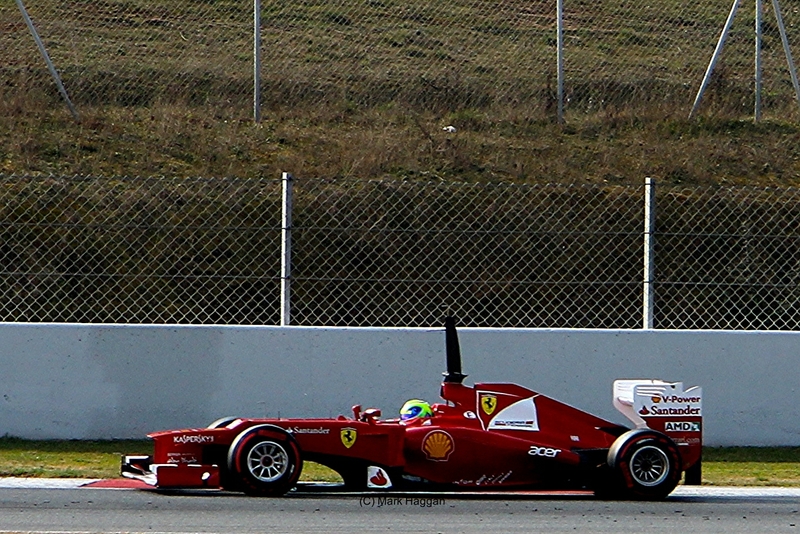 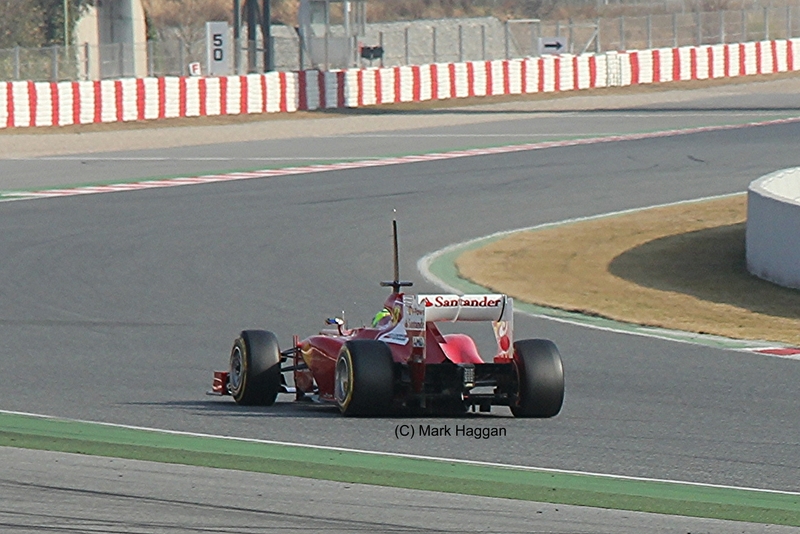 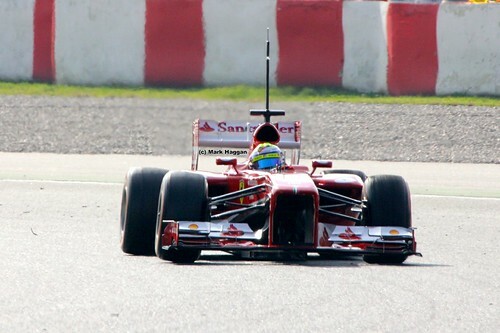 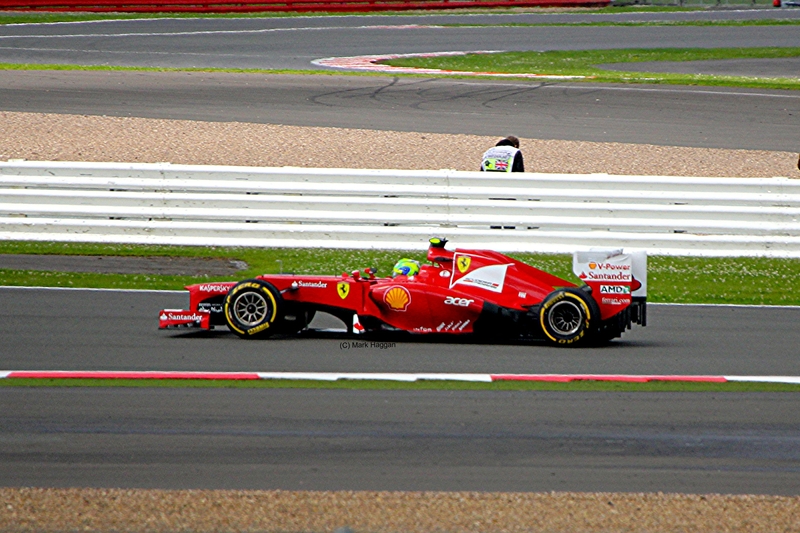 In 2006, Massa joined Ferrari in a race seat, and has been there ever since. 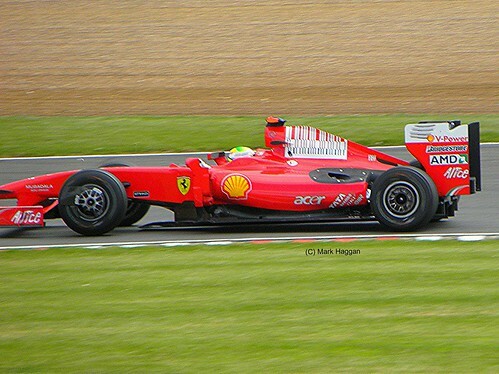 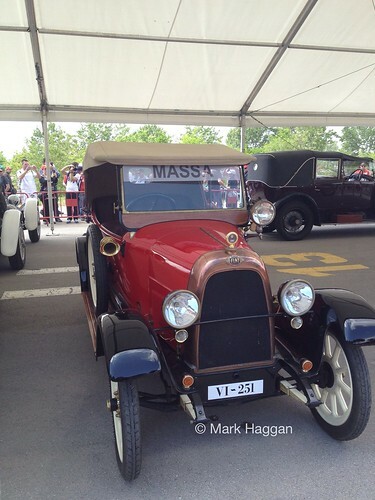 In 2006, he finished third in the championship, and in 2008 he finished second. 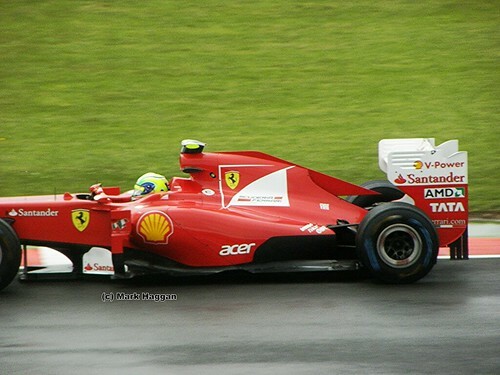 I suspect that most people who watched the Brazilian Grand Prix on the 2nd November 2008, Massa’s home Grand Prix, will remember it for a long time. 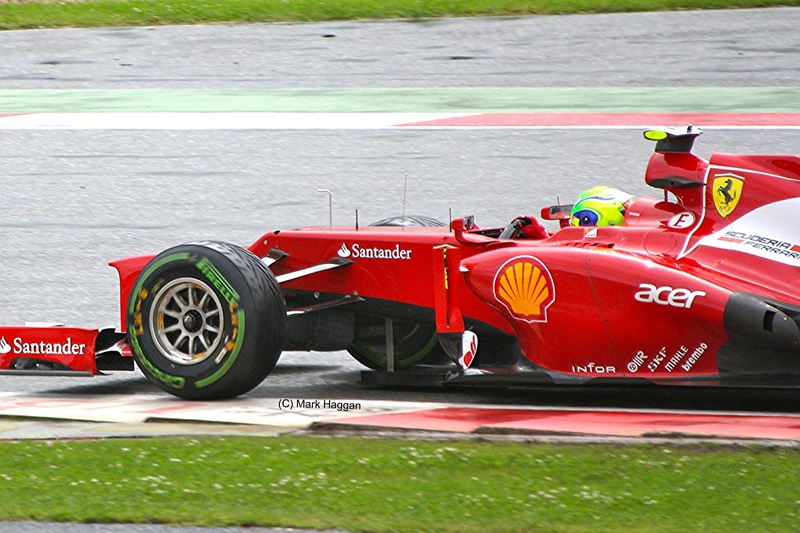 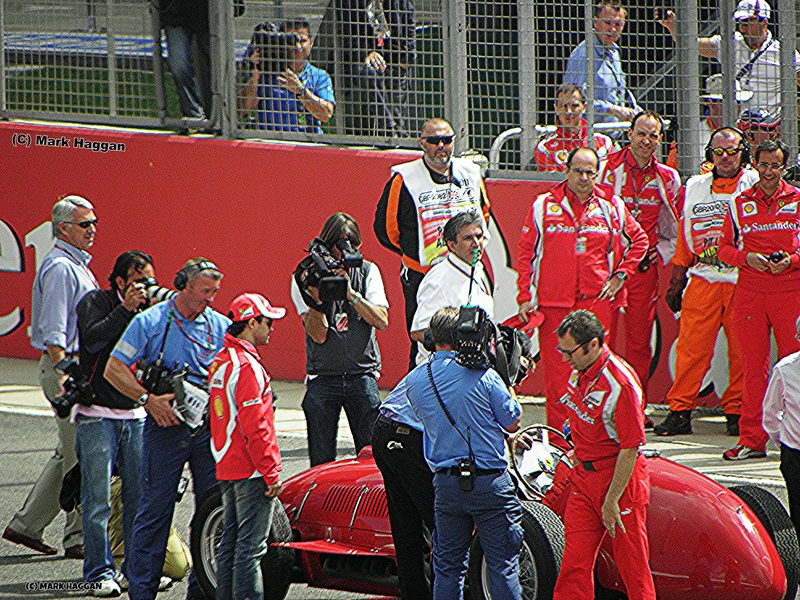 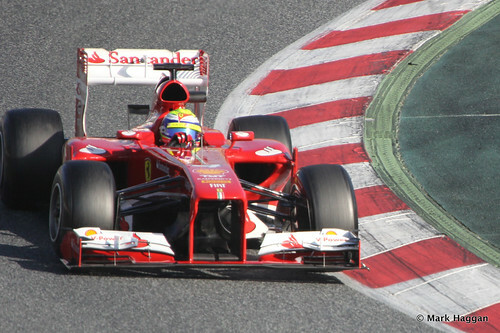 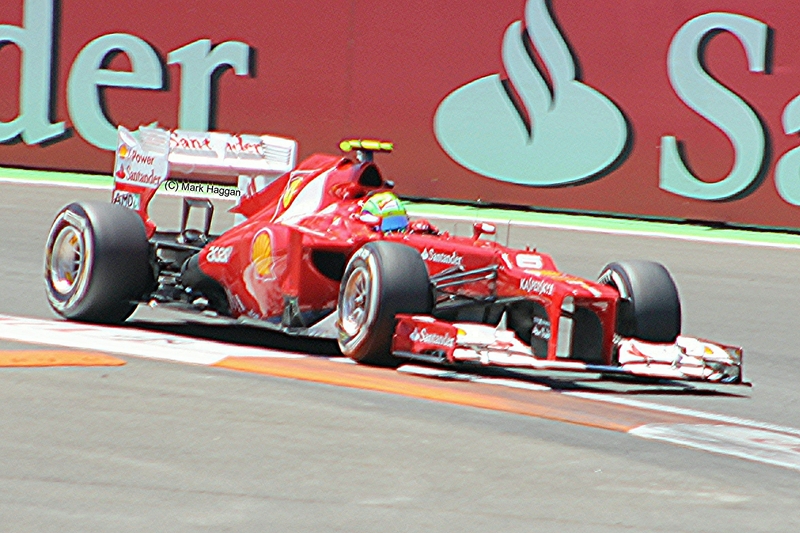 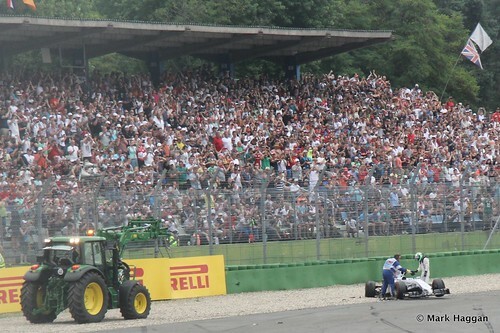 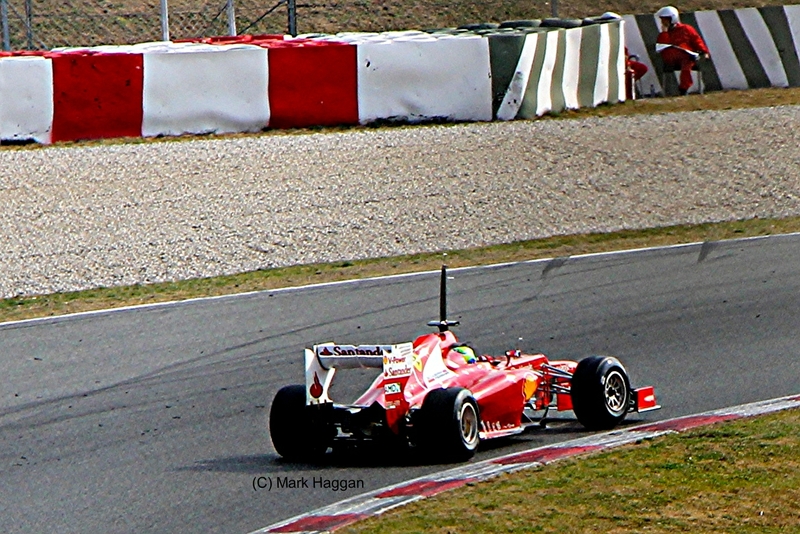 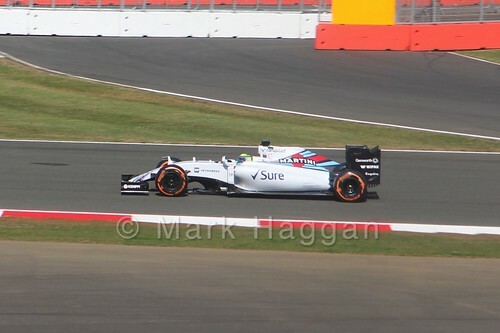 Massa won the race, and Lewis Hamilton needed to finish fifth or better to win the title. 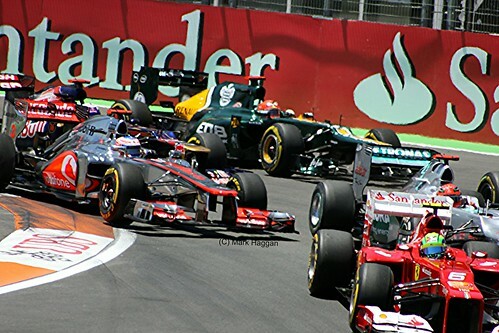 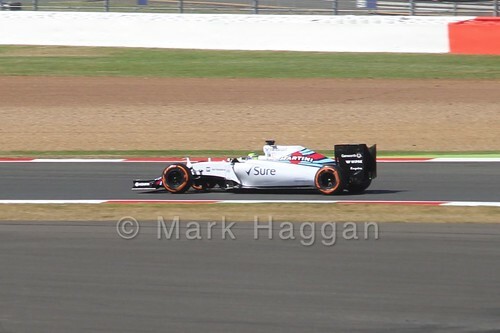 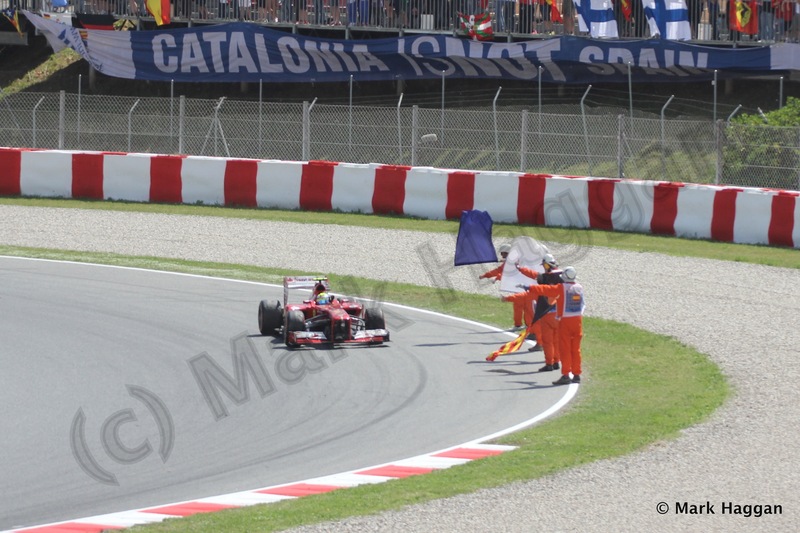 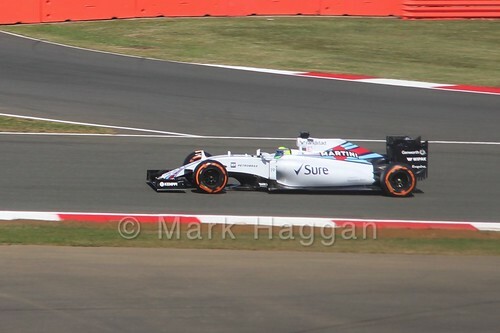 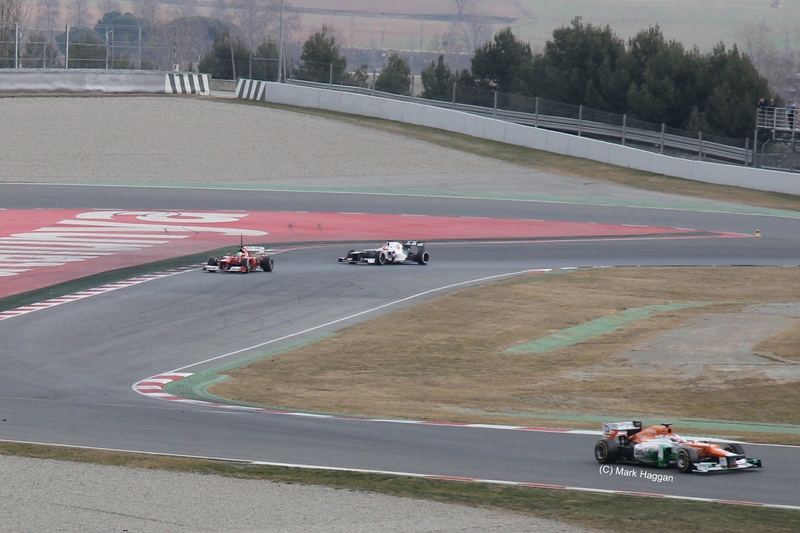 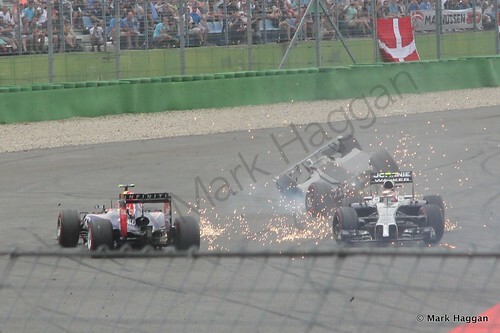 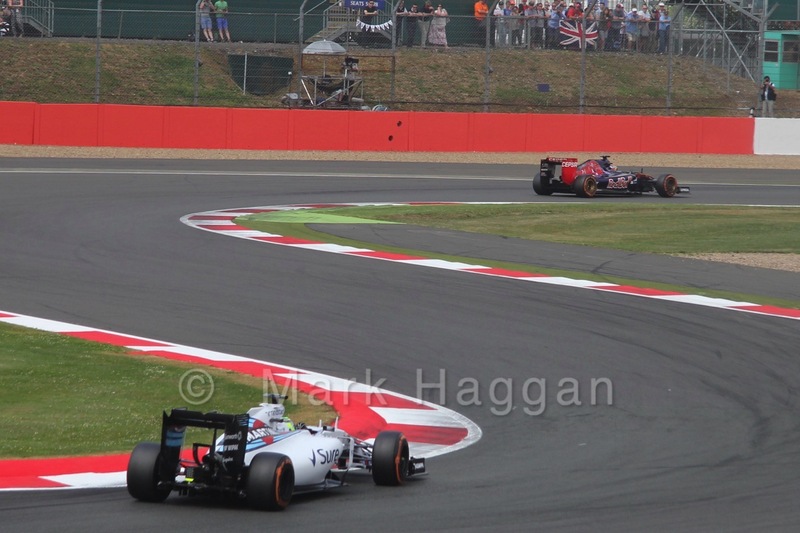 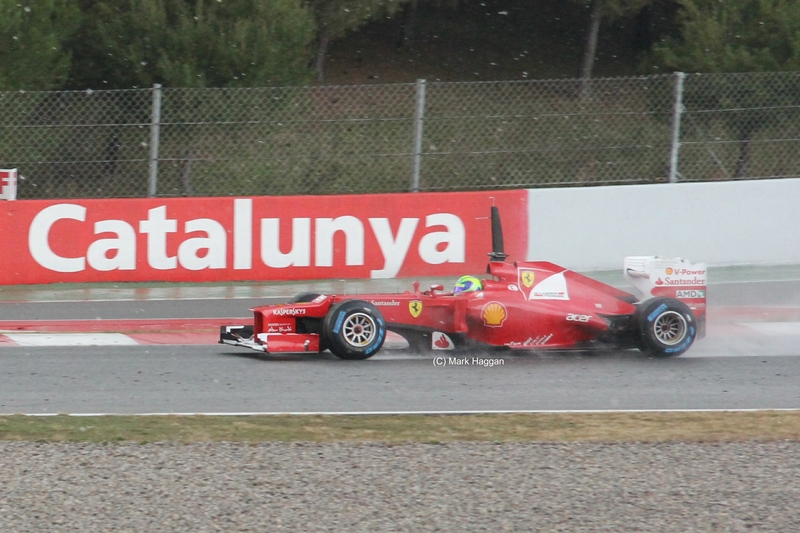 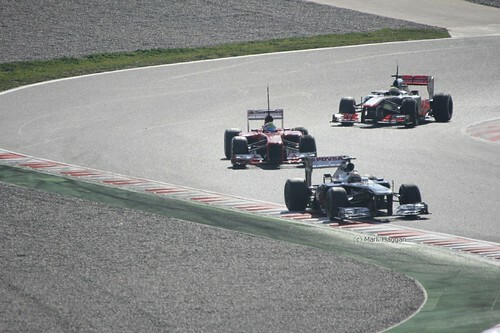 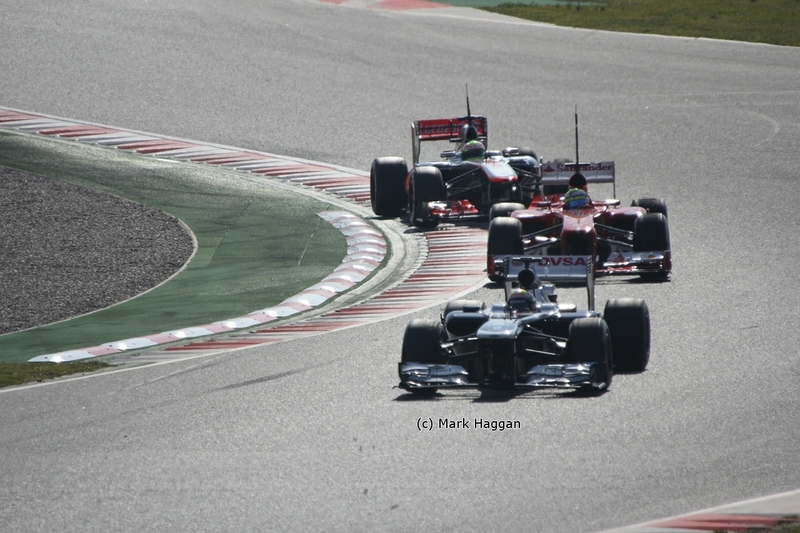 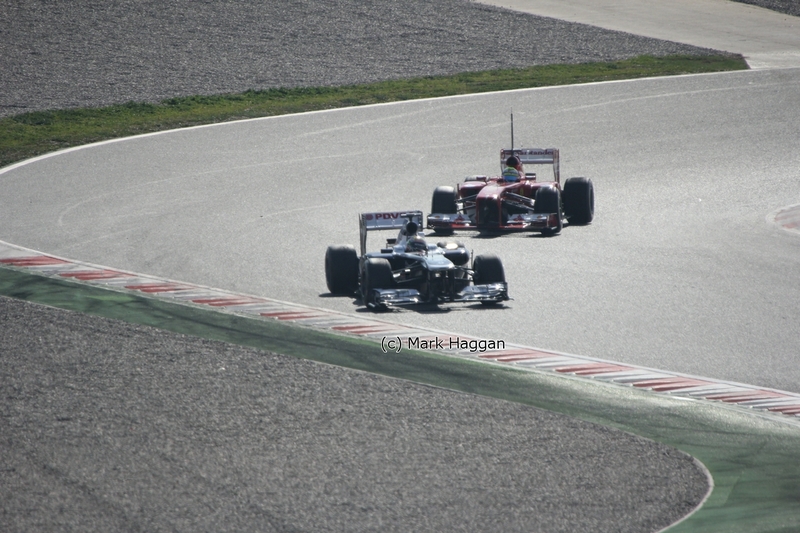 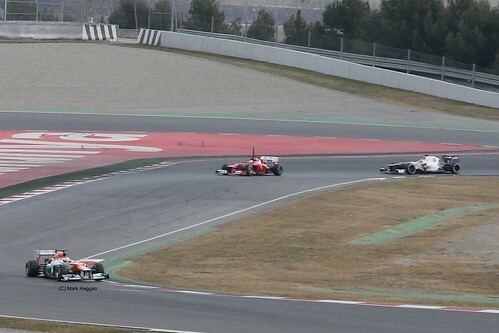 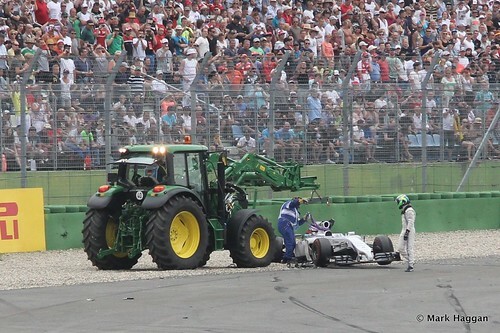 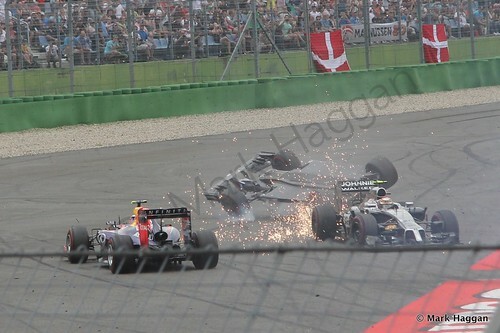 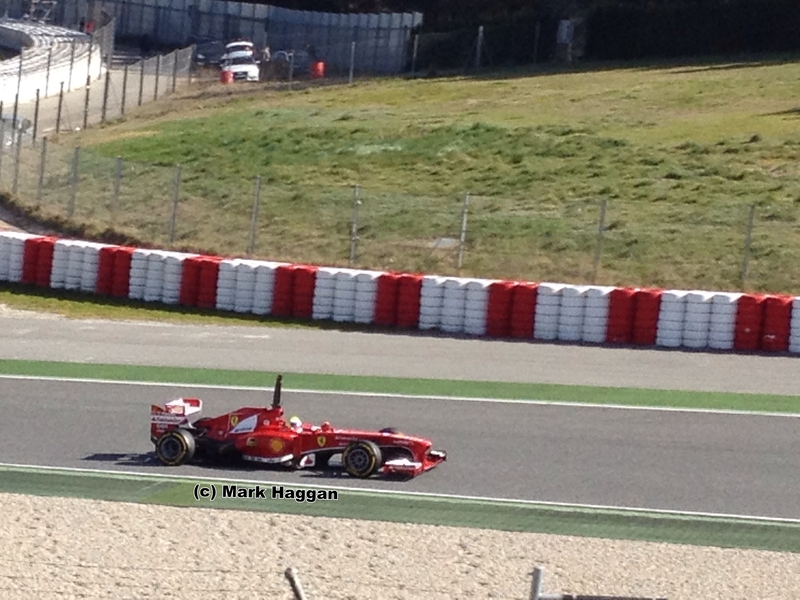 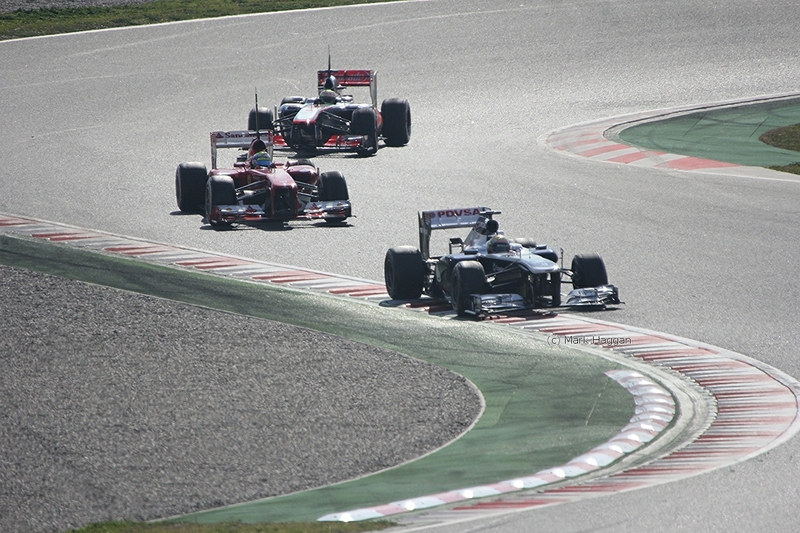 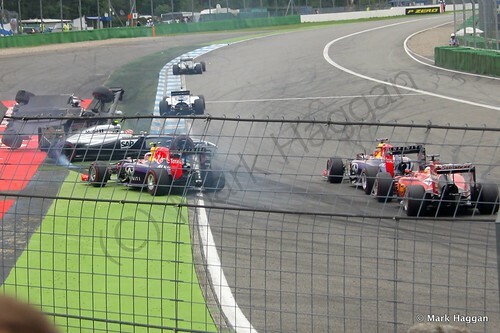 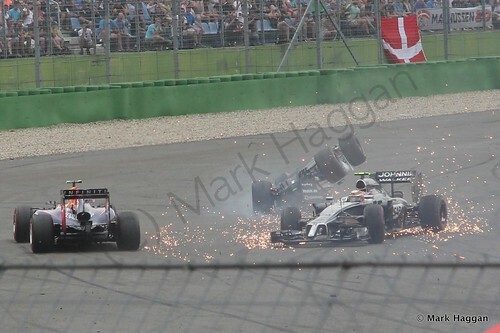 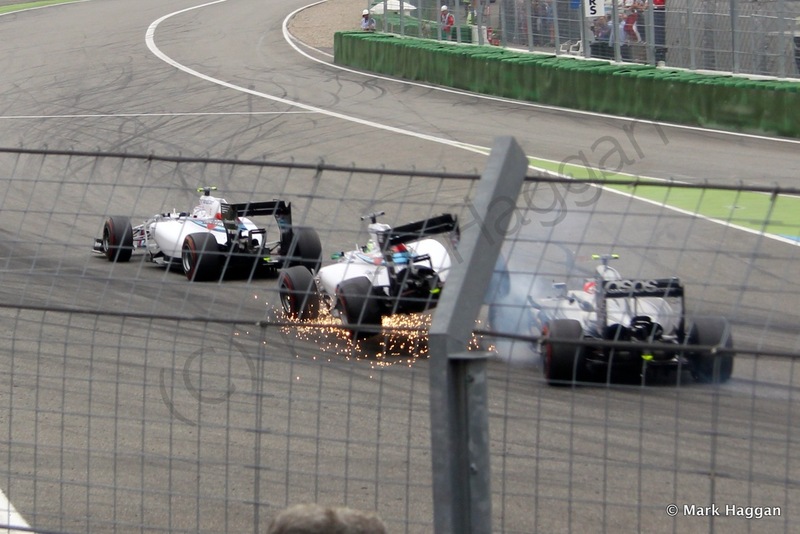 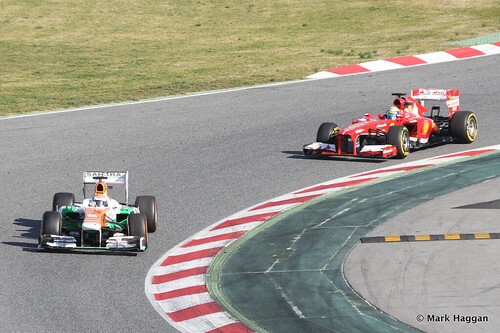 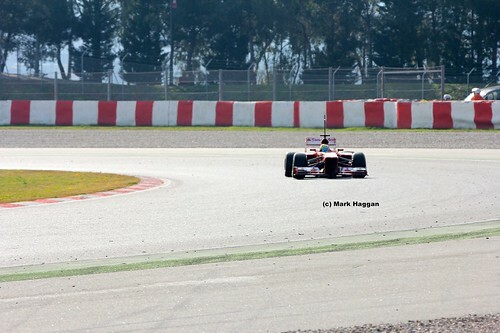 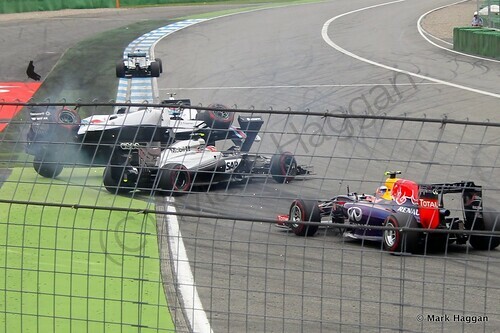 On the last lap, it looked like Massa was world champion, with Hamilton in sixth. There was celebration in the Ferrari garage. 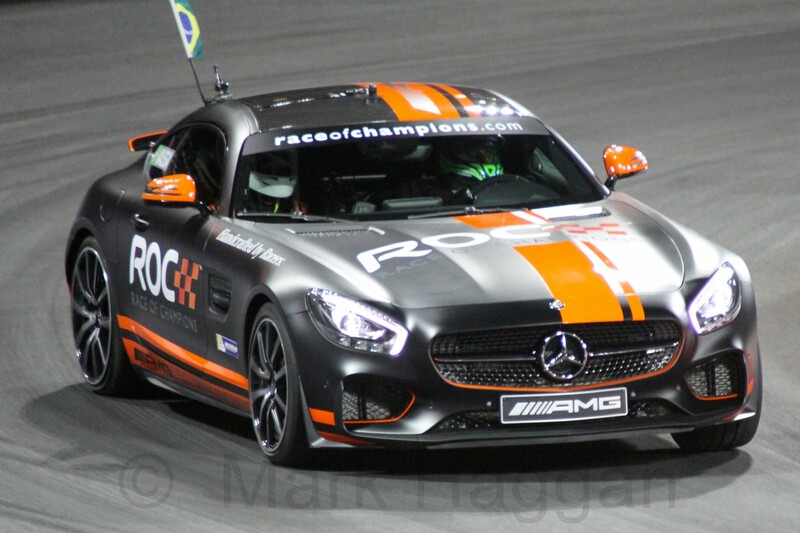 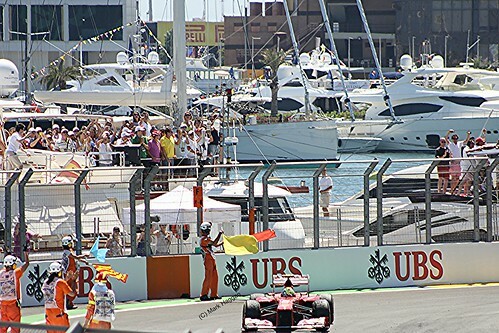 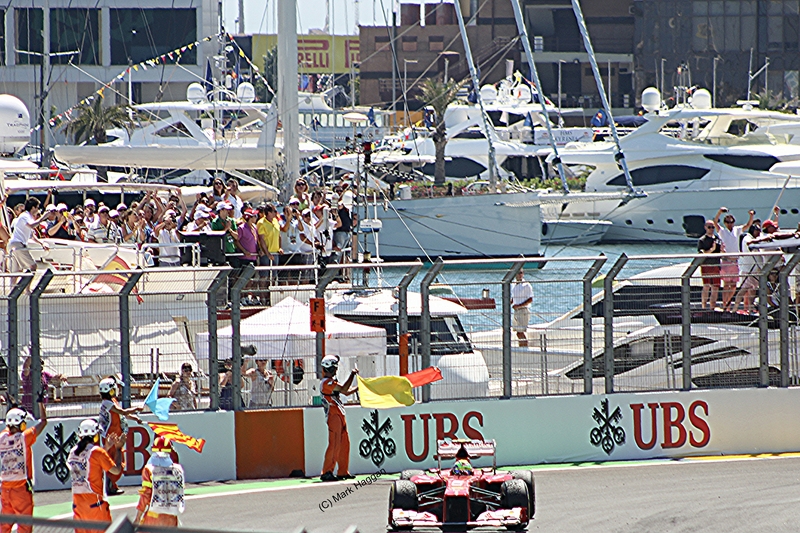 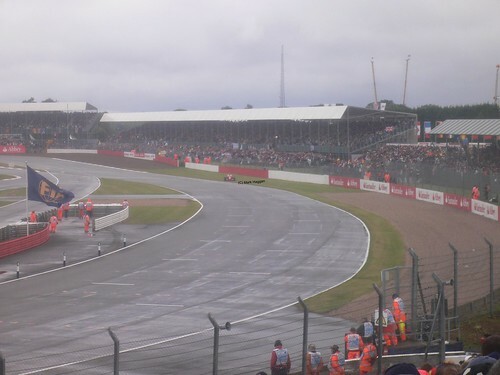 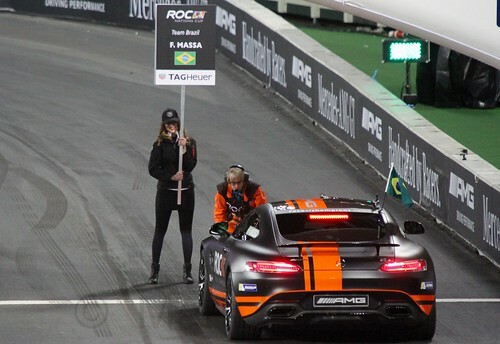 A slowing Timo Glock enabled fifth place man Sebastian Vettel to overtake, and then for Lewis Hamilton to do the same, and in the final yards of the race, Hamilton moved up a place and got the vital points required to take the world championship. 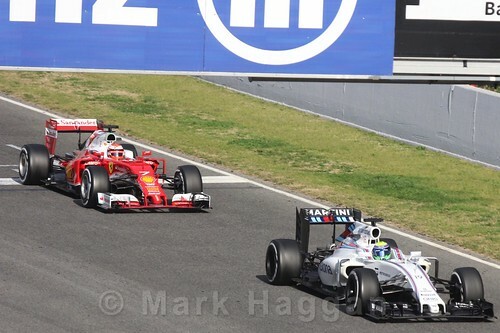 Hamilton beat Massa by one point. 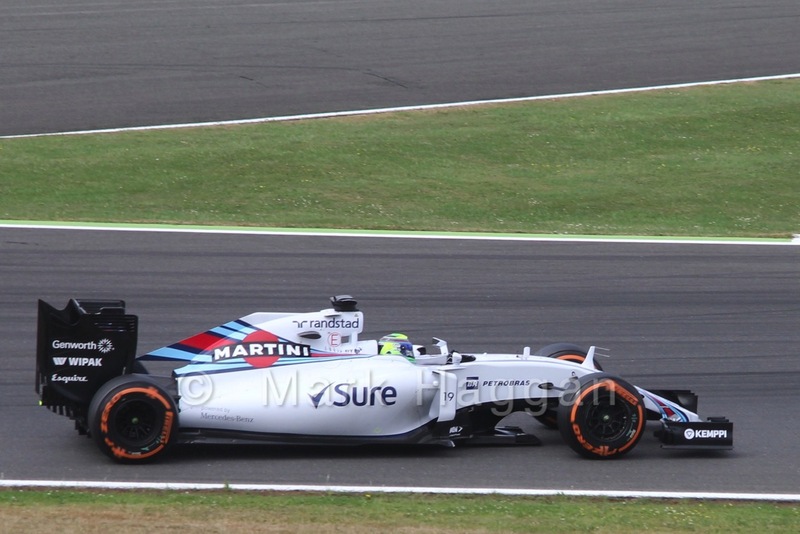 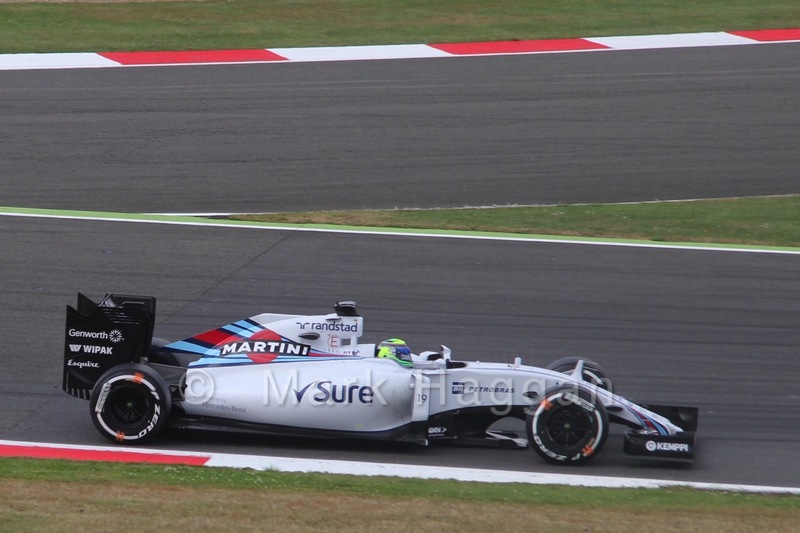 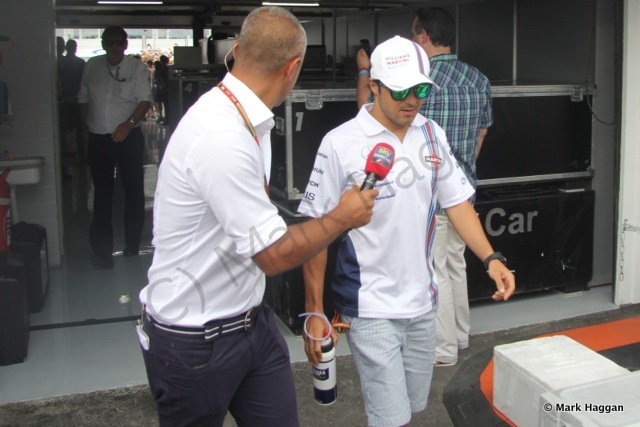 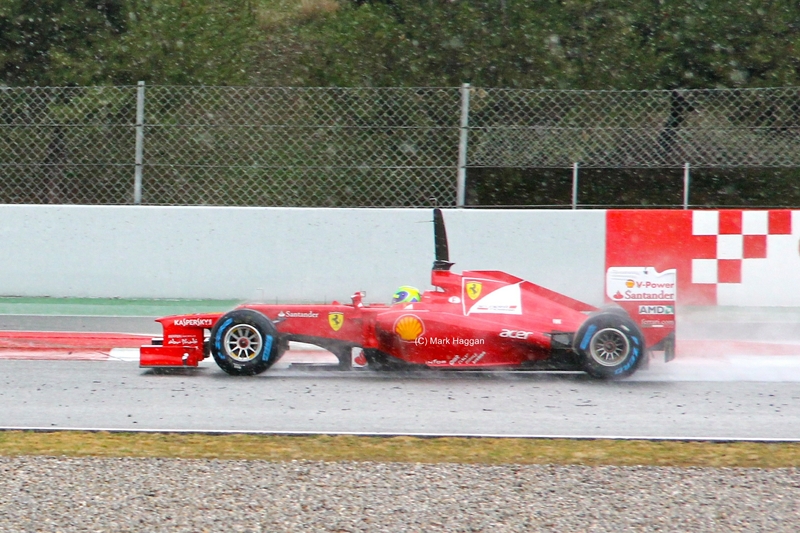 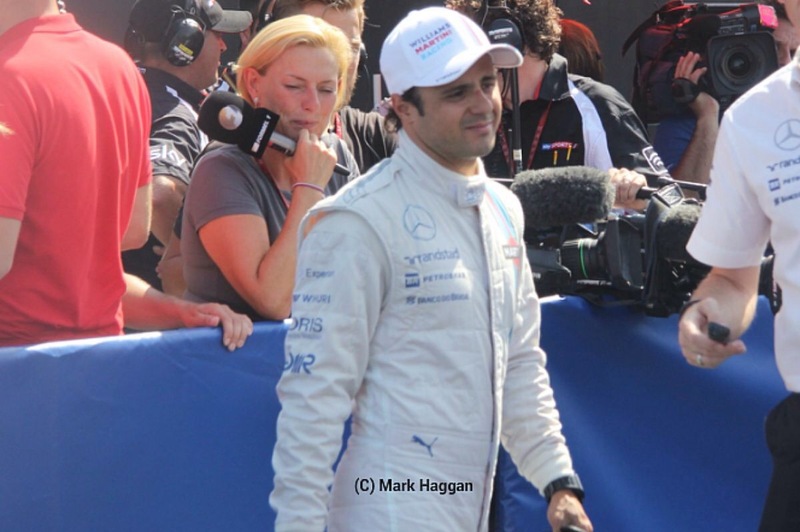 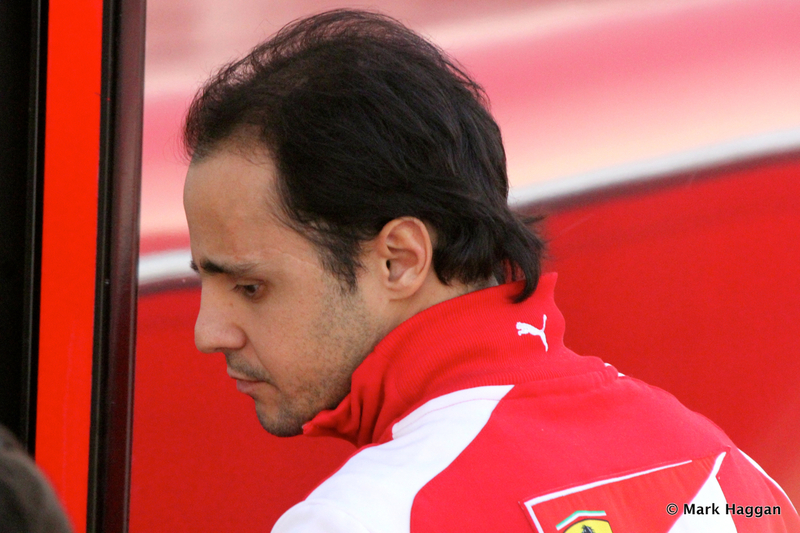 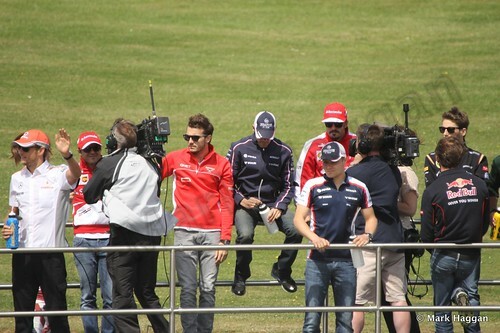 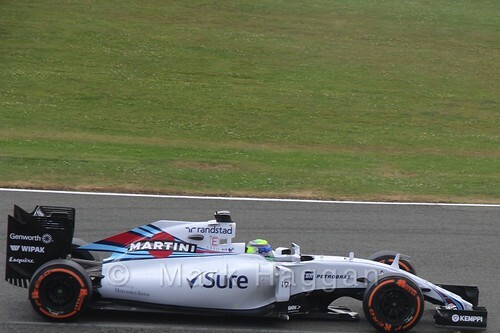 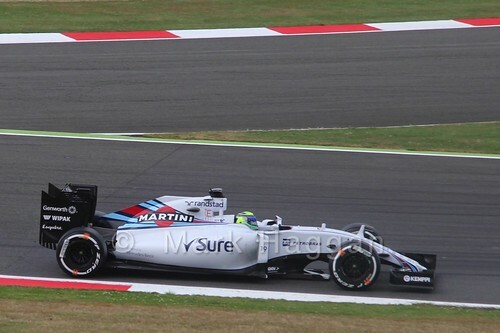 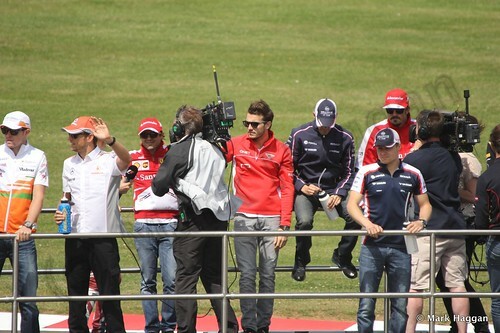 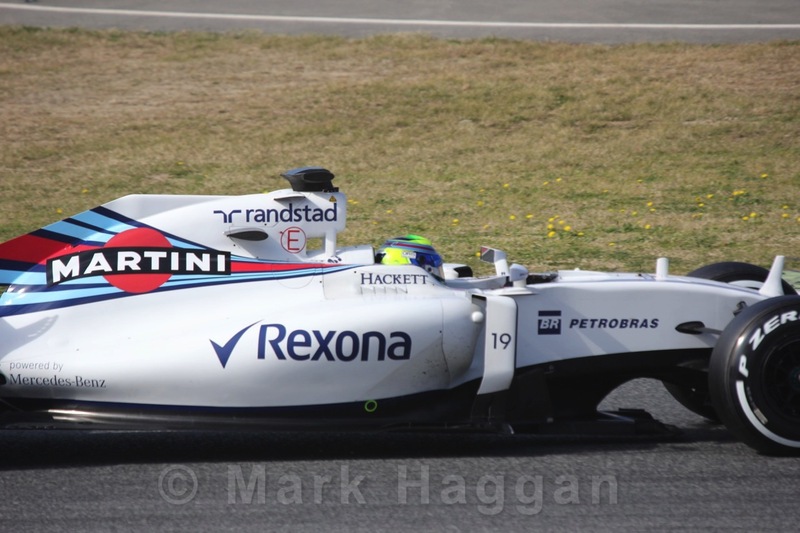 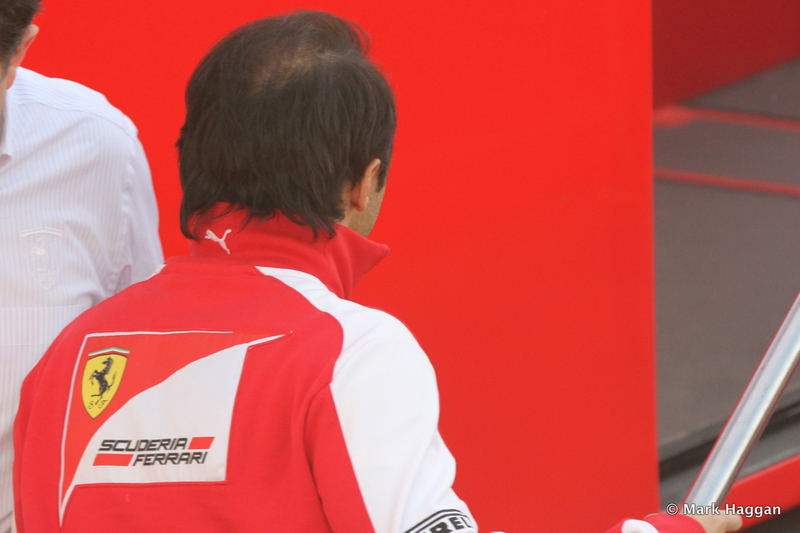 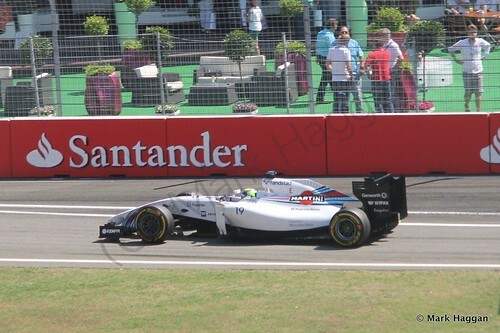 2013 marked the end of Massa’s relationship with Ferrari, as he moves to Williams in 2014. 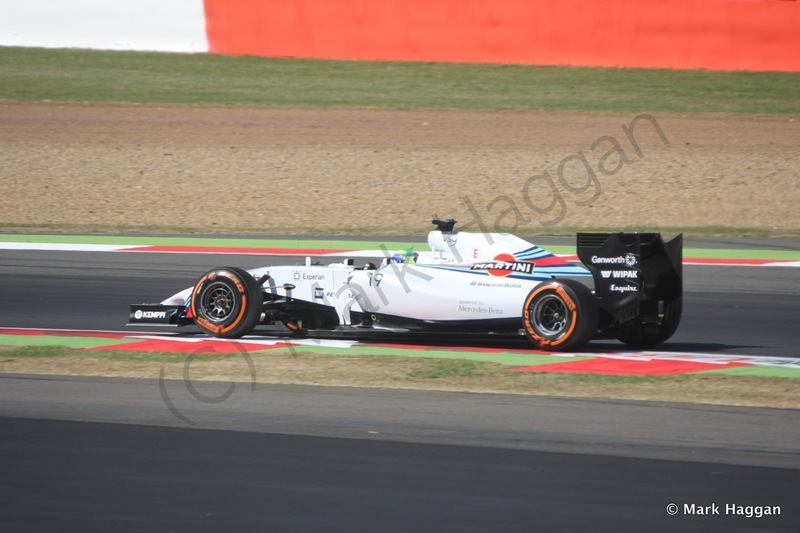 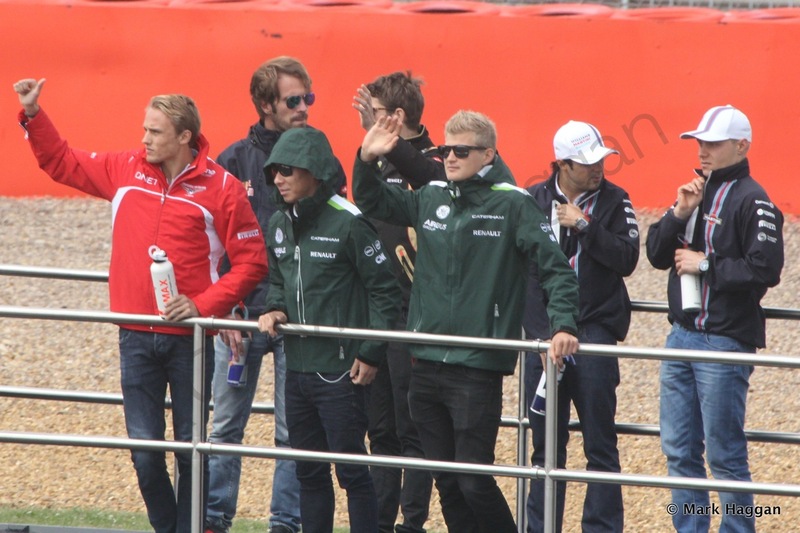 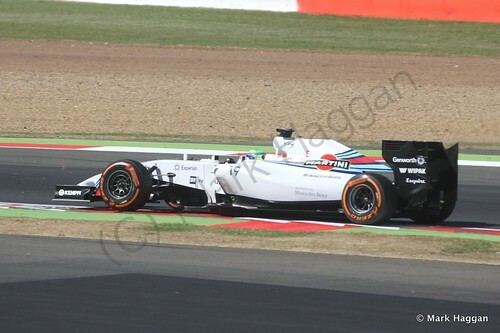 A seventh place in the title, with three podium finishes, was a good result, although his team mate, Valtteri Bottas, managed fourth by the end of the season. 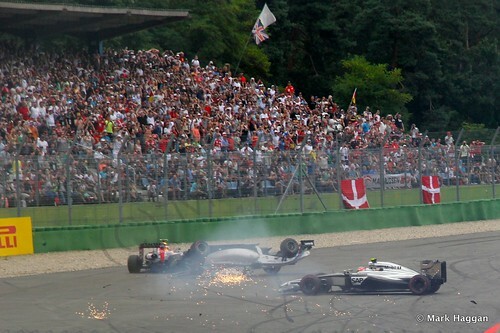 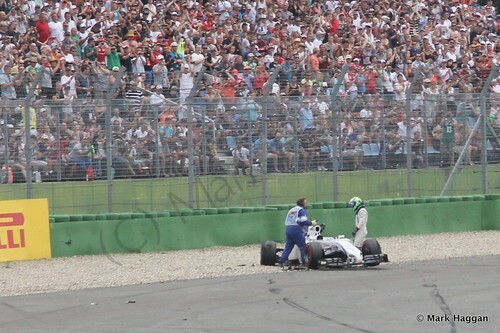 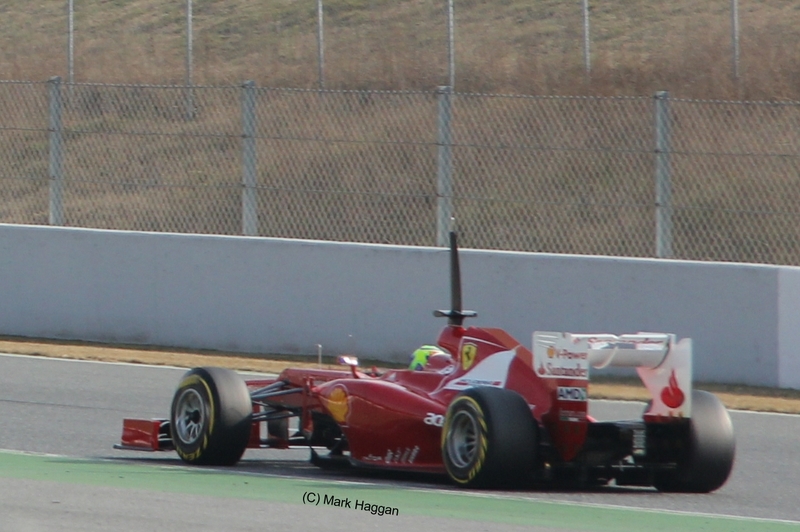 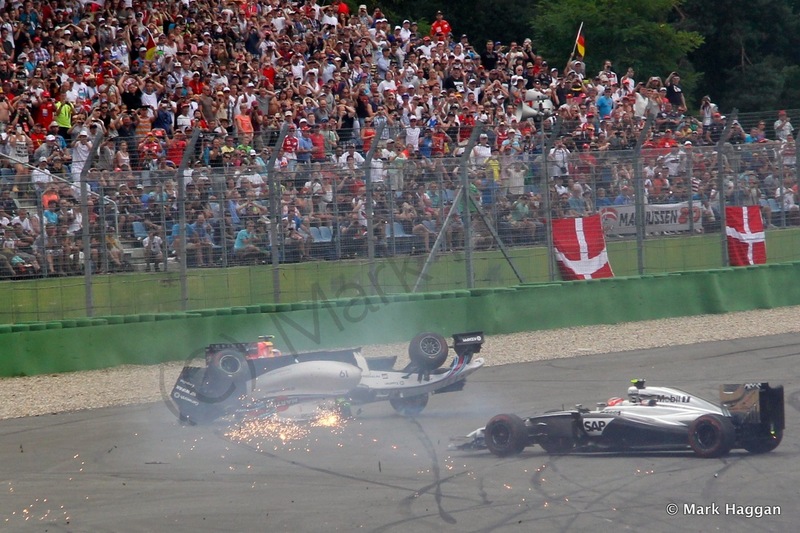 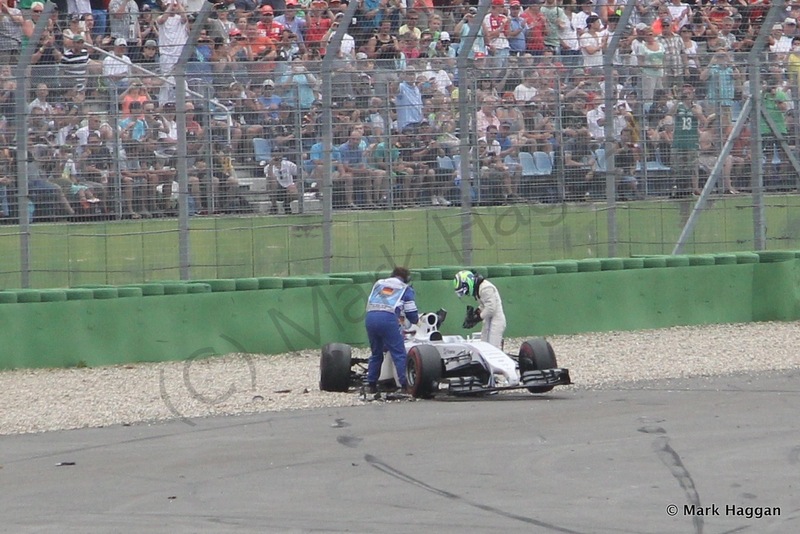 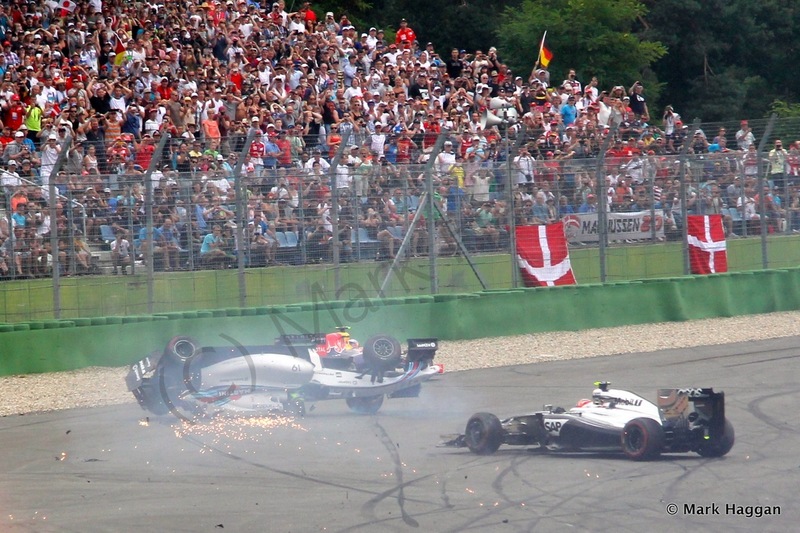 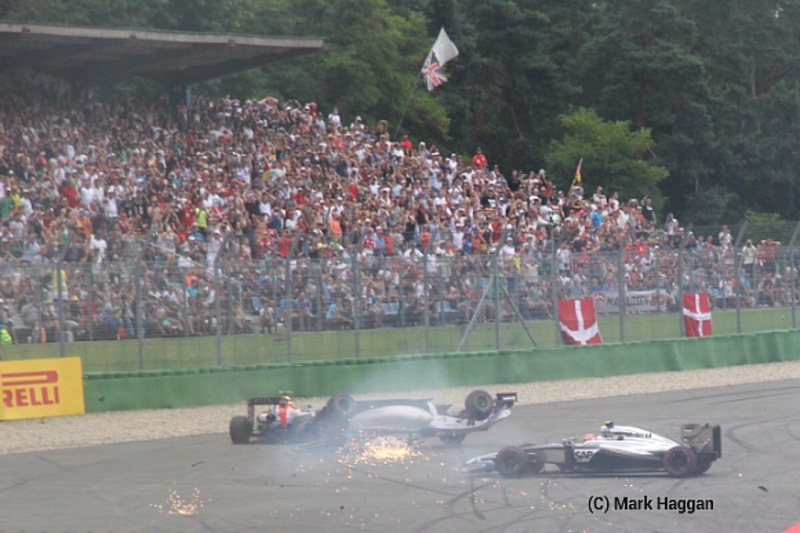 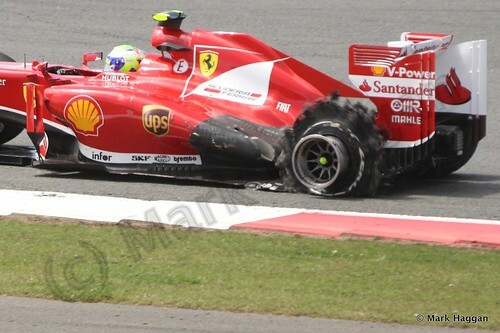 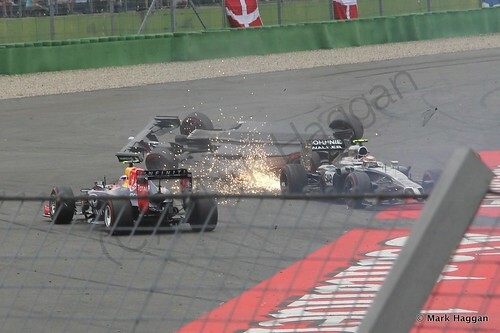 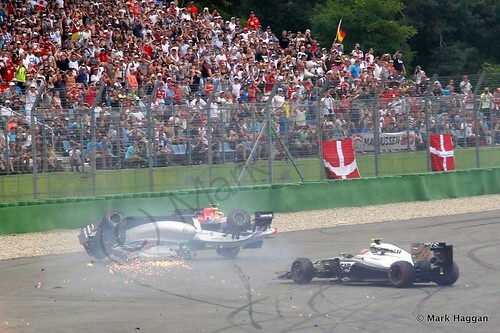 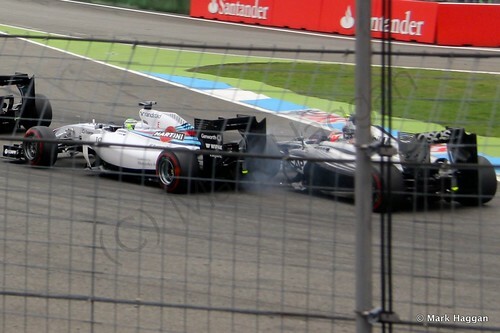 Felipe suffered a huge crash on the first lap of the German Grand Prix, right in front of me, and thankfully he was fine. There was a collective intake of breath and silence from the crowd as we watched and hoped for the best whilst fearing for the worst. 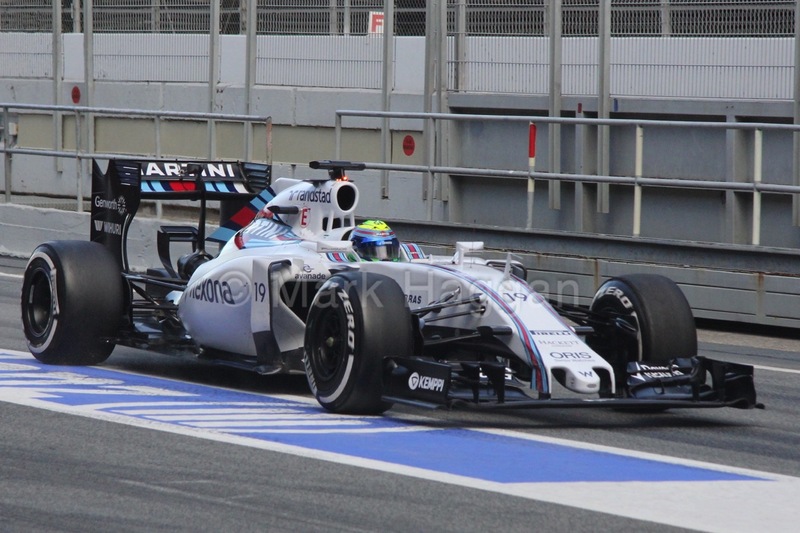 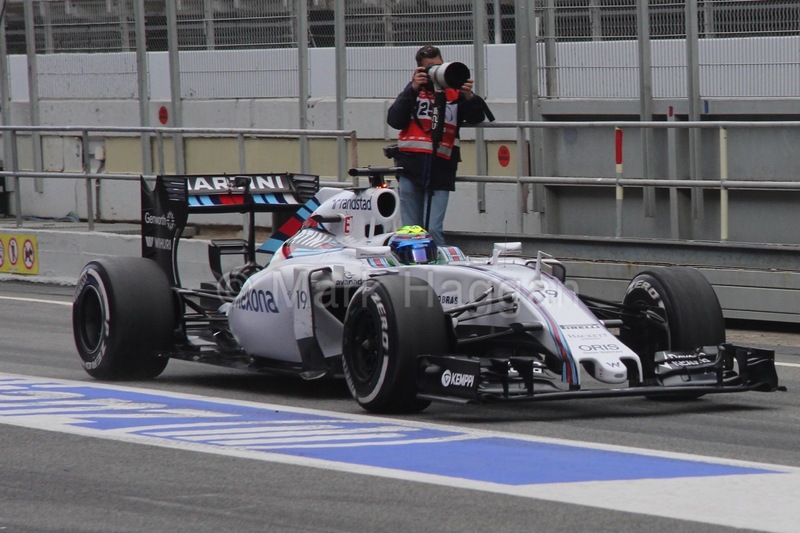 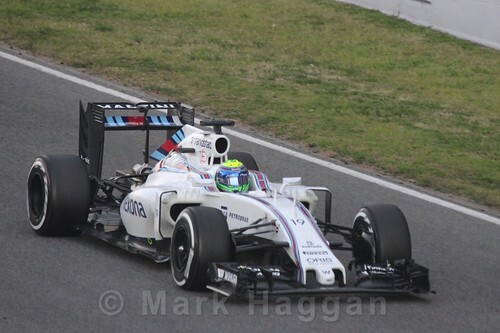 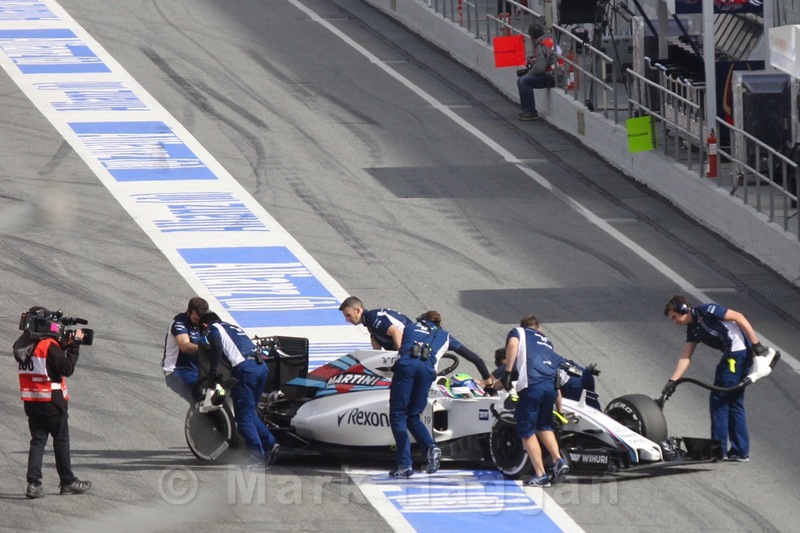 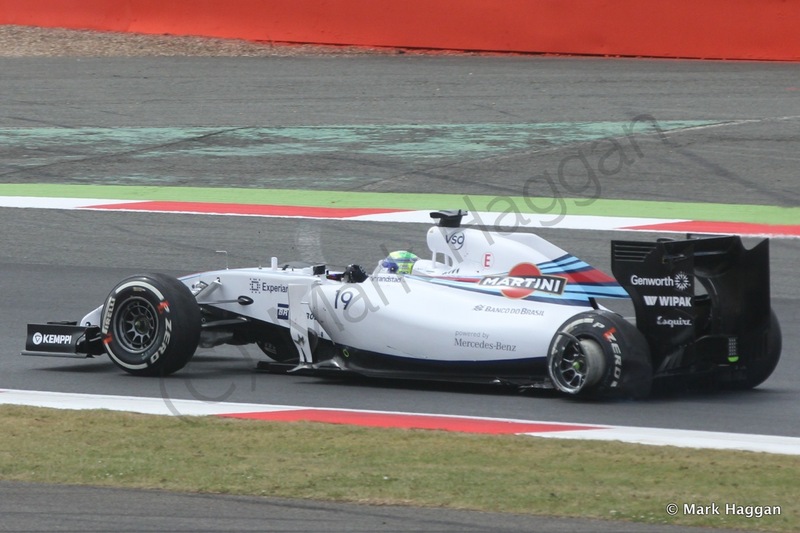 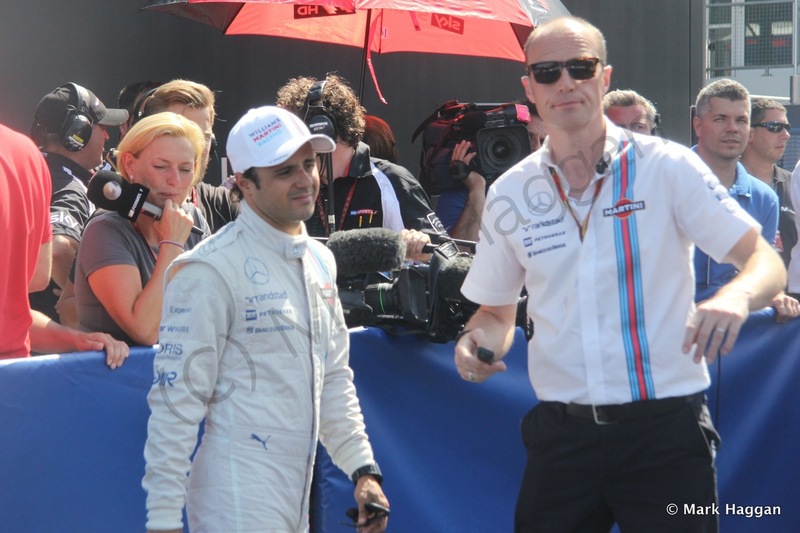 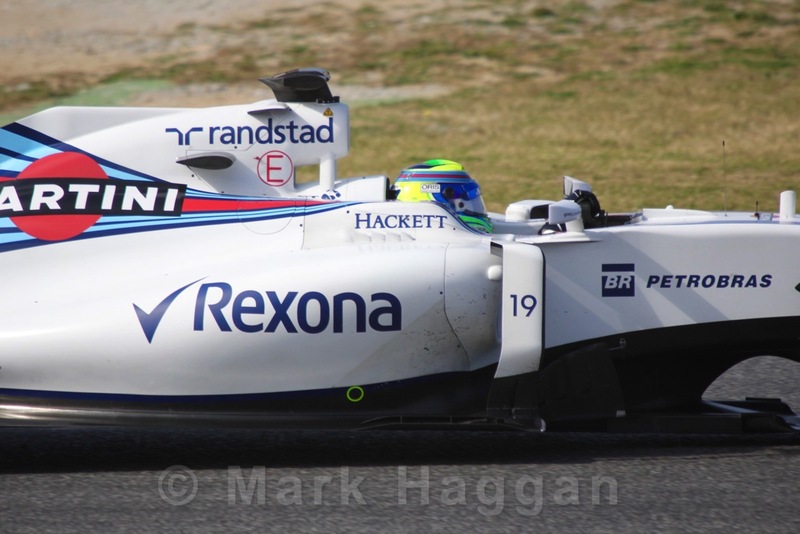 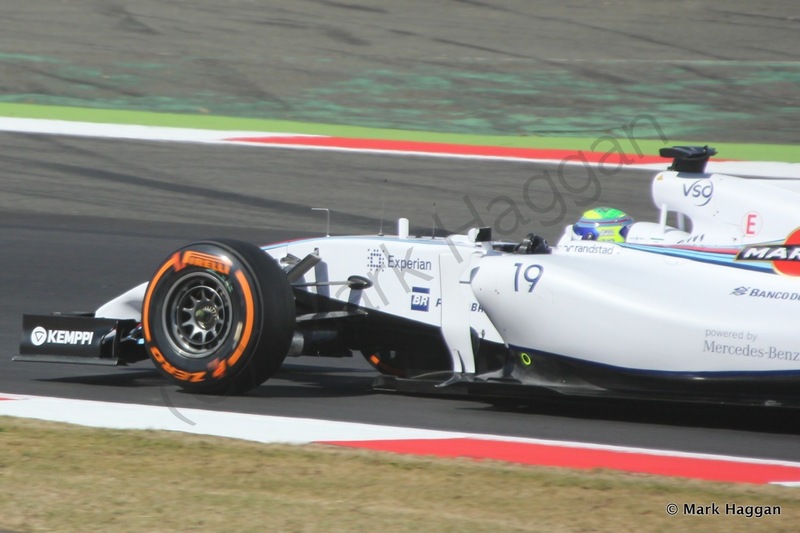 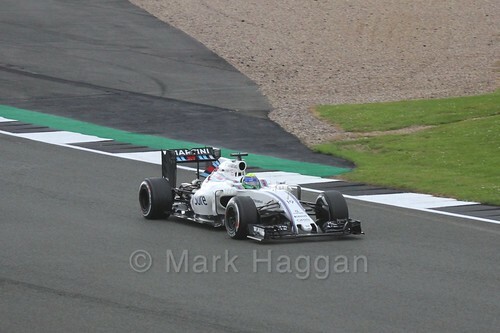 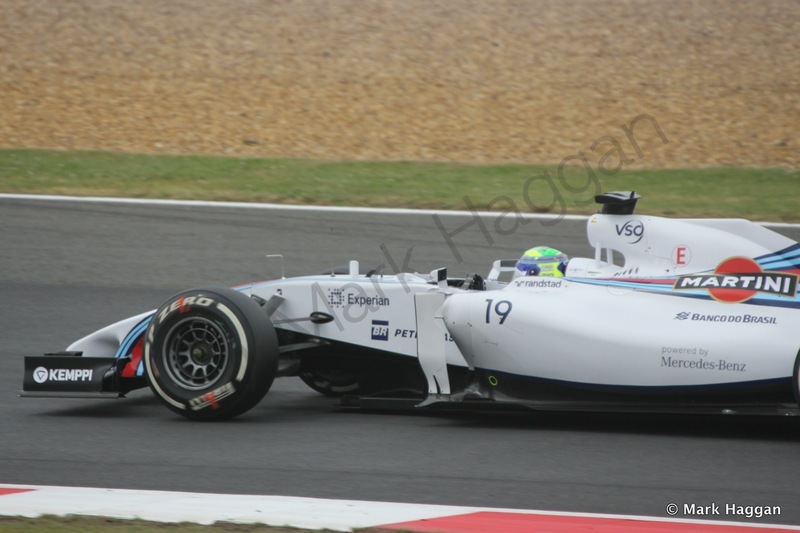 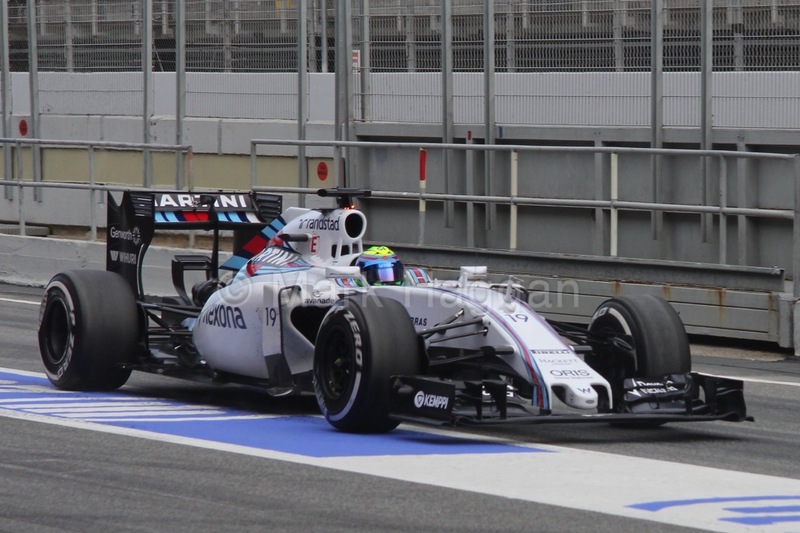 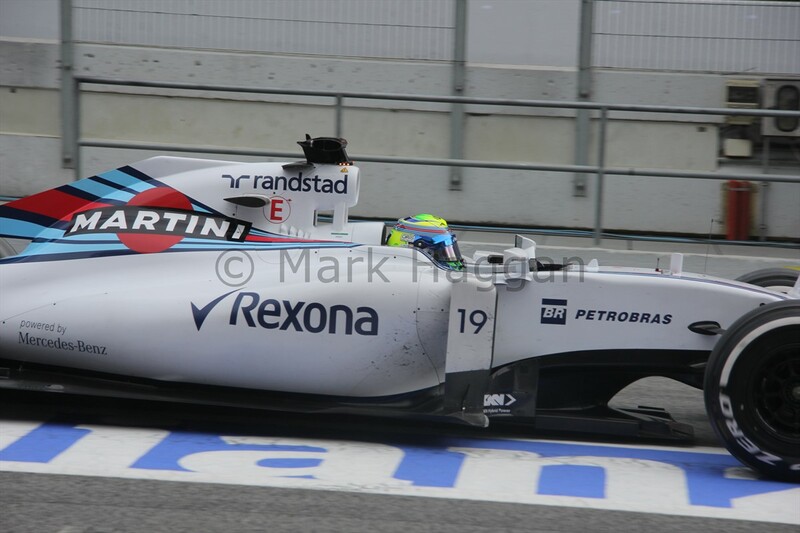 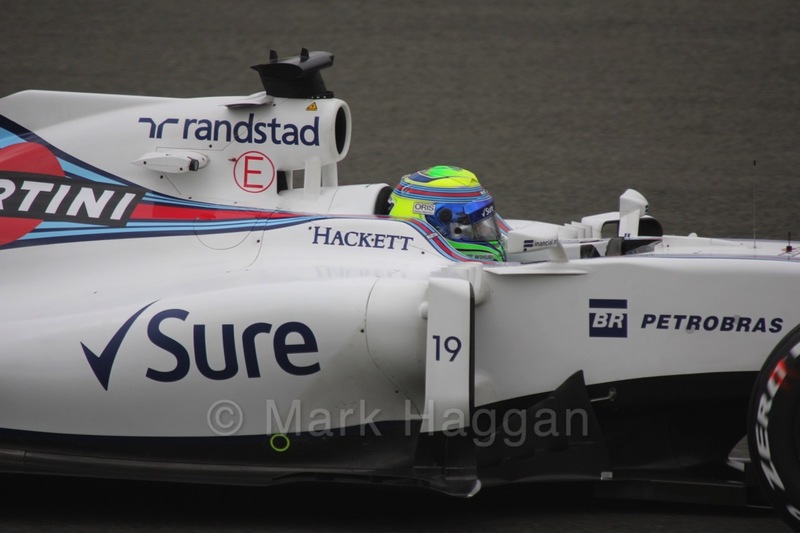 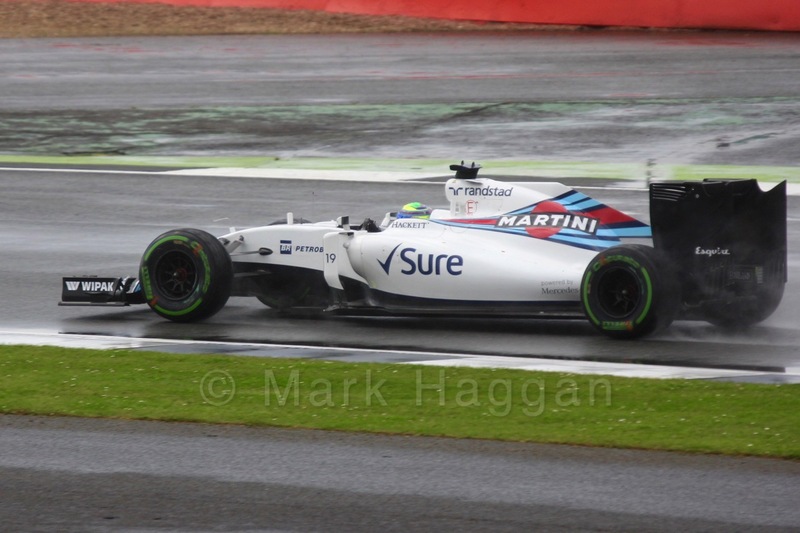 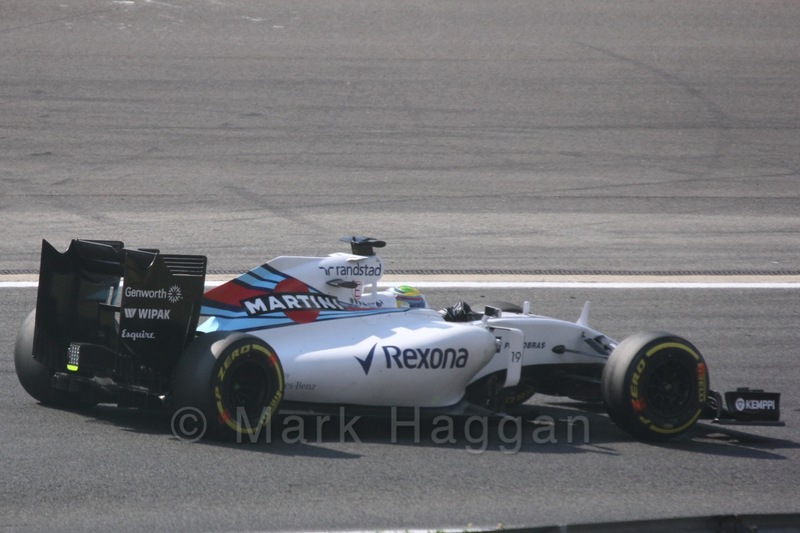 2015 saw Felipe stay with Williams, and with Valterri as his team mate. At the end of the year, Felipe announced his retirement, but Nico Rosberg’s retirement from the sport saw Valtteri move to Mercedes and Felipe changed his mind on retirement to stay with the team for another year. 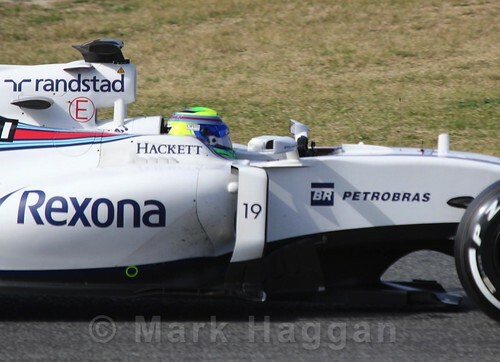 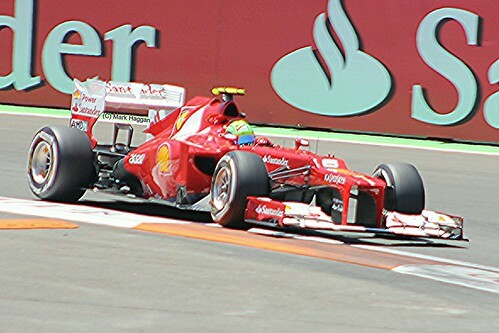 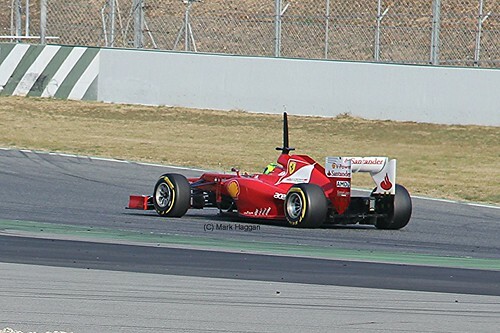 At the end of 2017, however, Felipe did retire. 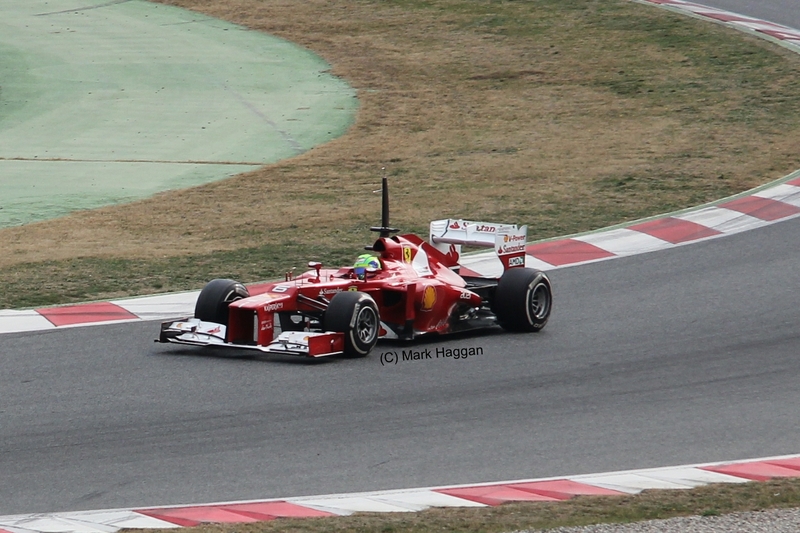 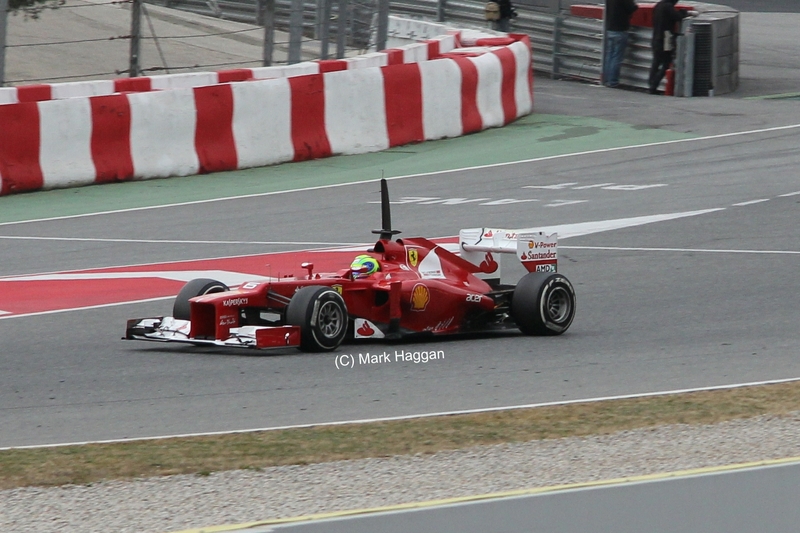 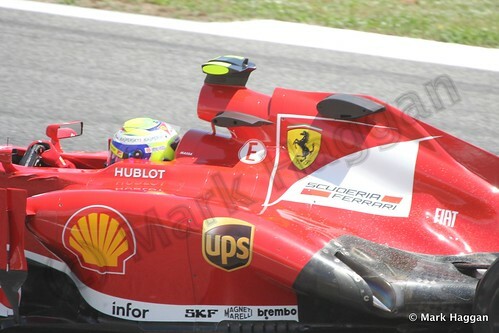 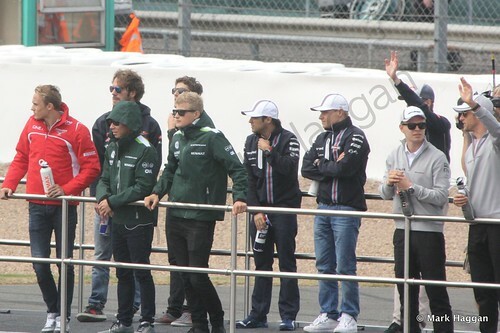 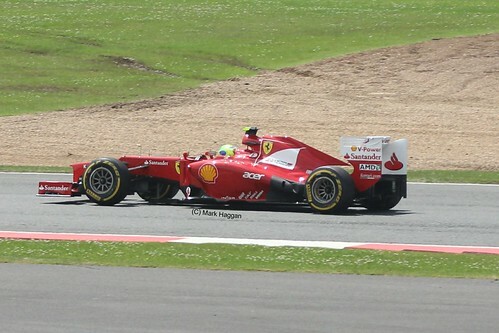 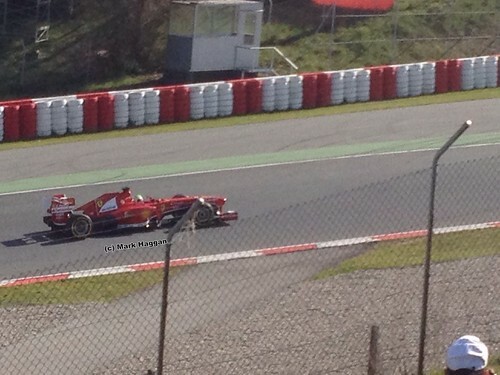 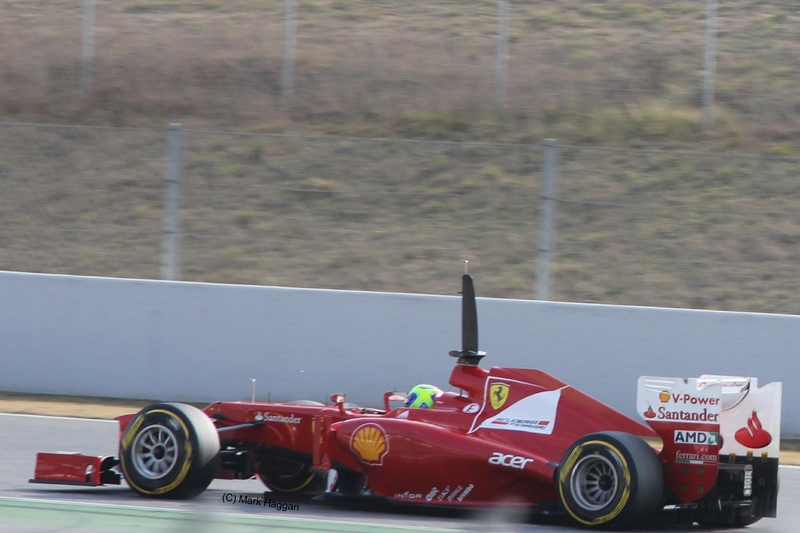 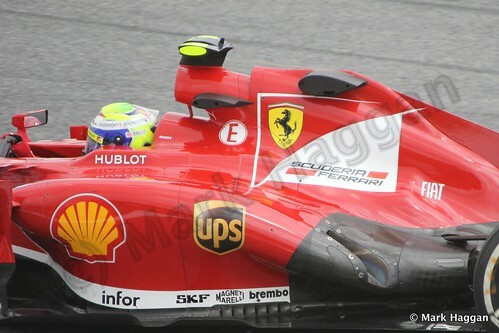 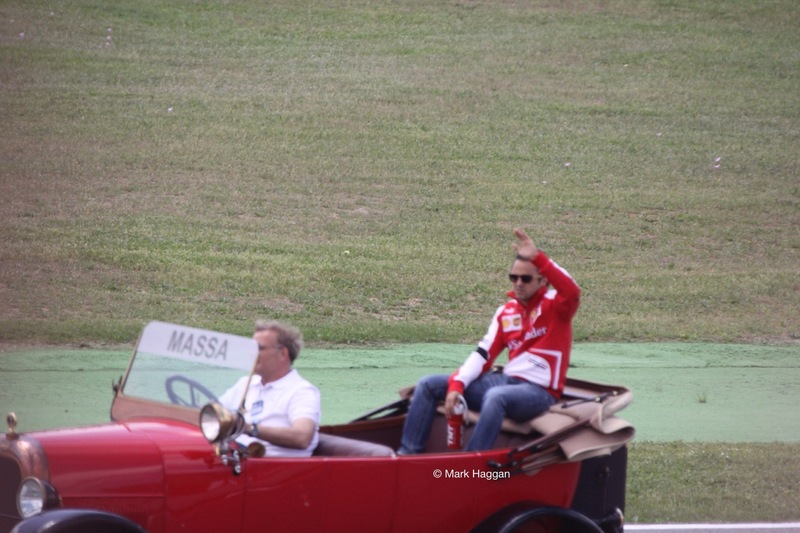 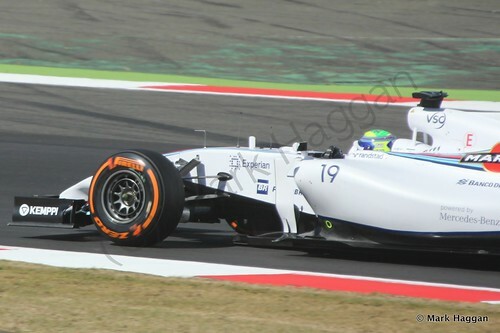 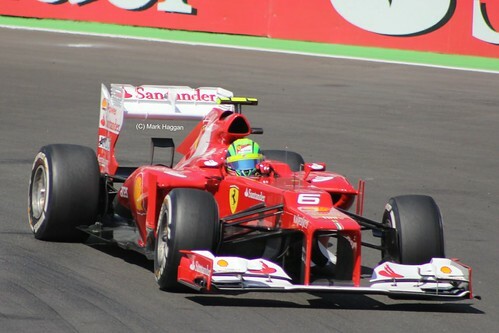 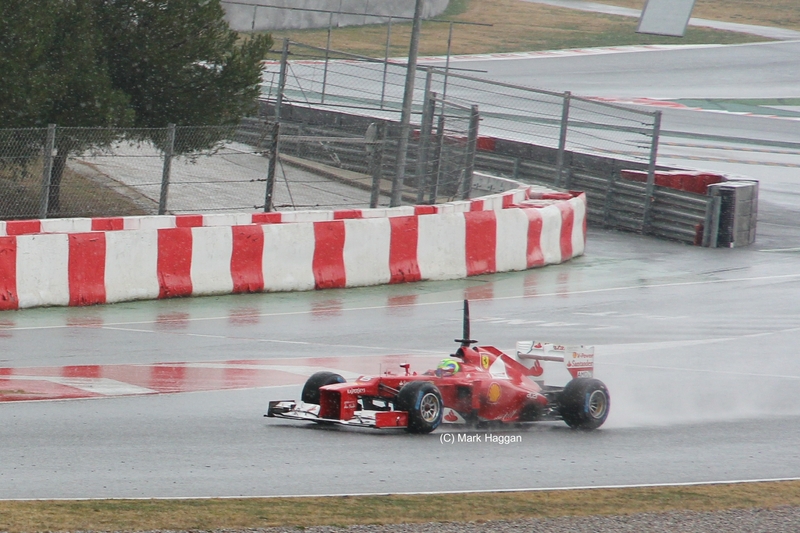 I hope you like the pictures of Felipe. 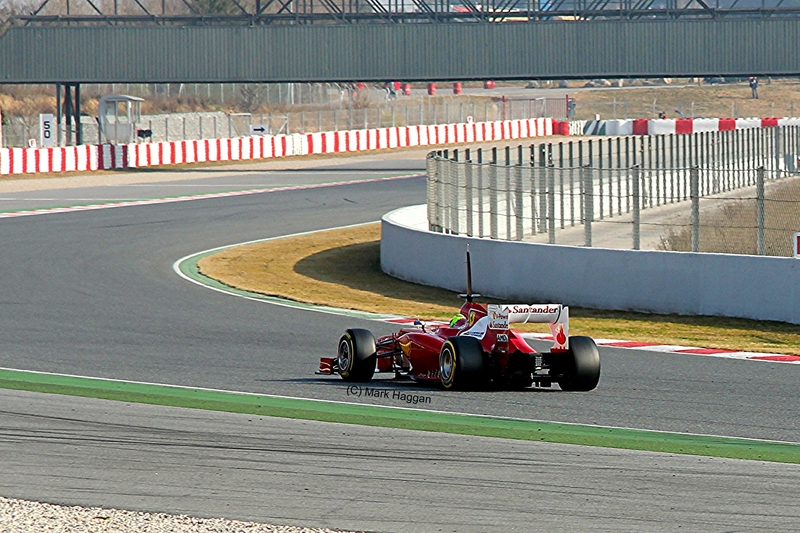 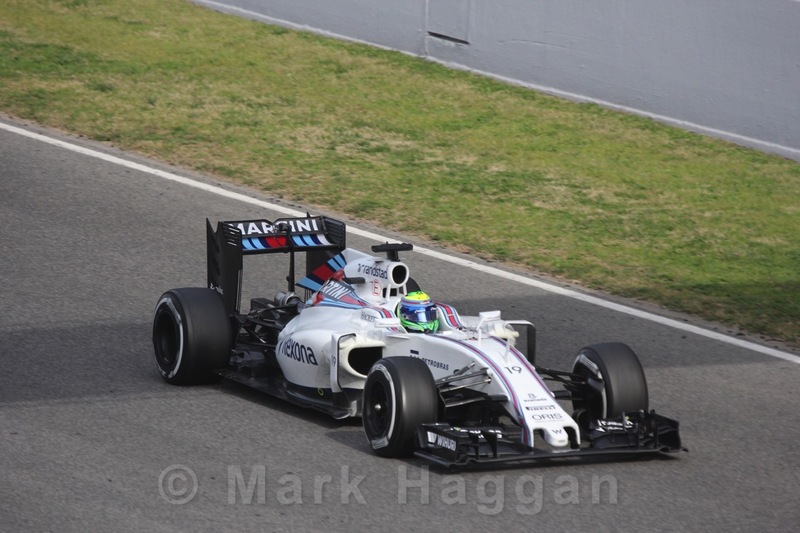 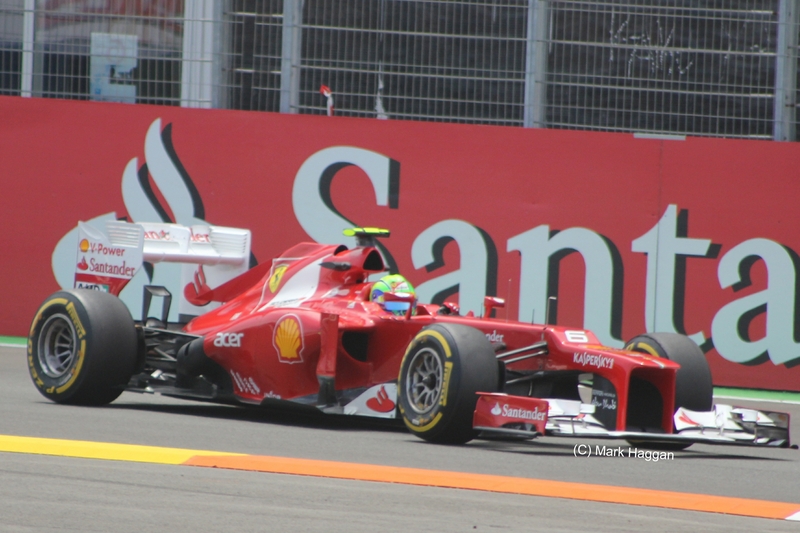 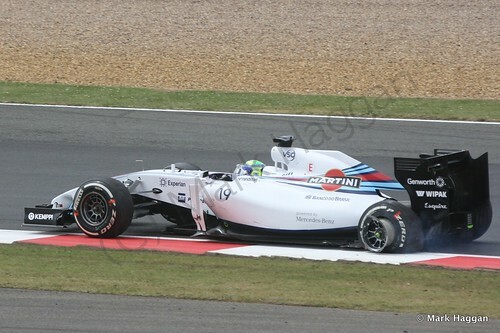 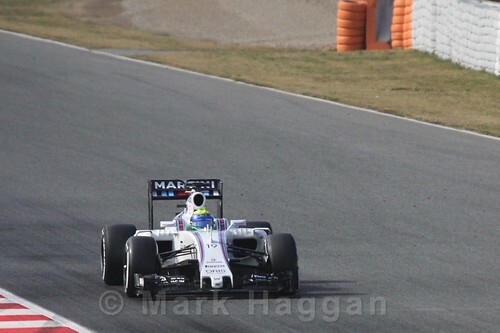 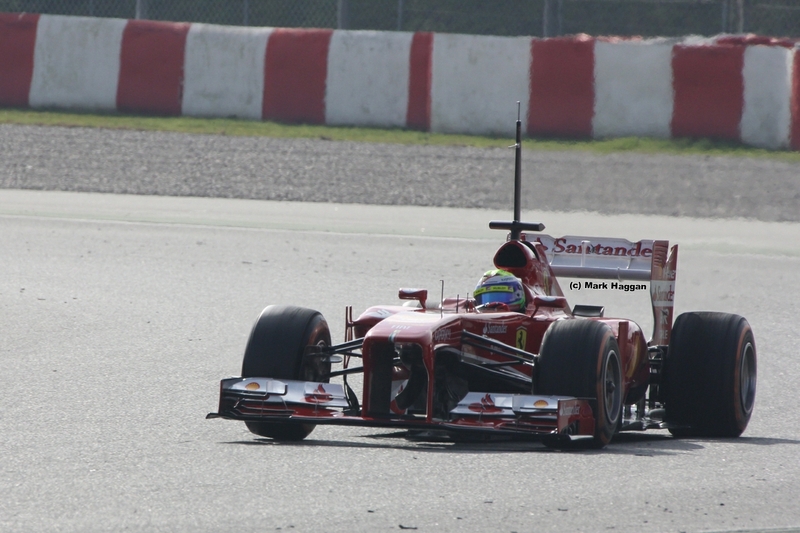 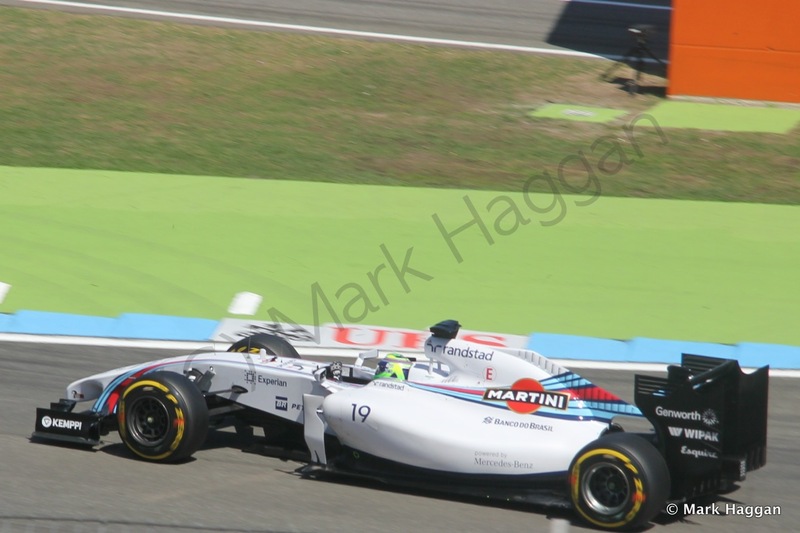 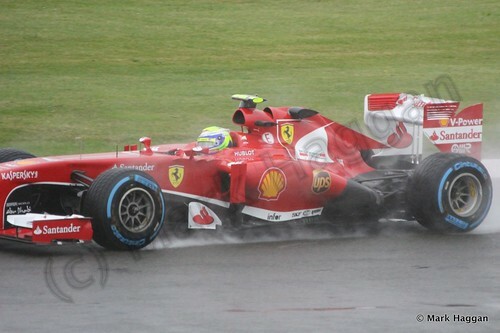 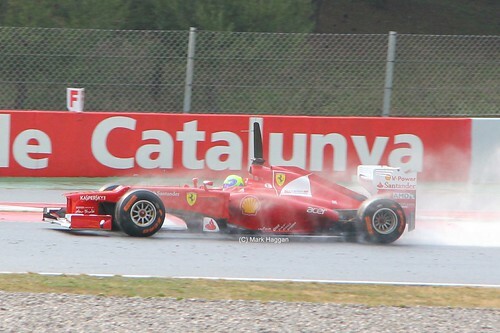 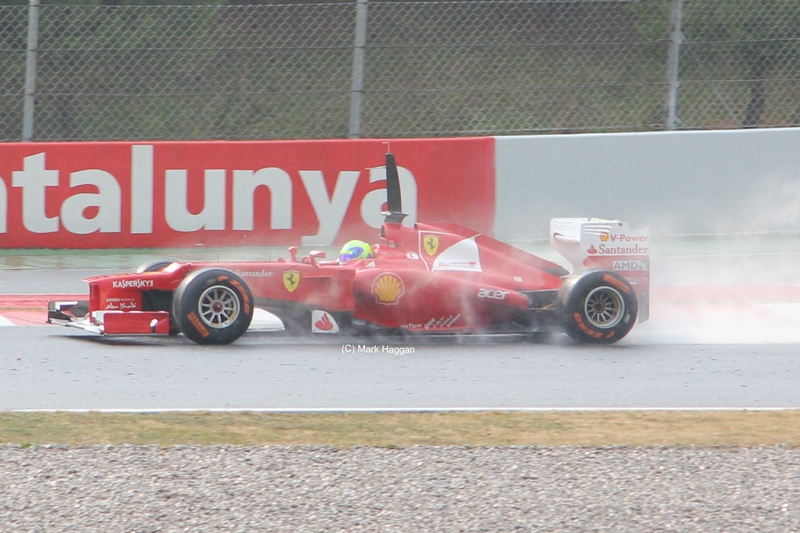 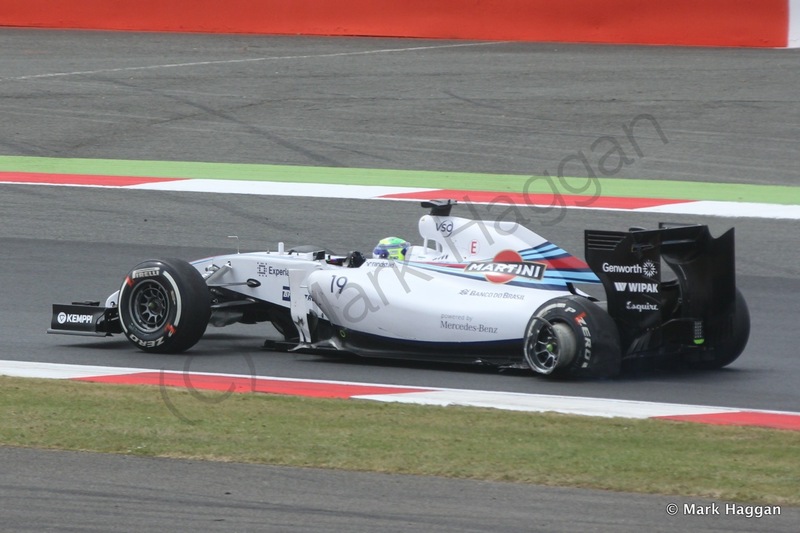 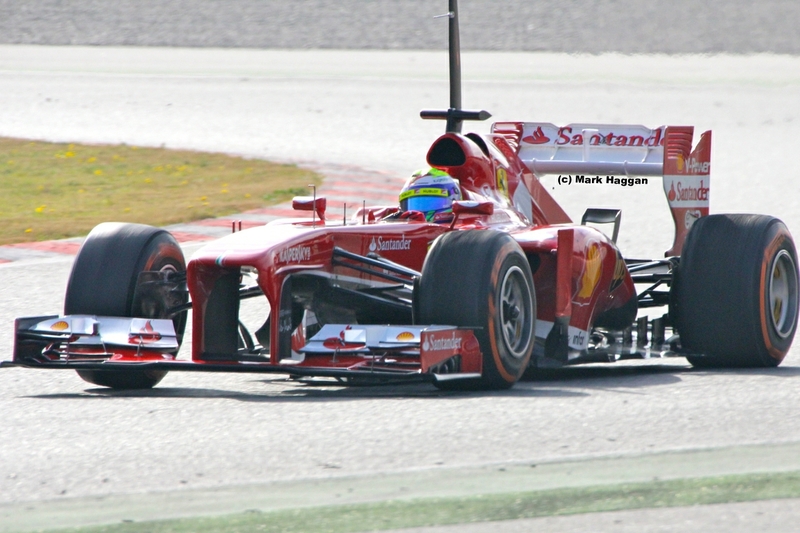 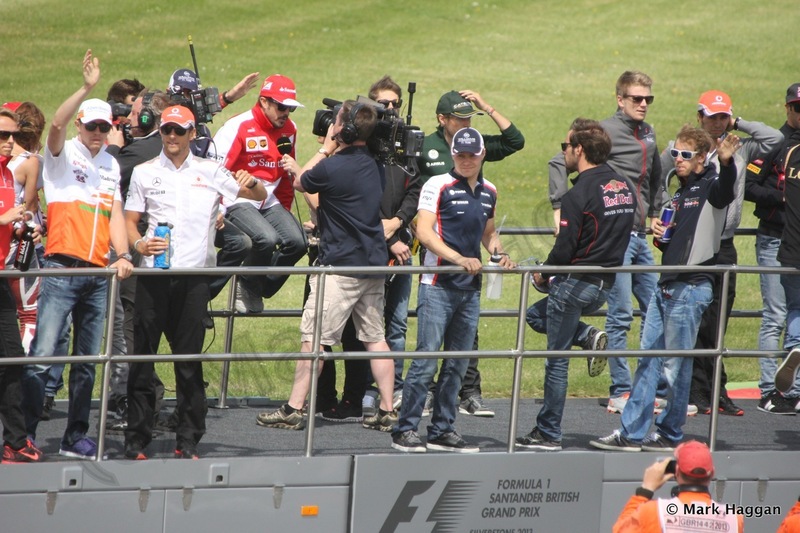 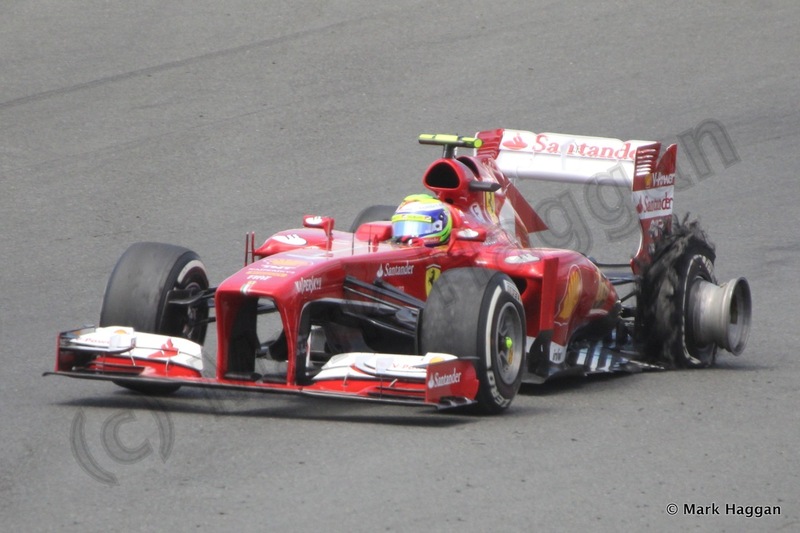 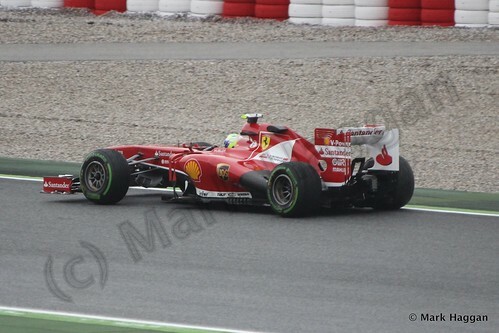 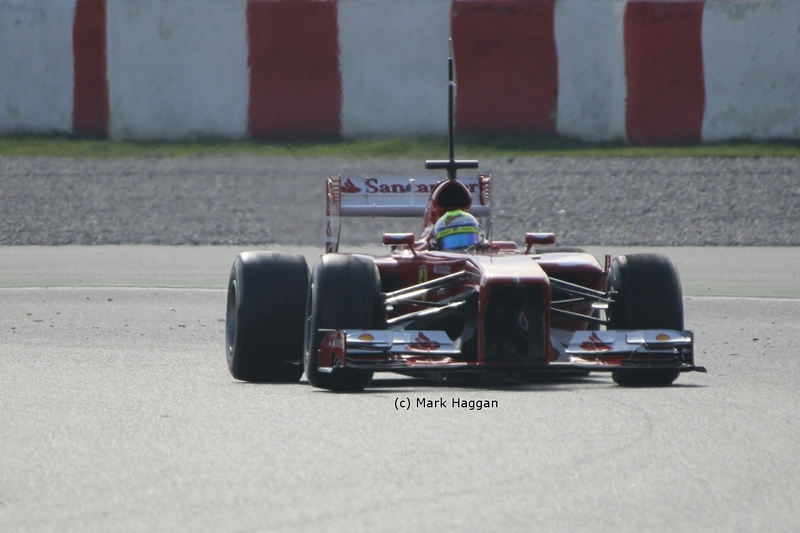 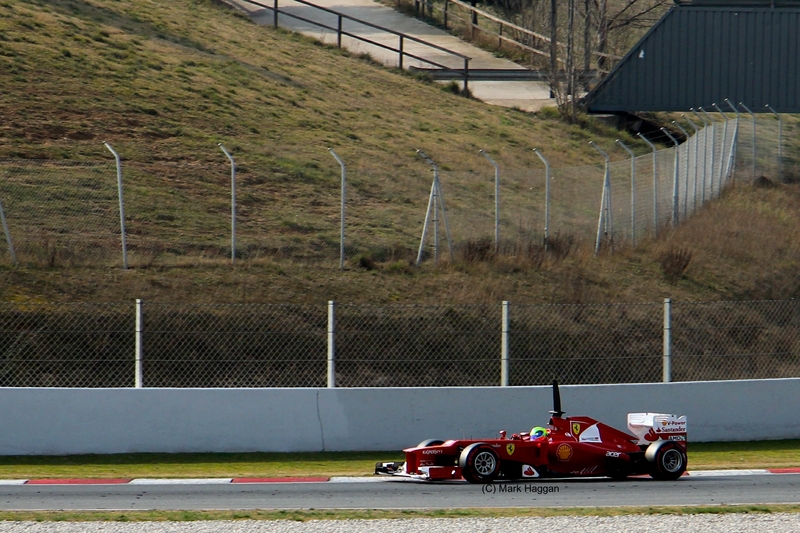 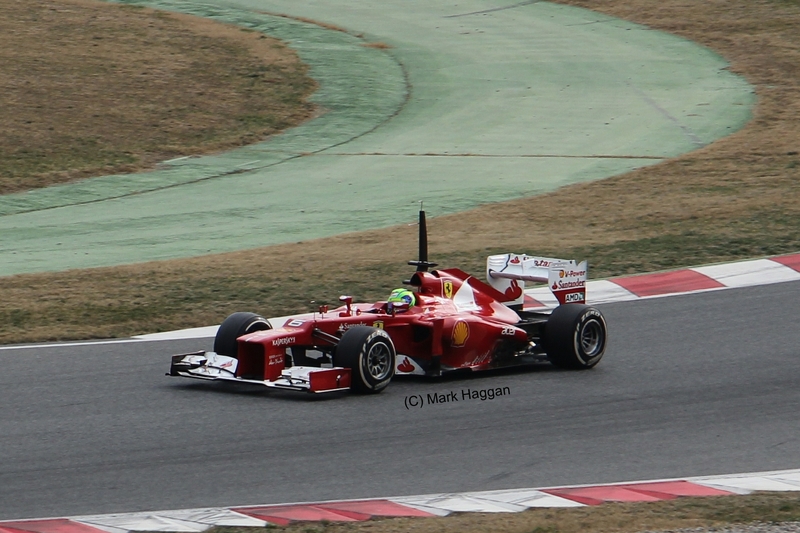 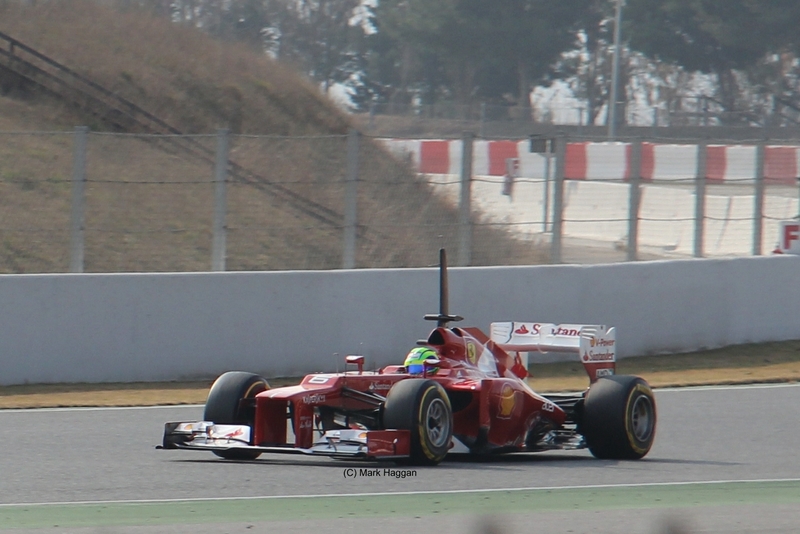 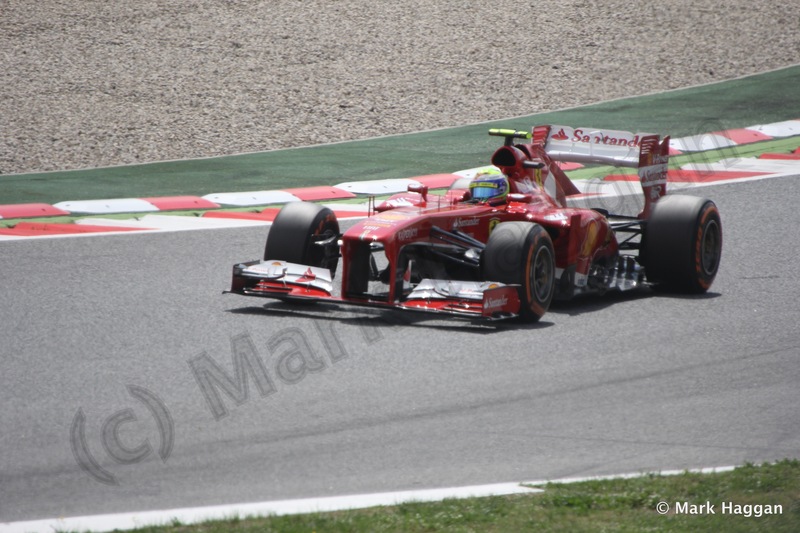 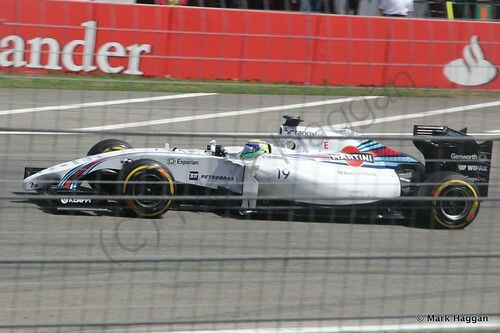 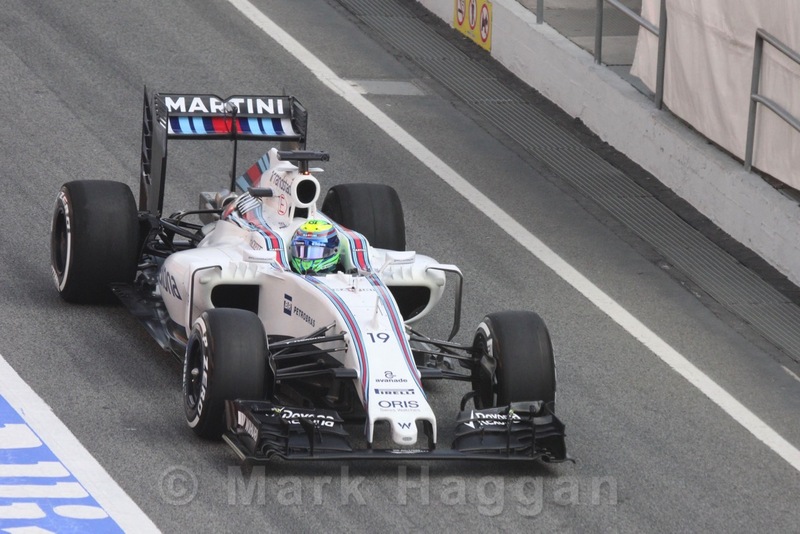 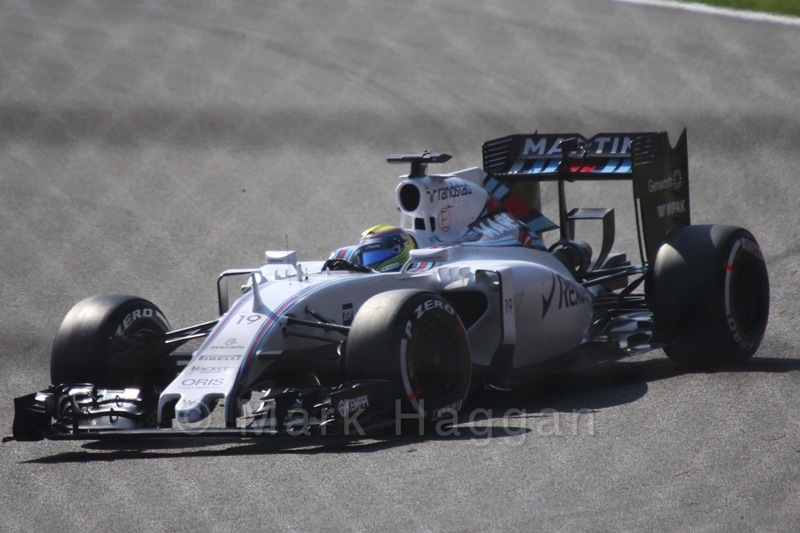 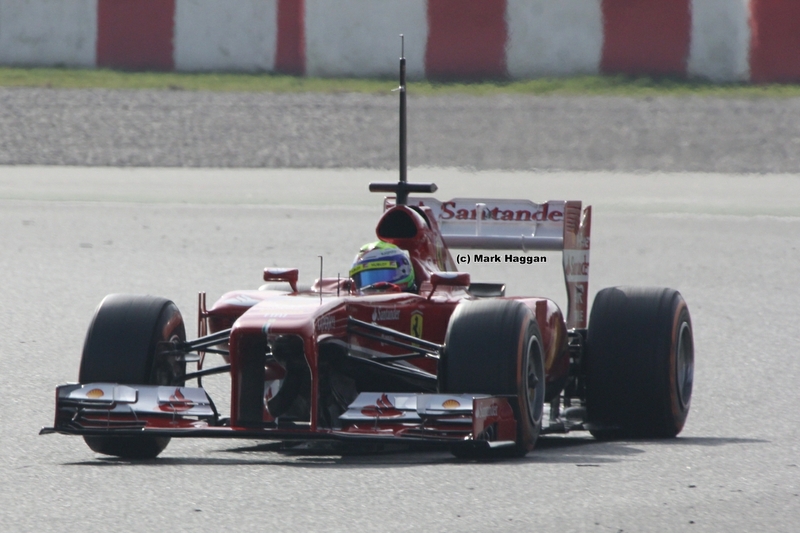 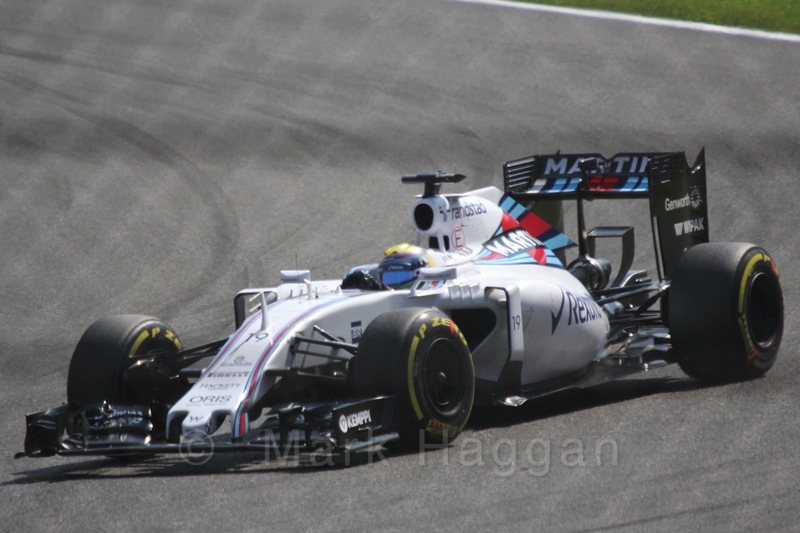 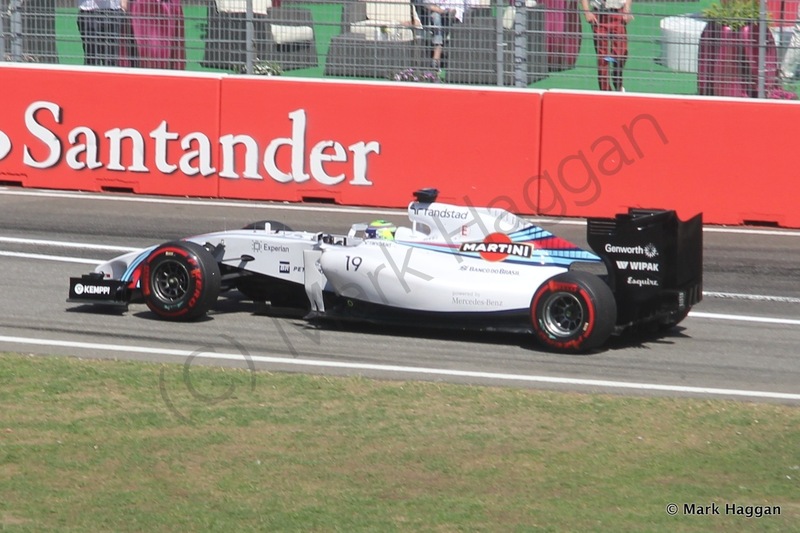 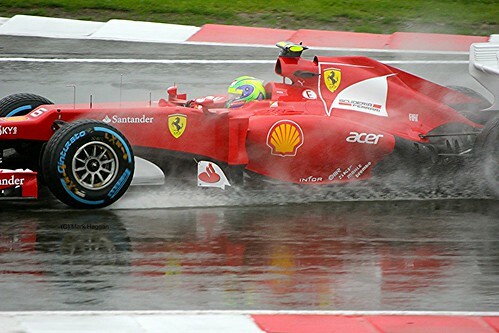 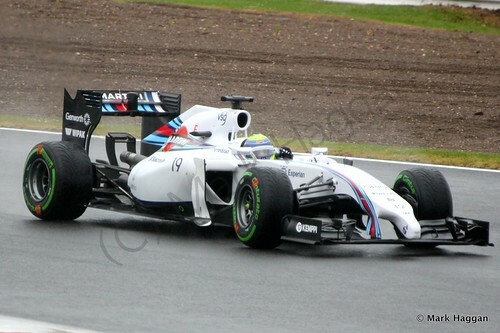 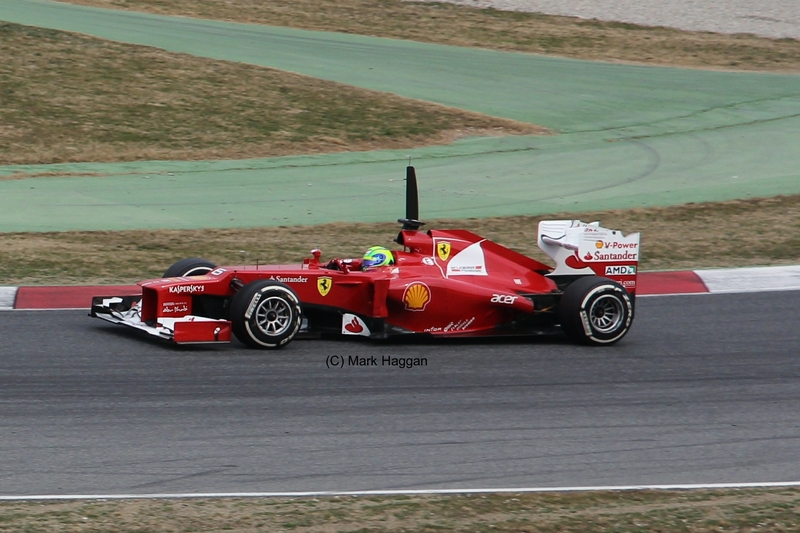 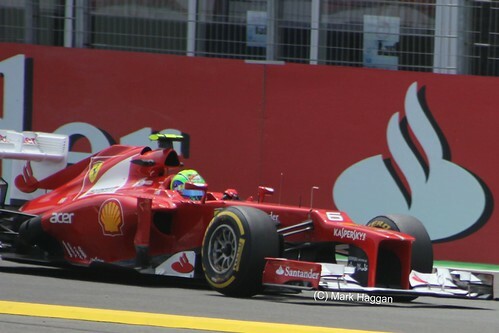 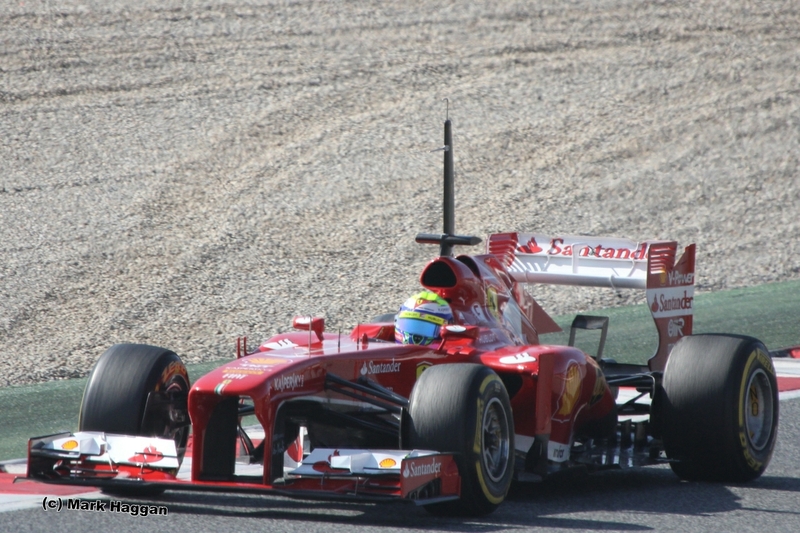 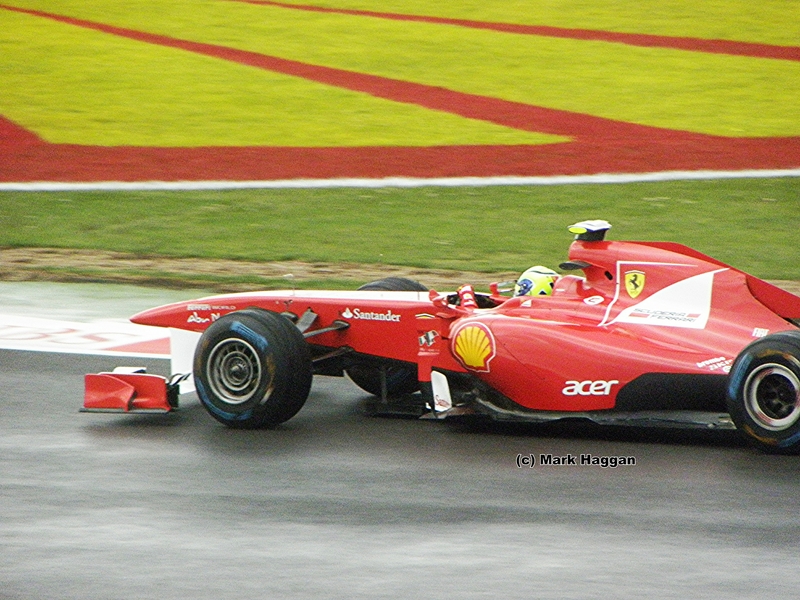 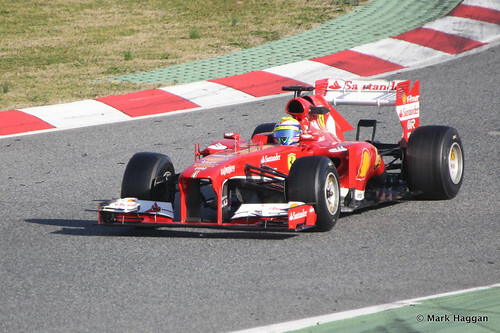 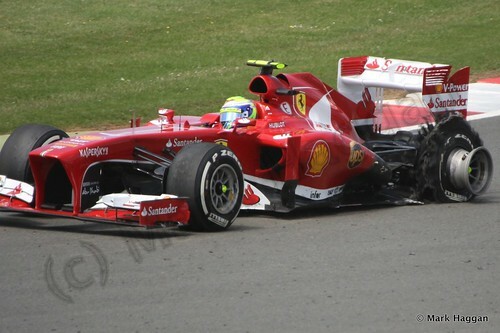 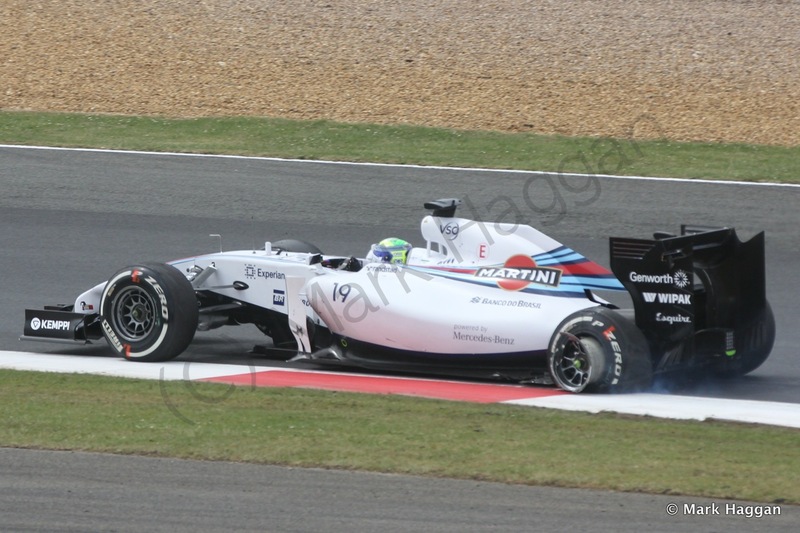 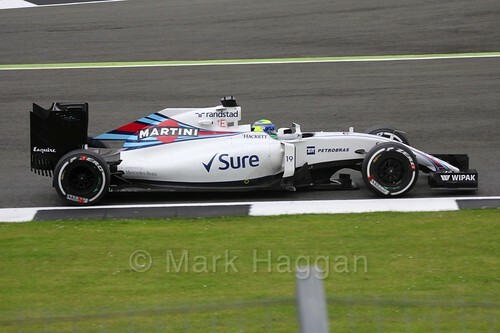 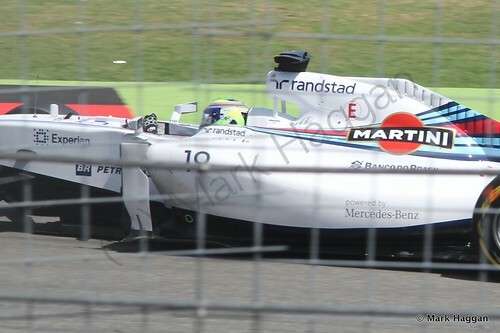 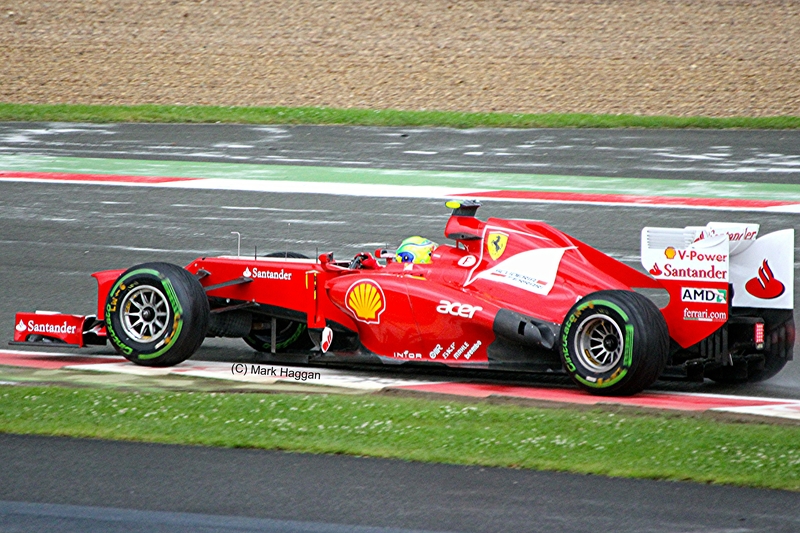 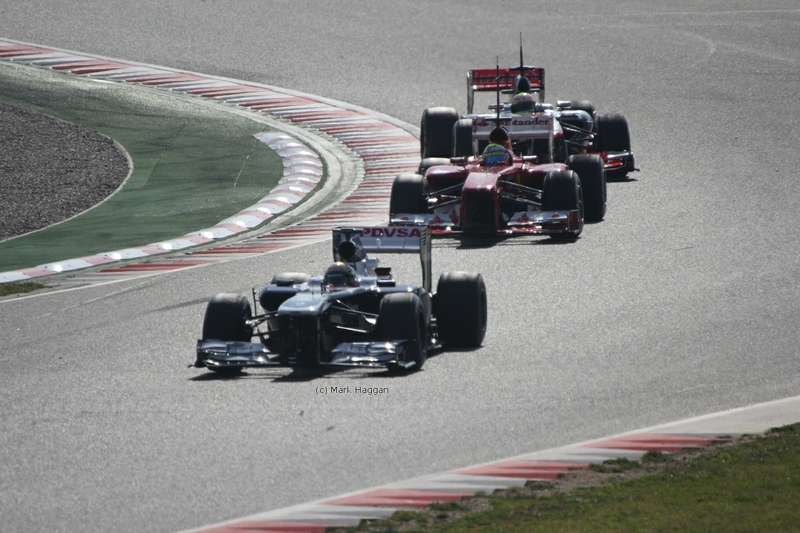 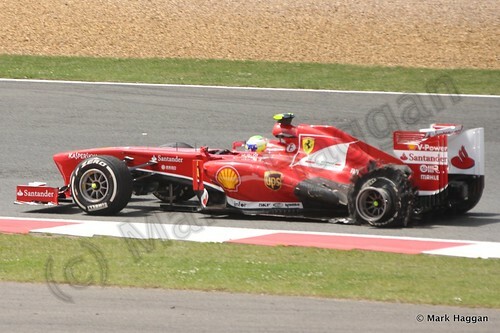 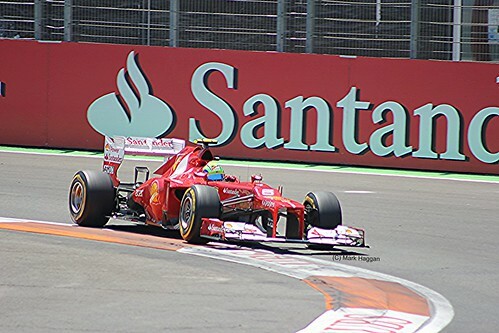 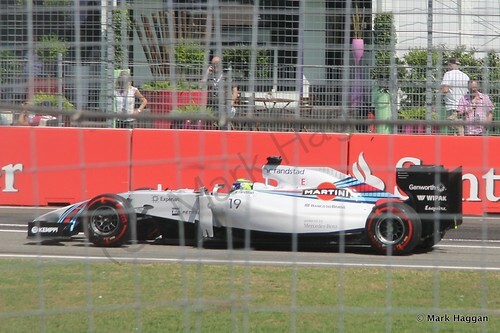 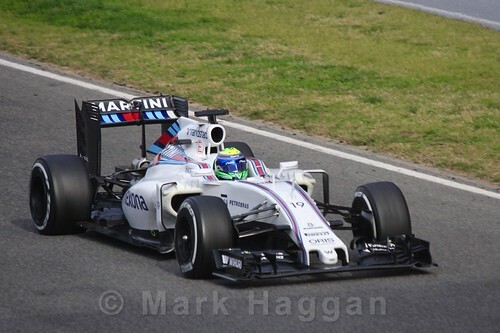 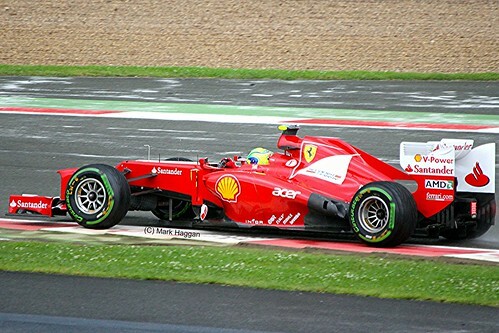 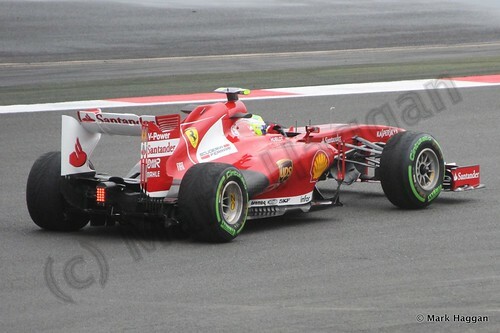 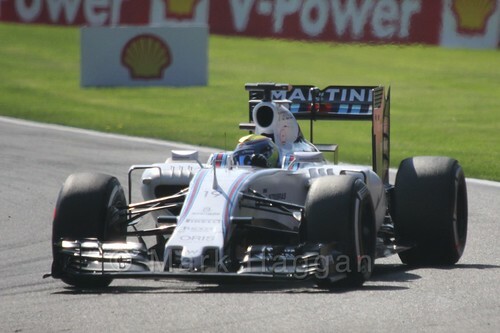 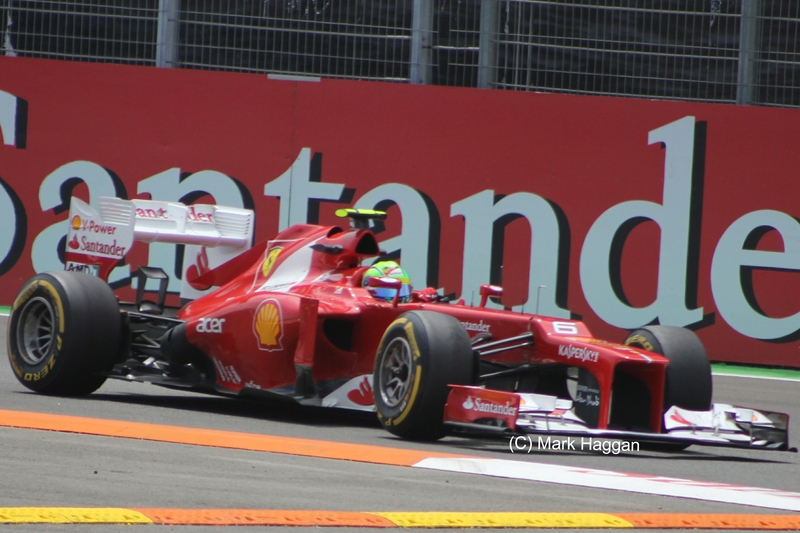 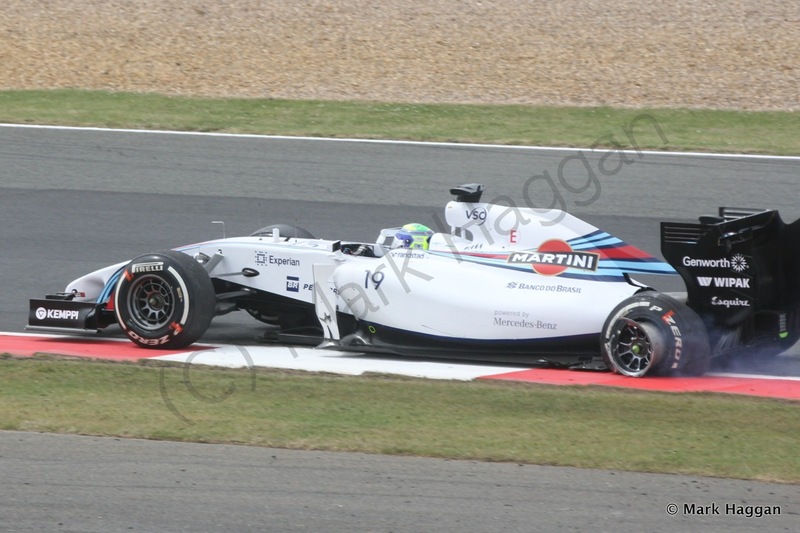 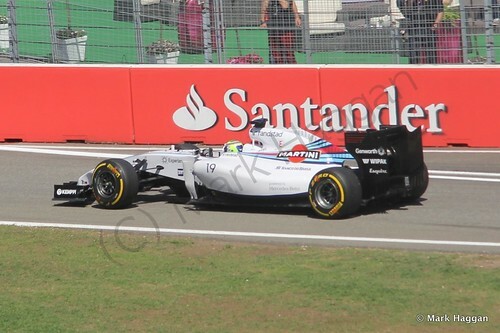 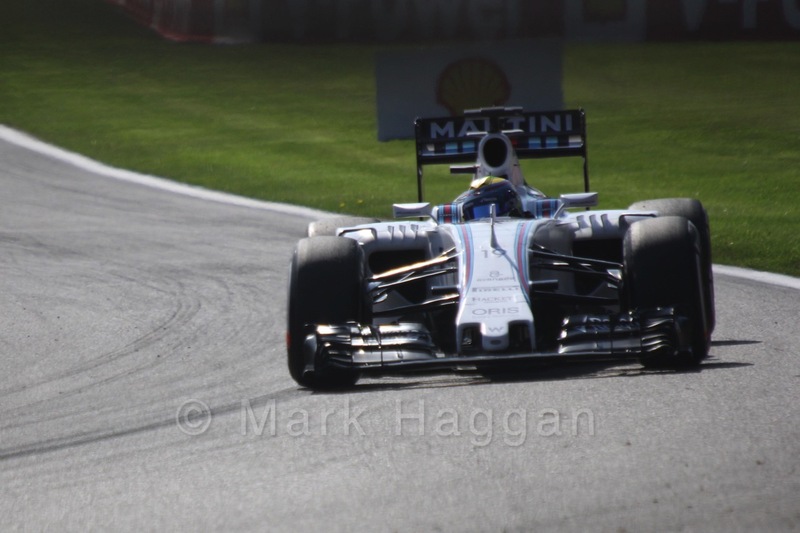 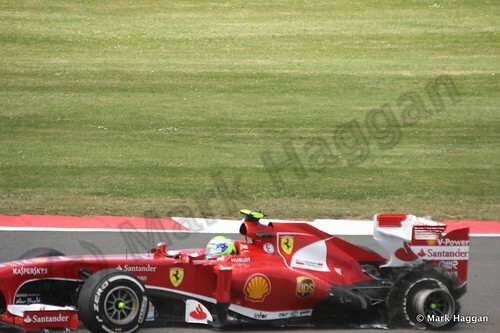 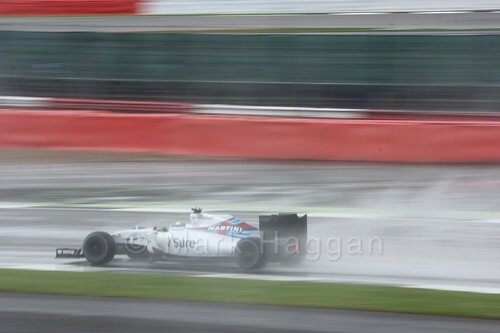 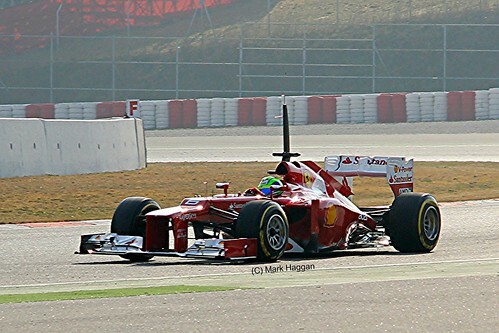 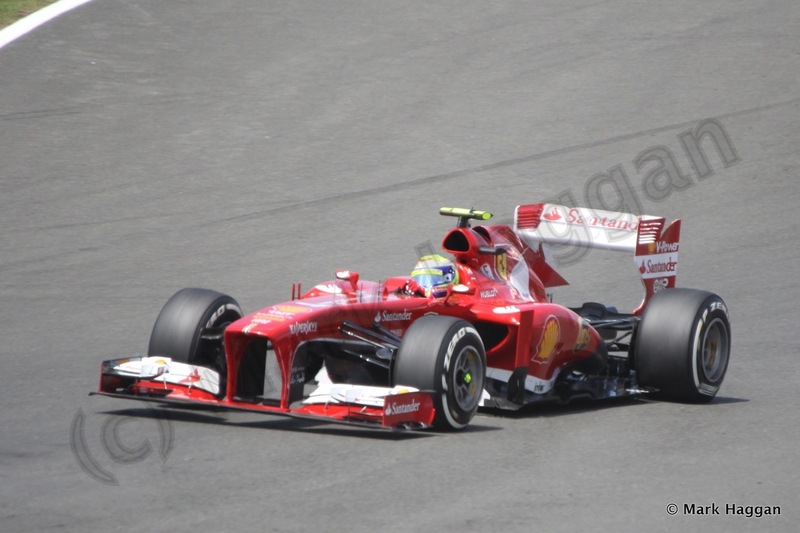 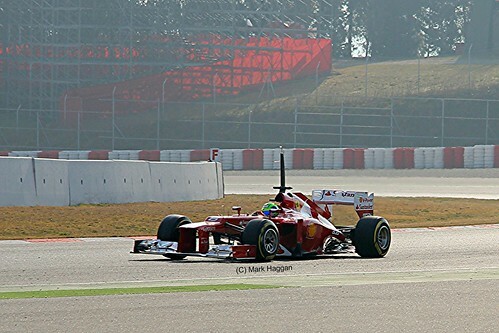 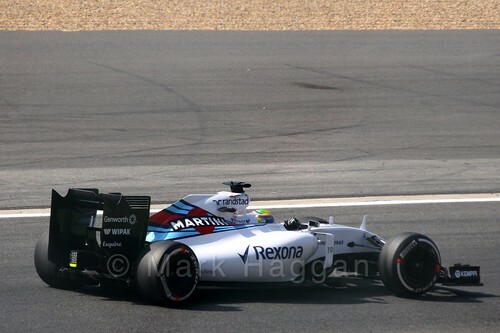 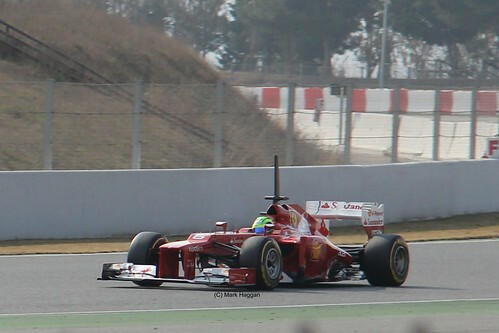 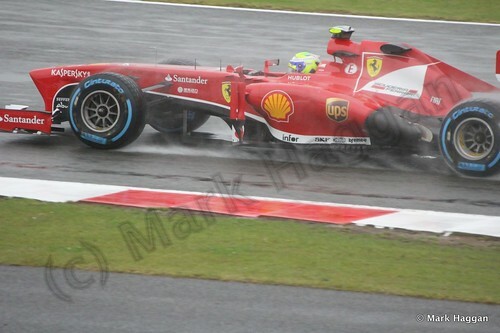 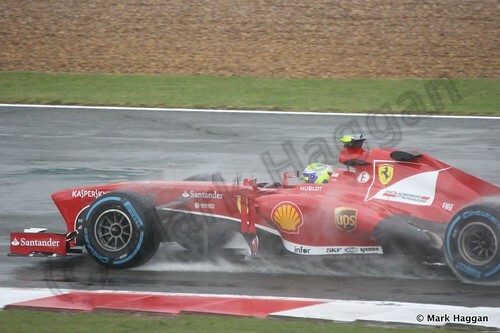 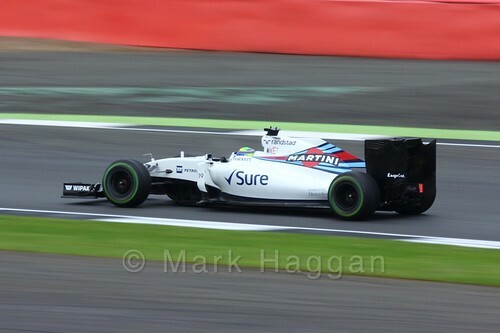 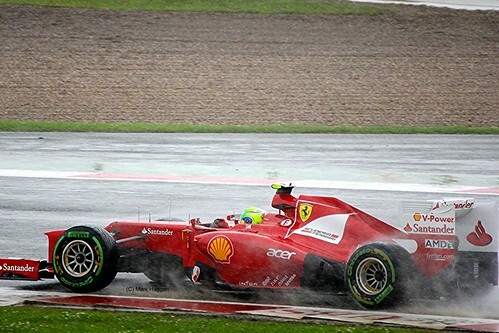 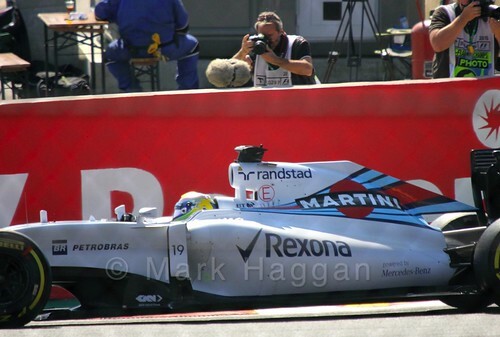 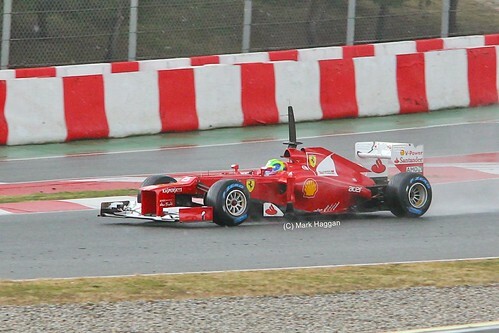 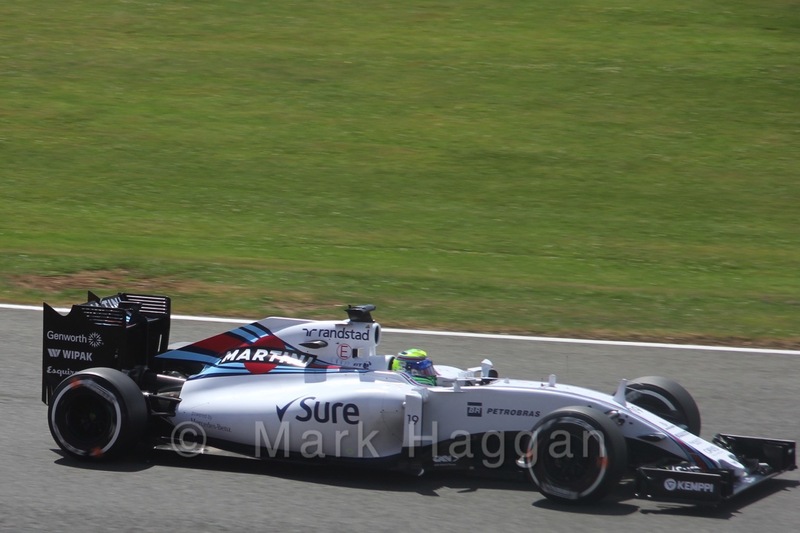 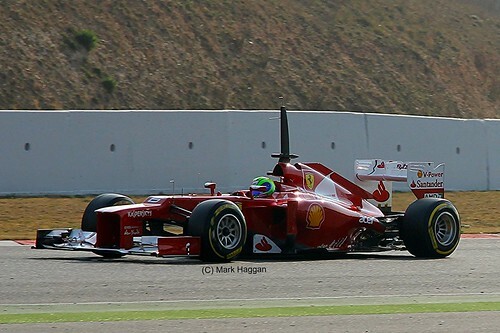 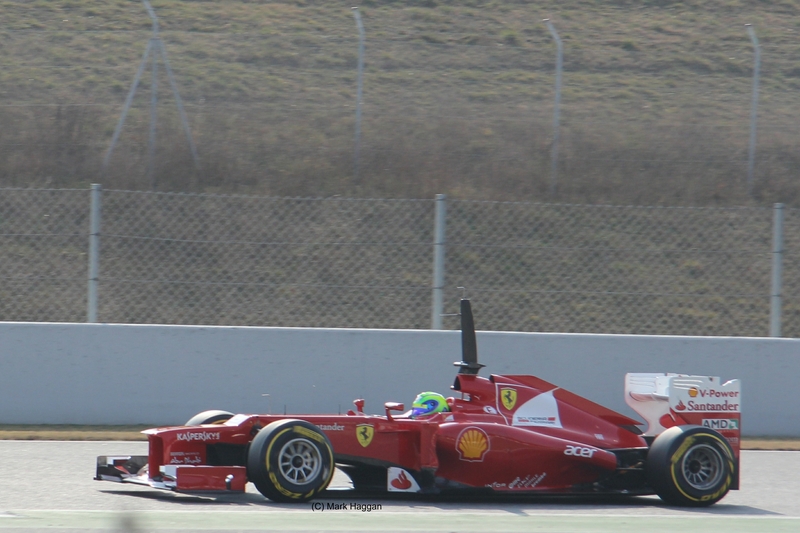 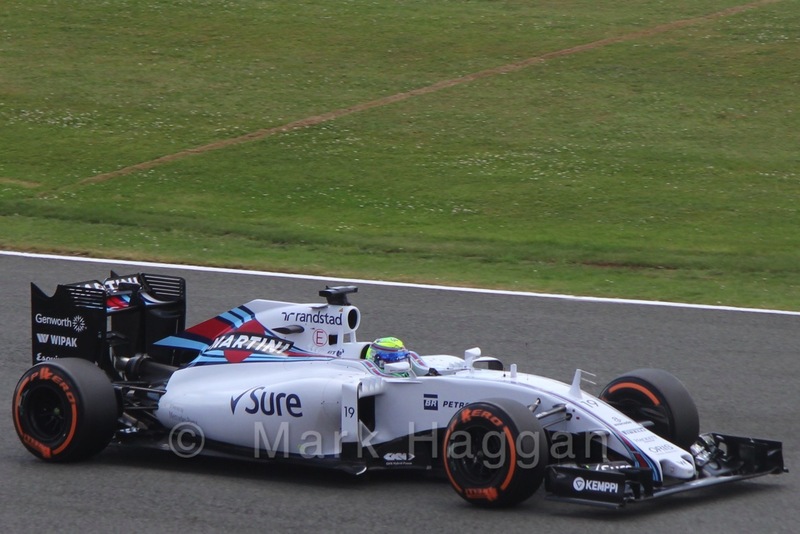 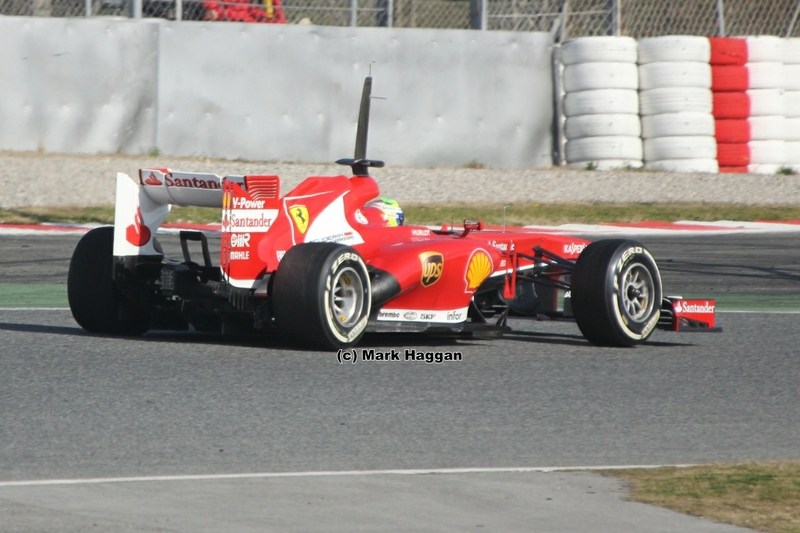 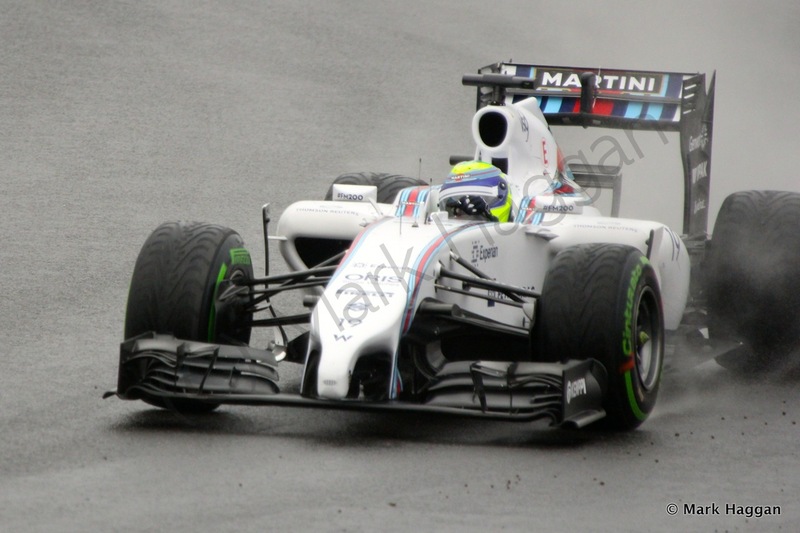 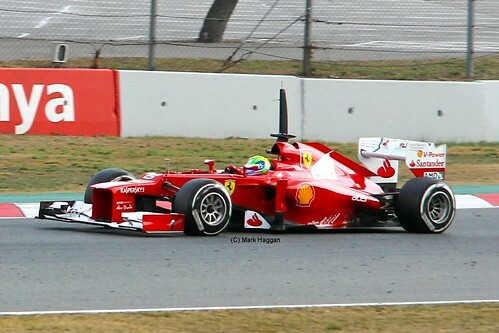 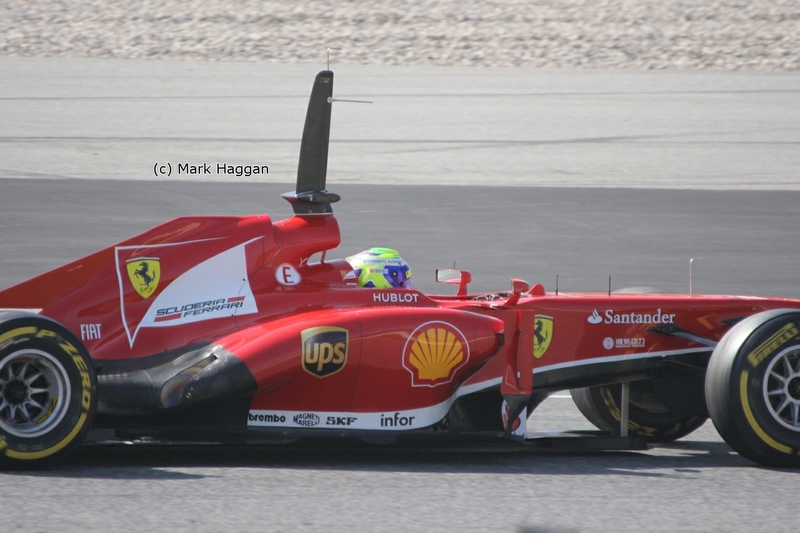 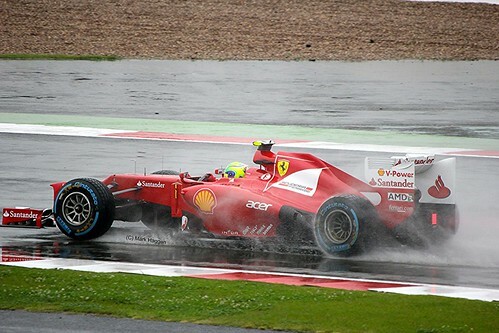 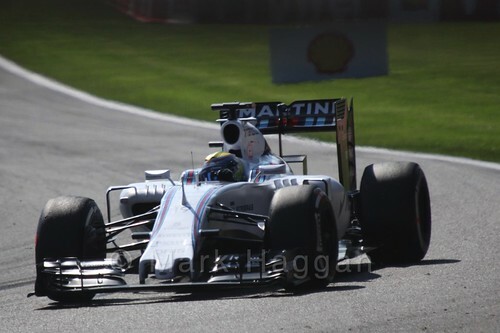 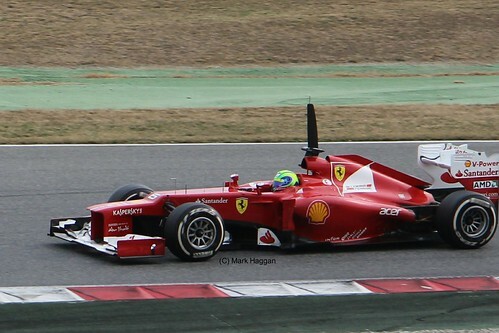 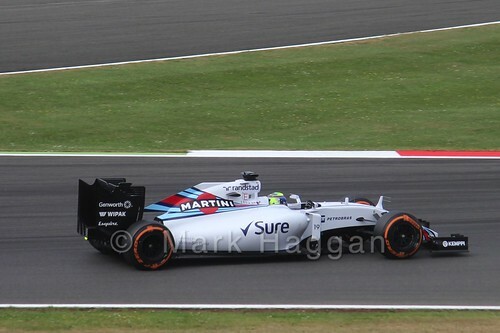 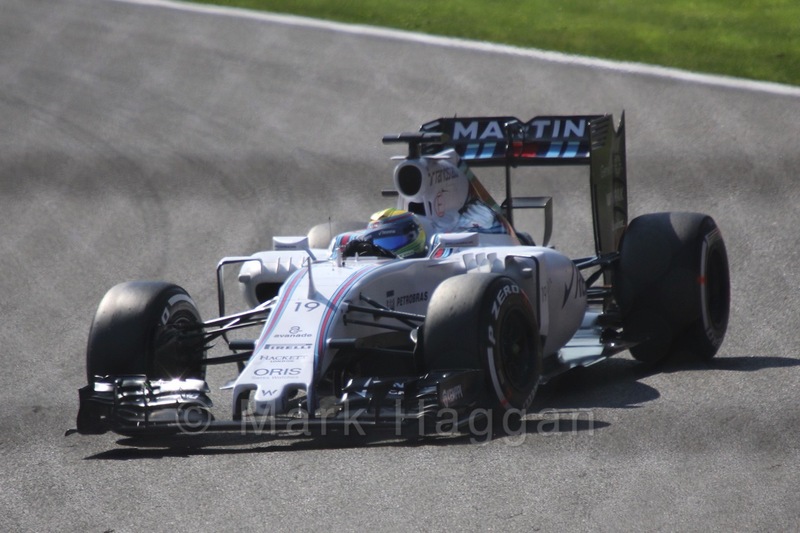 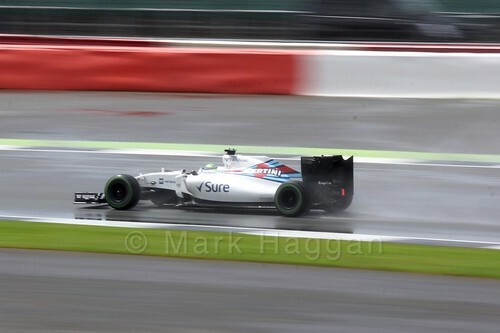 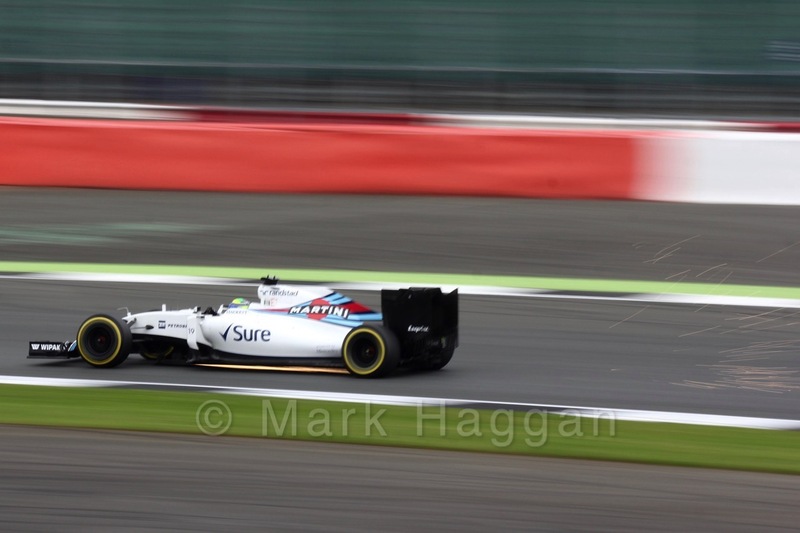 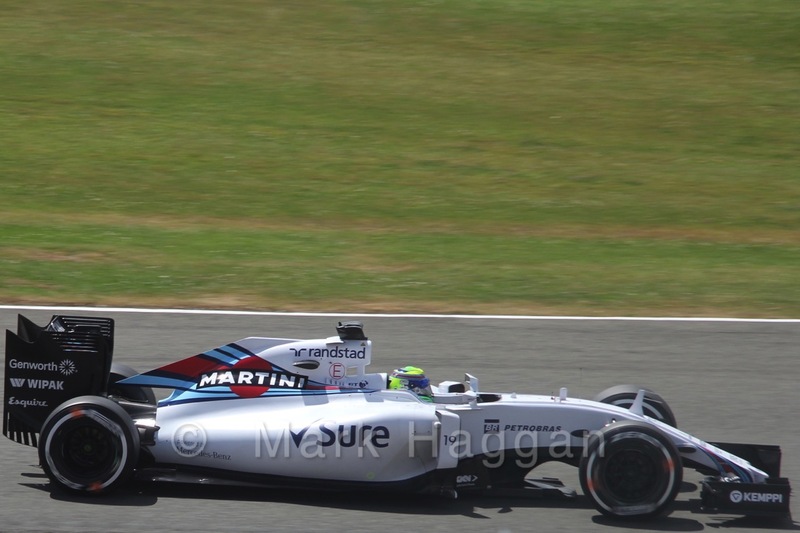 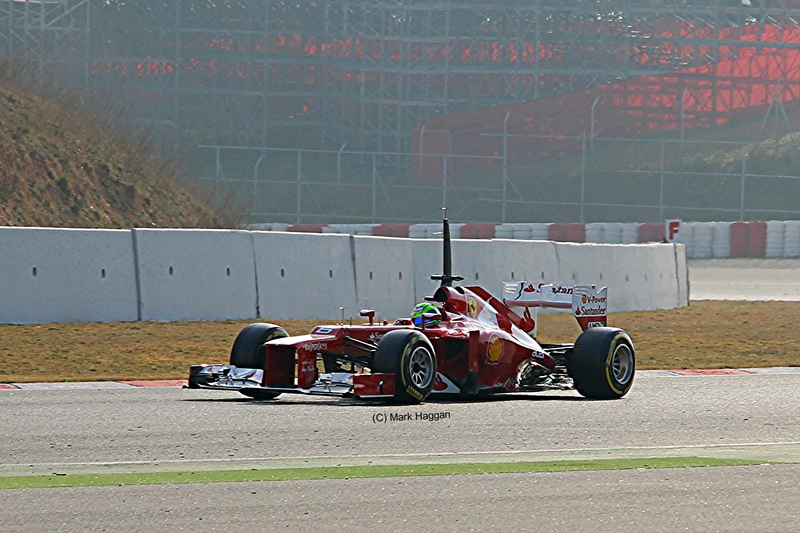 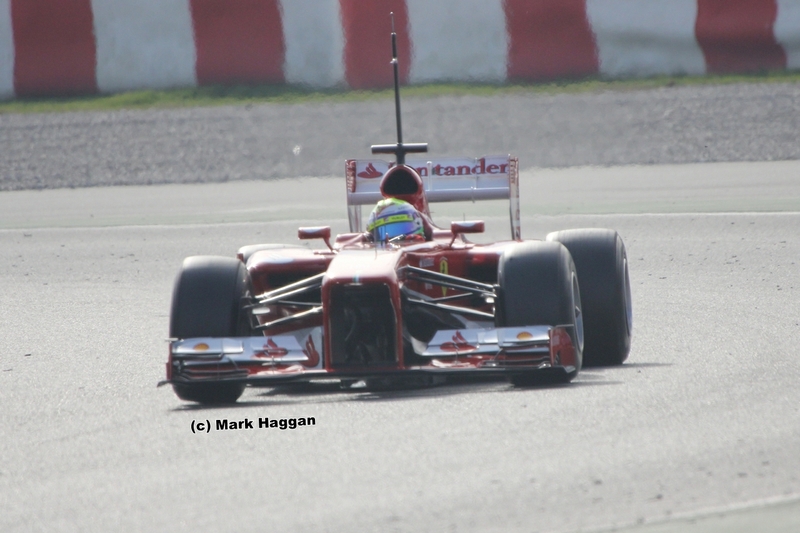 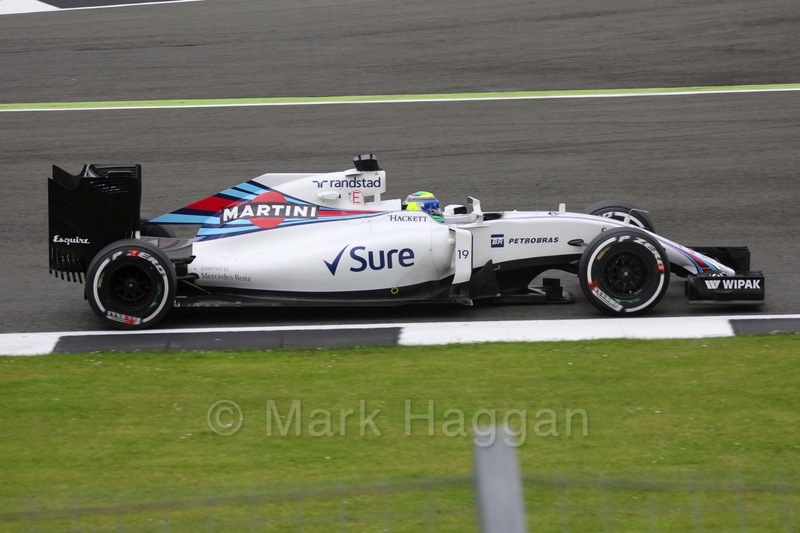 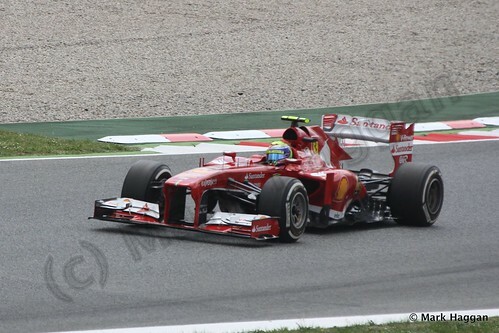 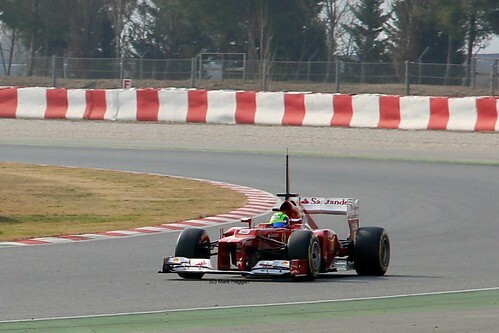 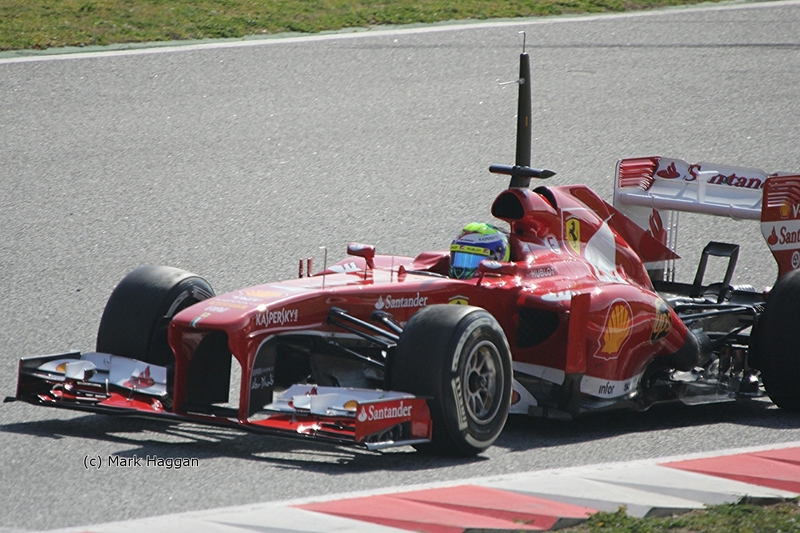 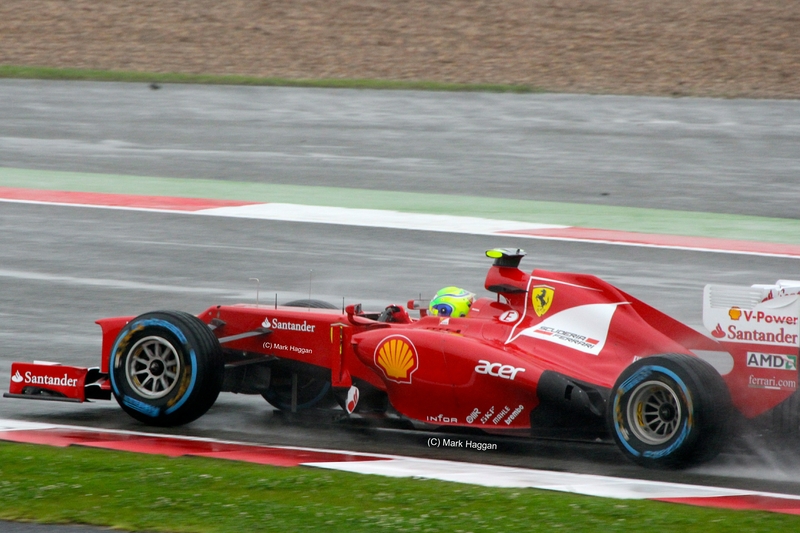 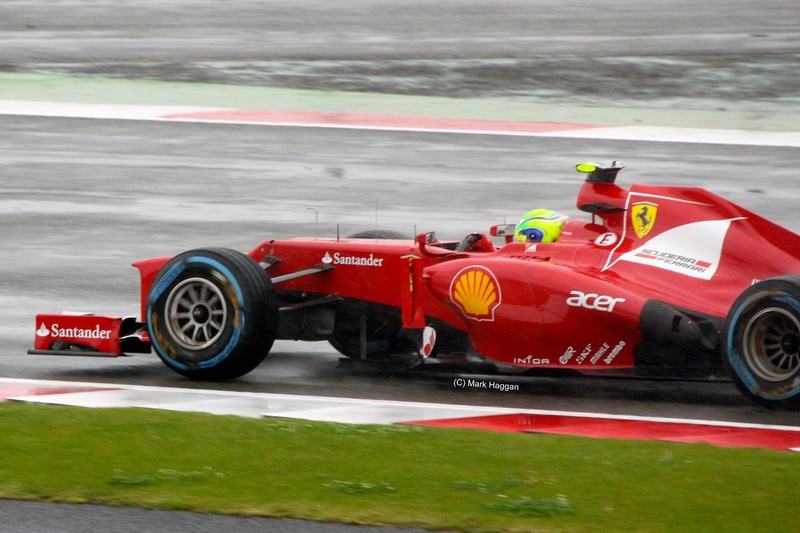 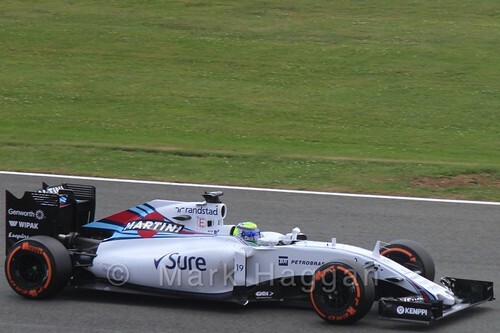 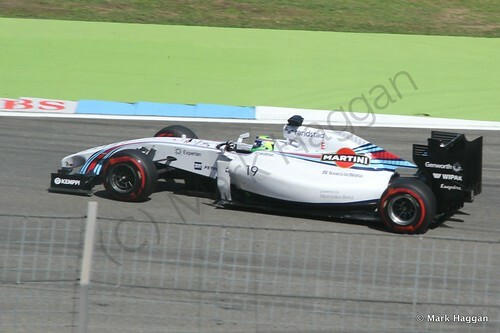 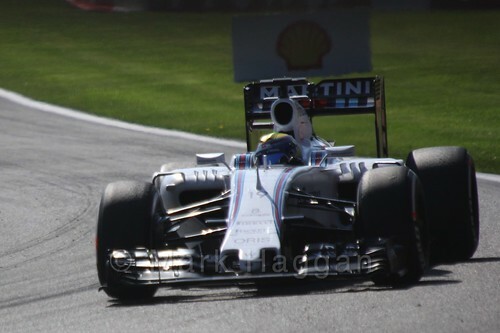 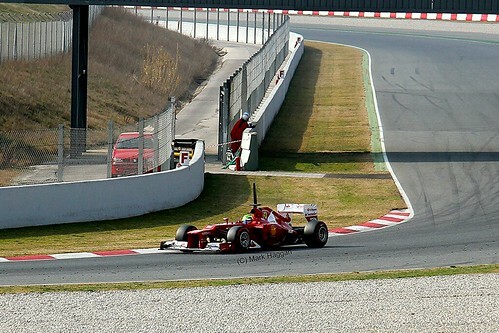 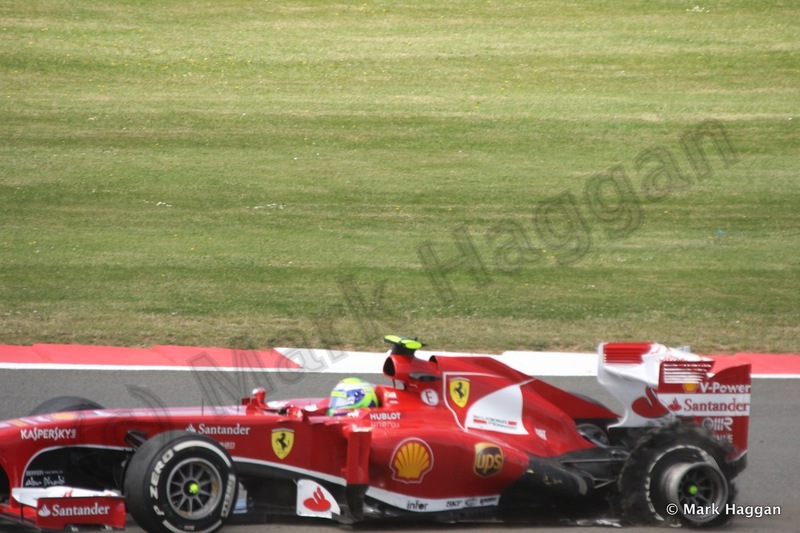 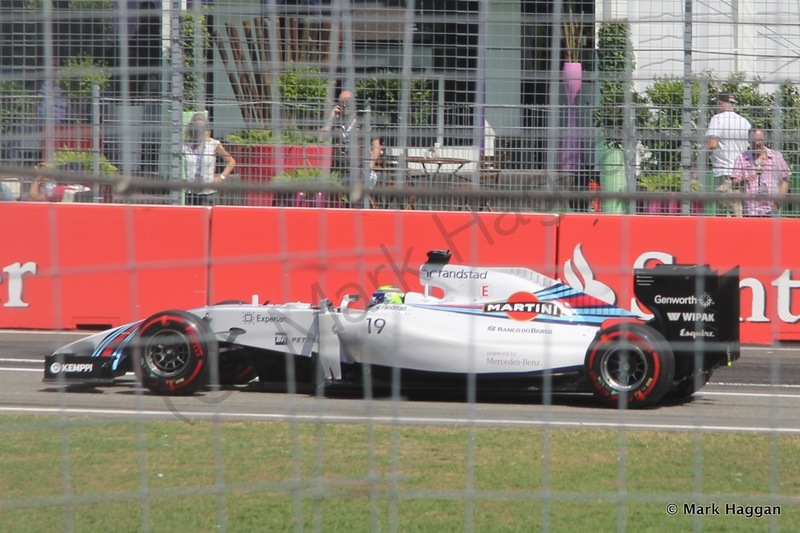 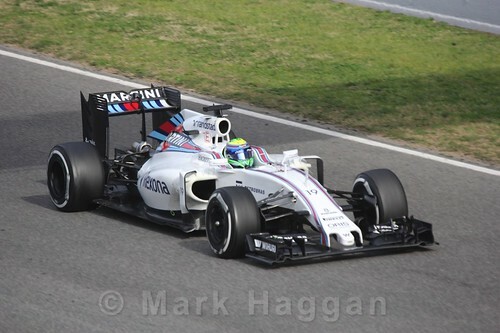 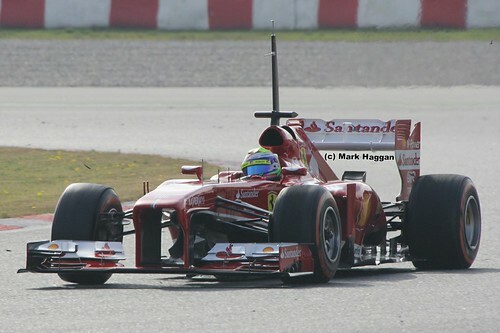 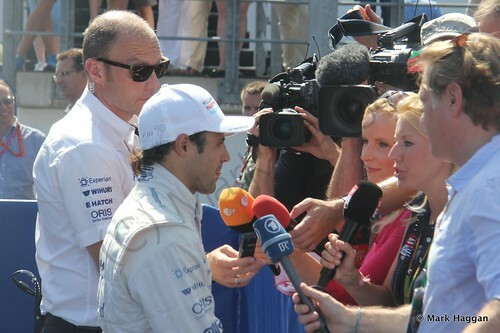 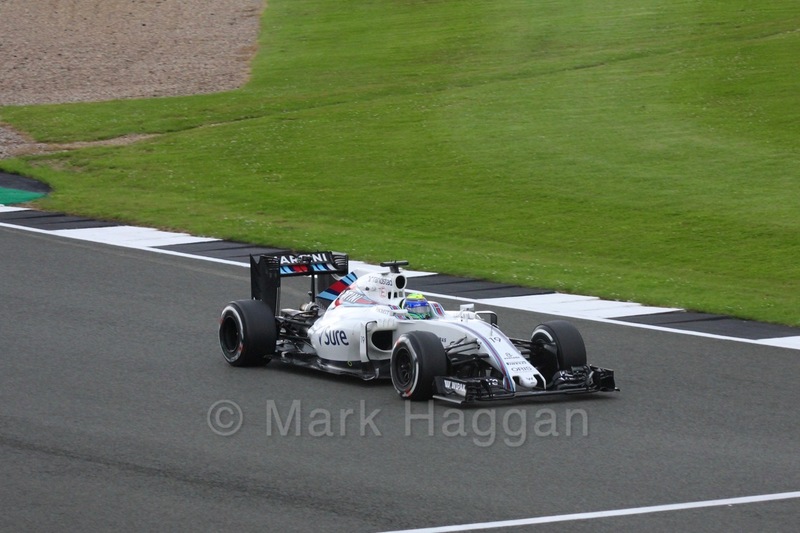 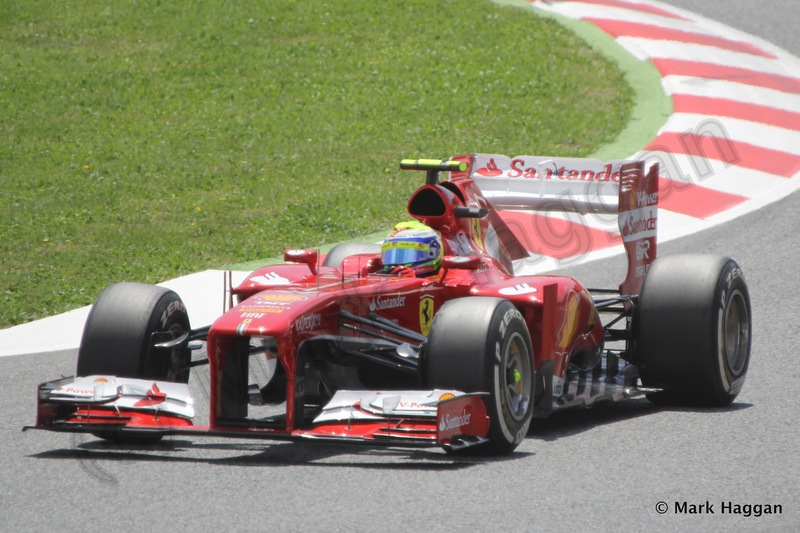 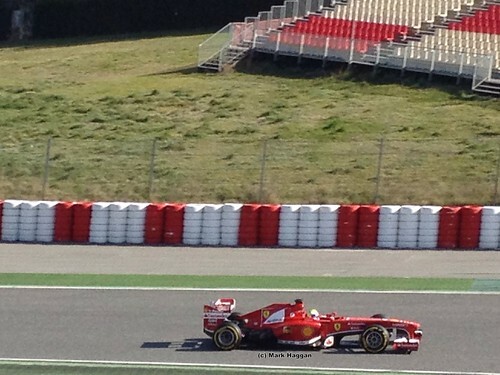 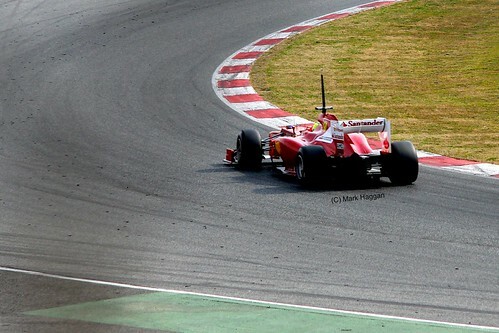 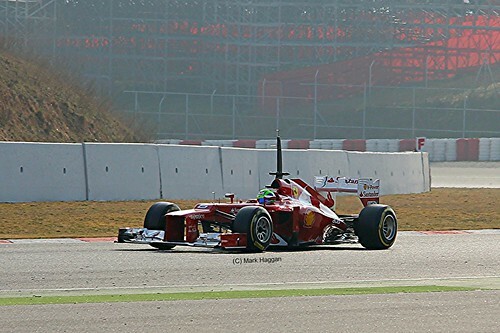 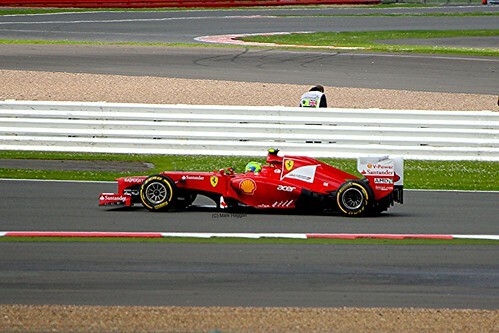 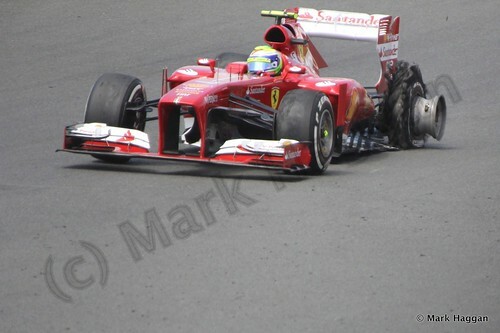 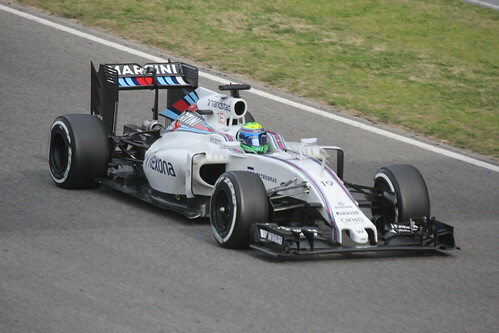 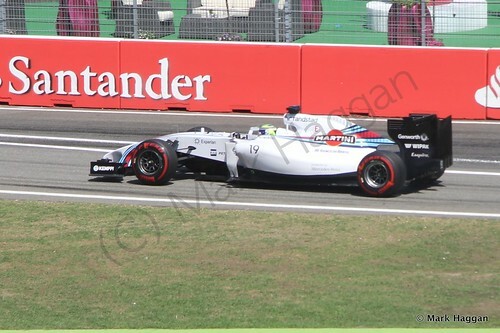 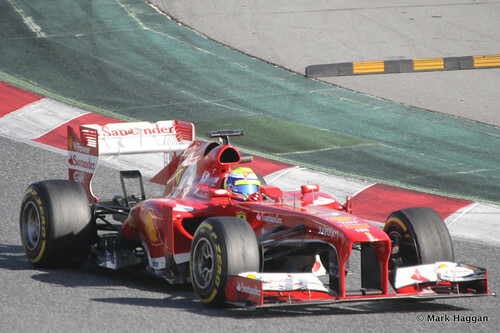 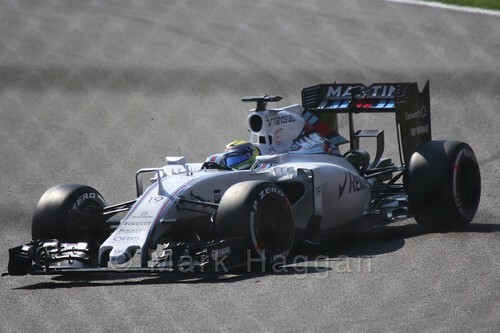 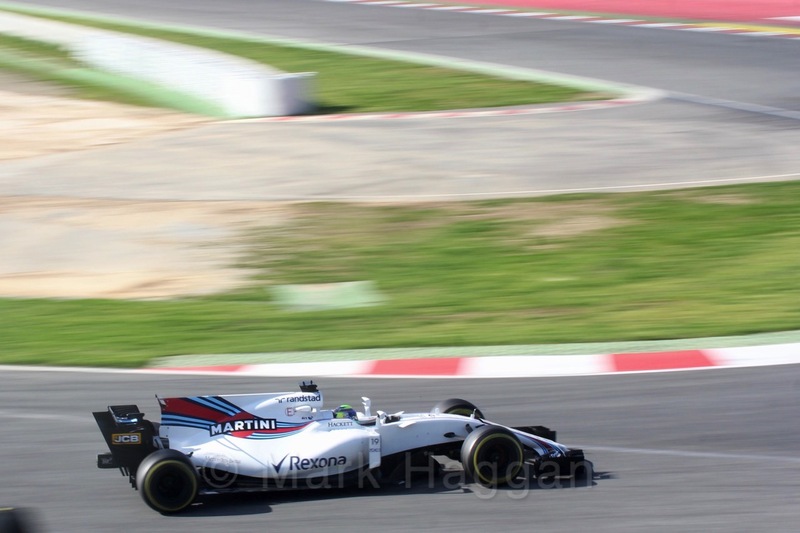 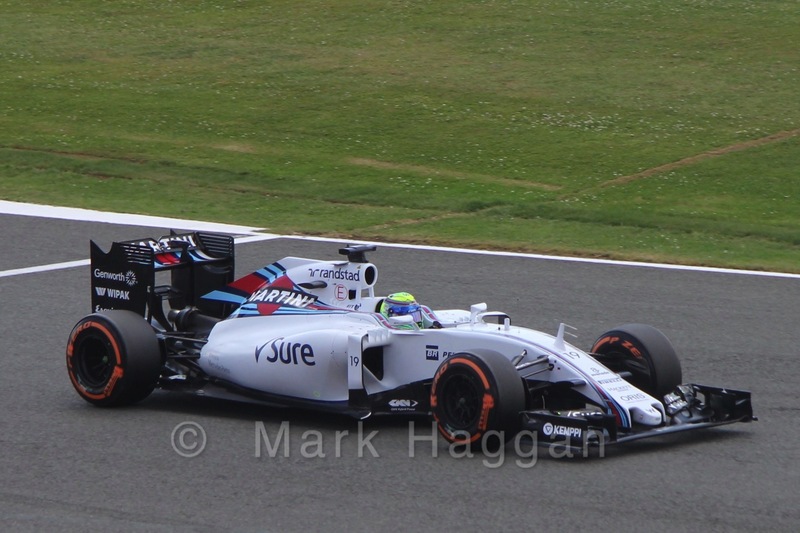 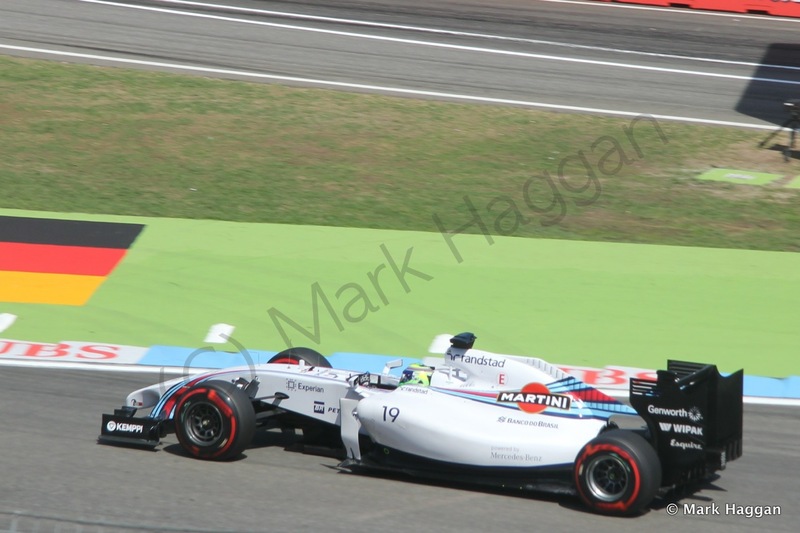 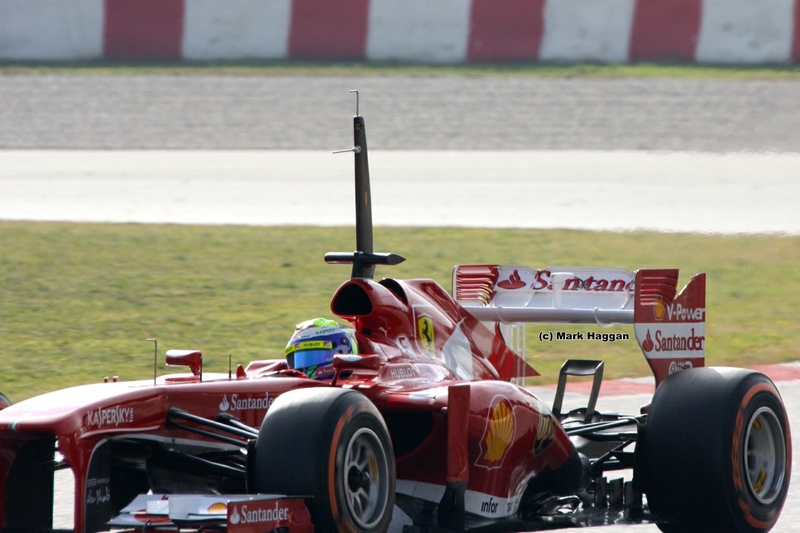 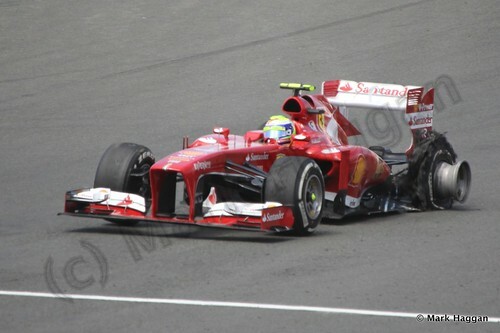 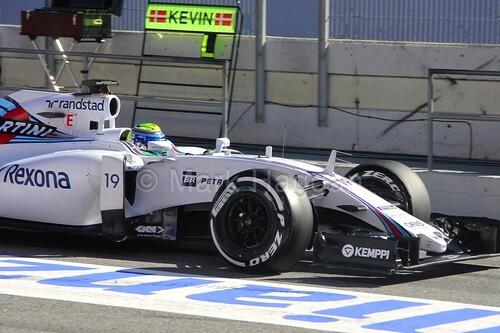 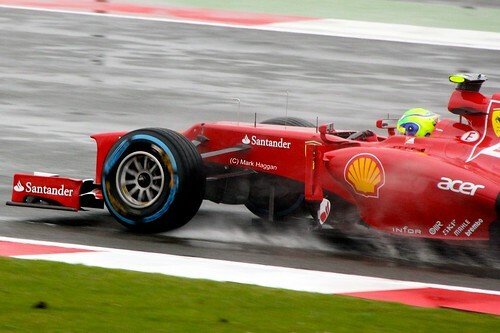 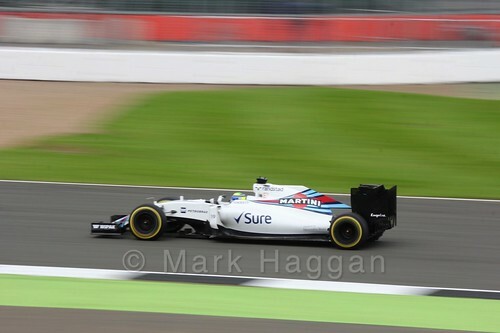 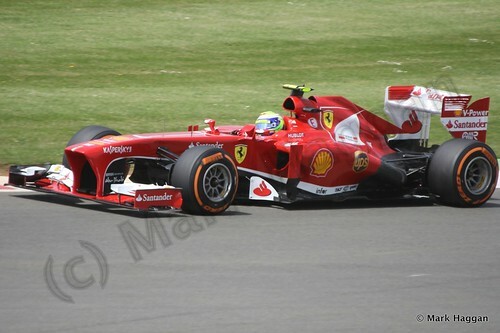 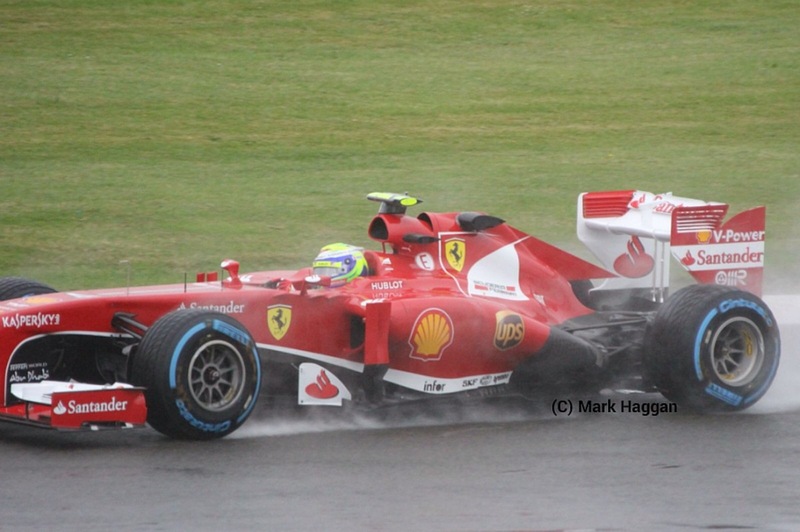 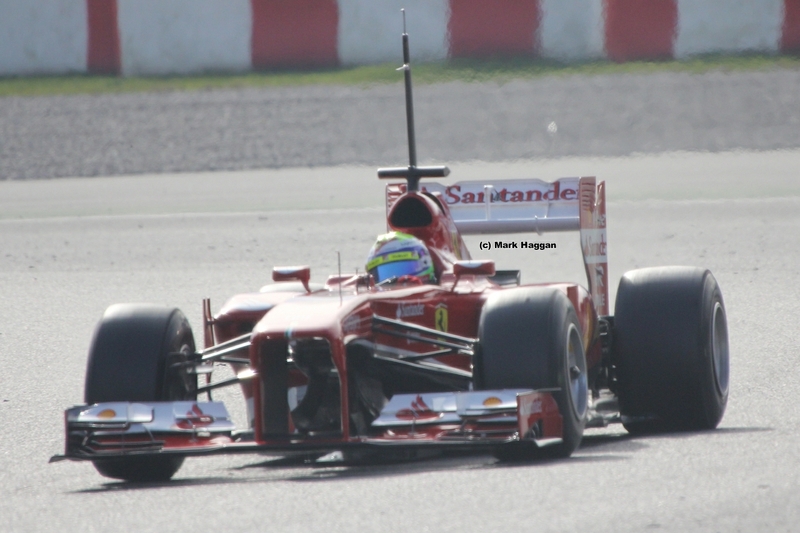 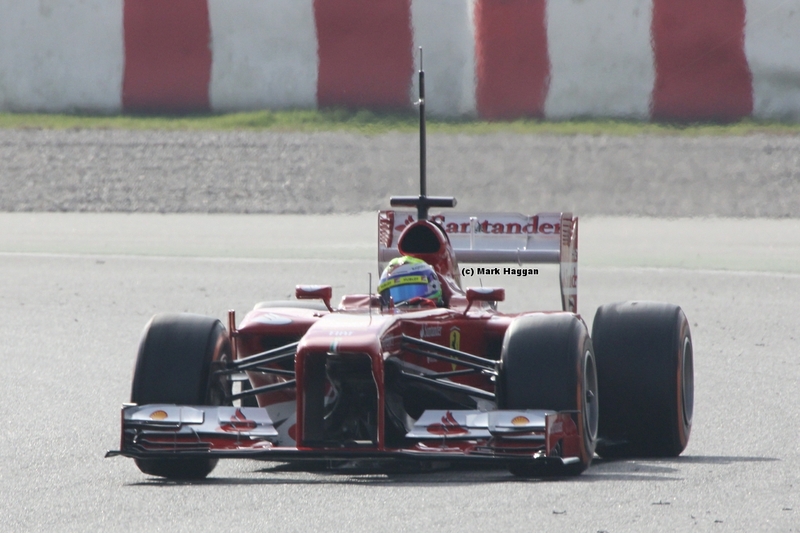 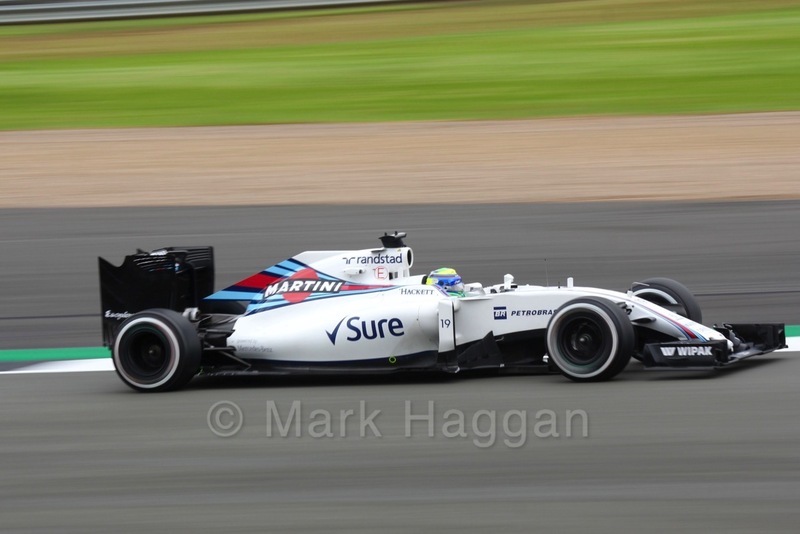 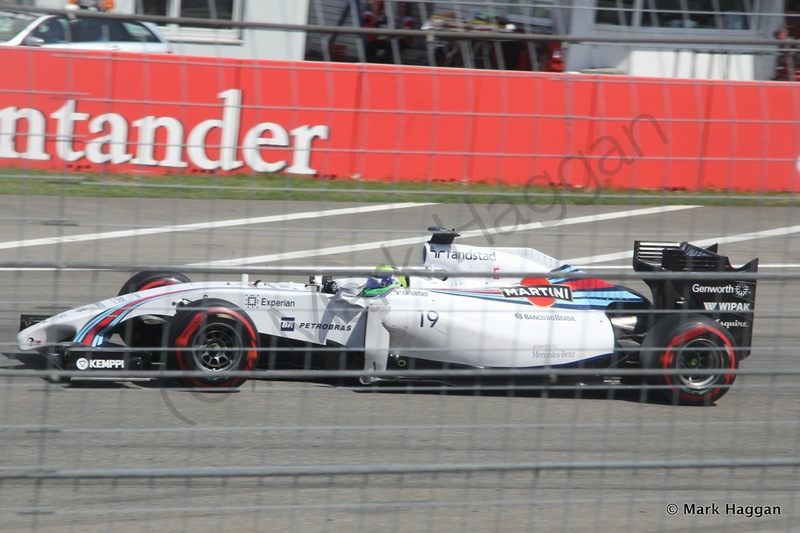 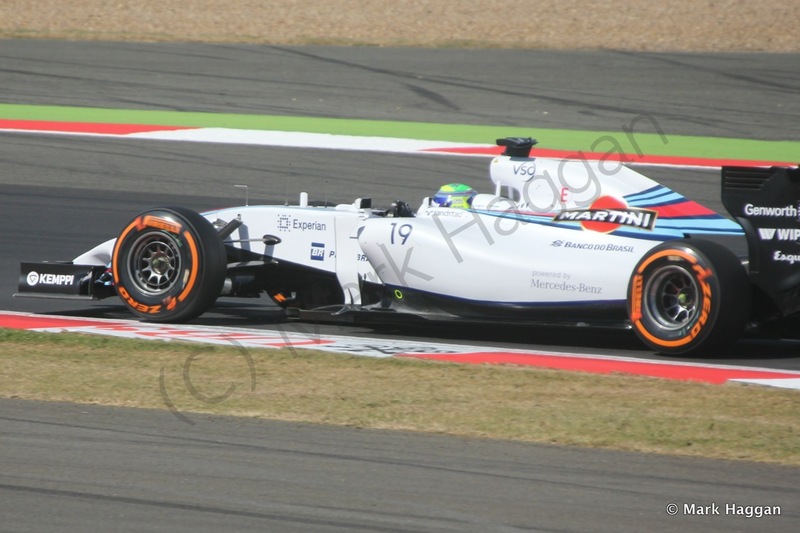 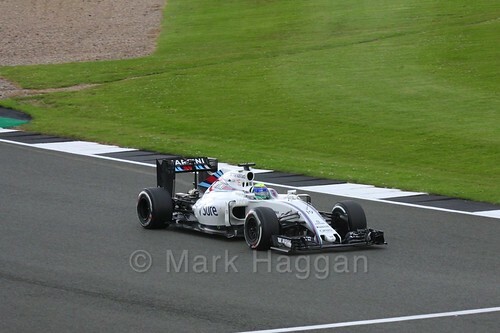 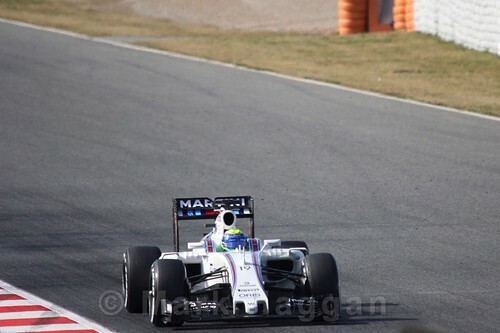 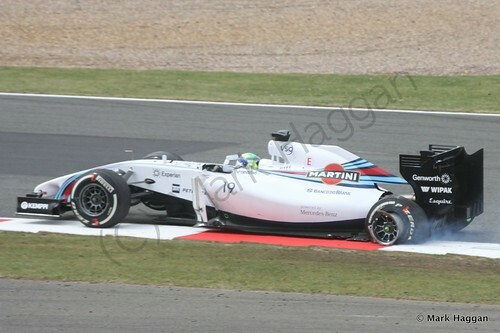 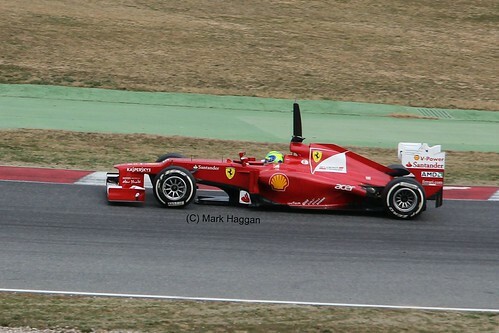 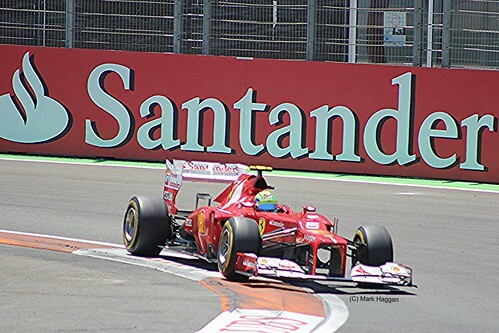 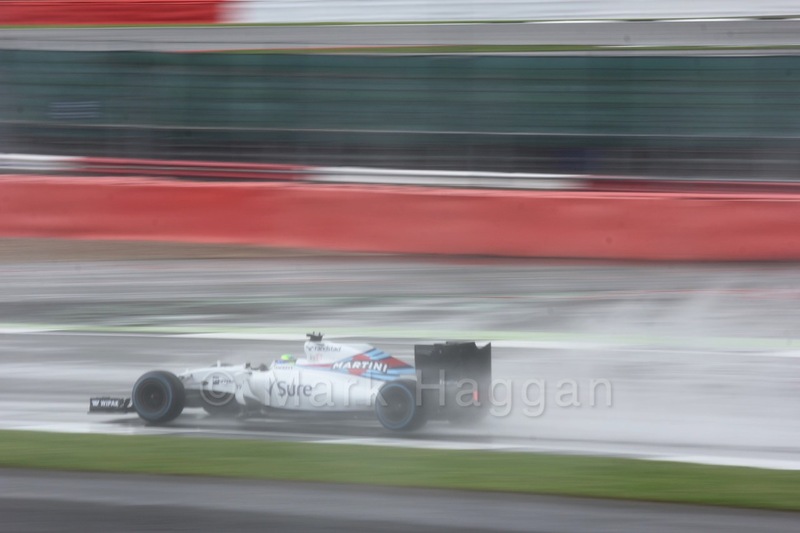 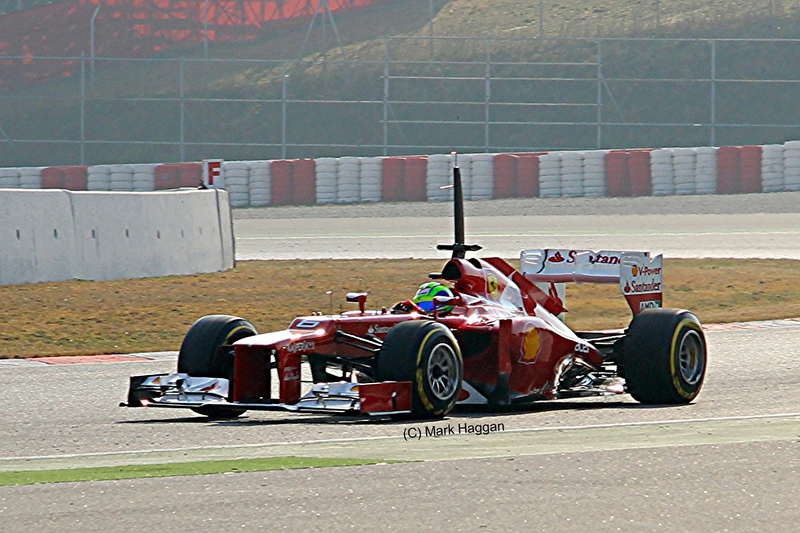 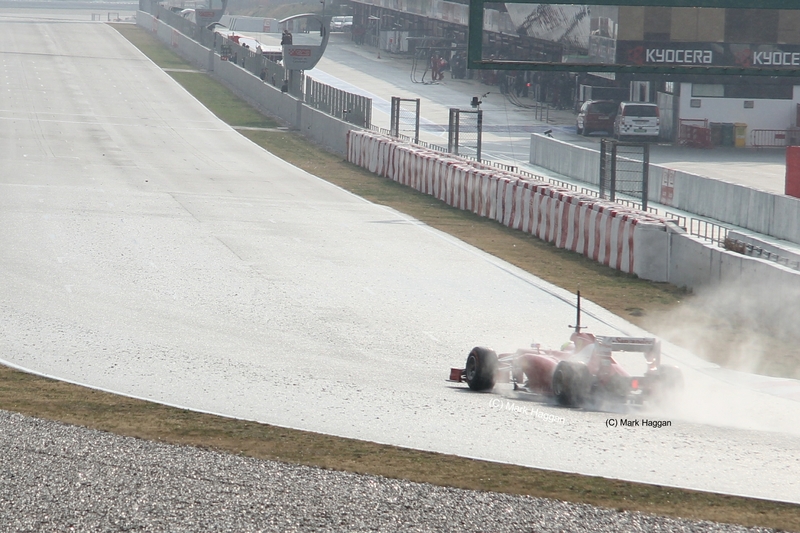 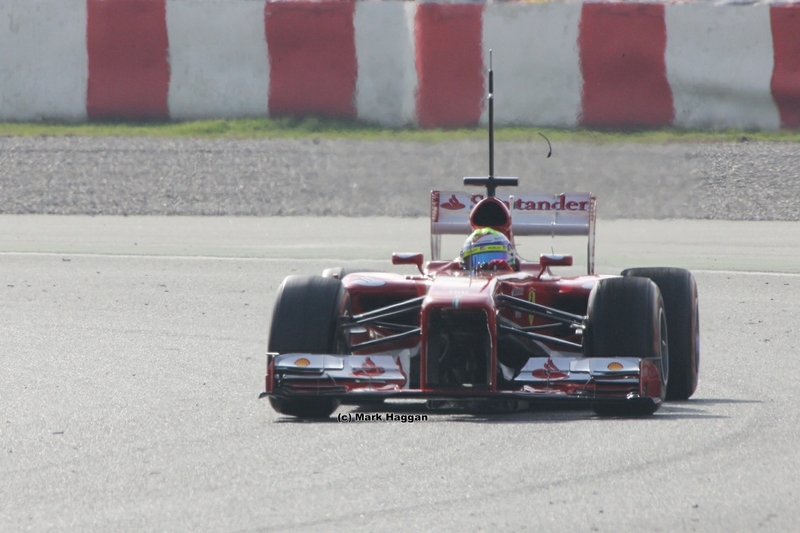 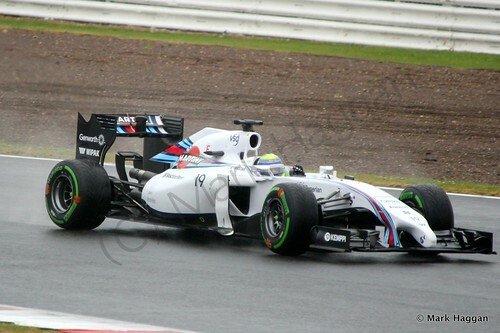 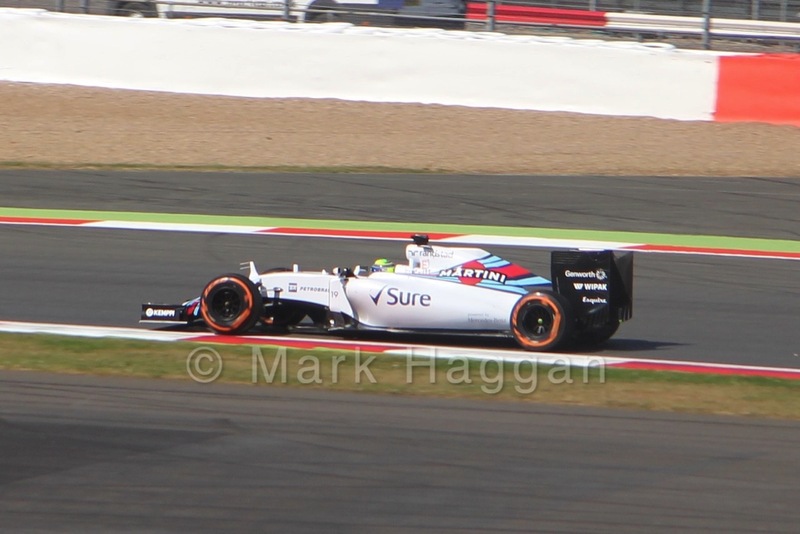 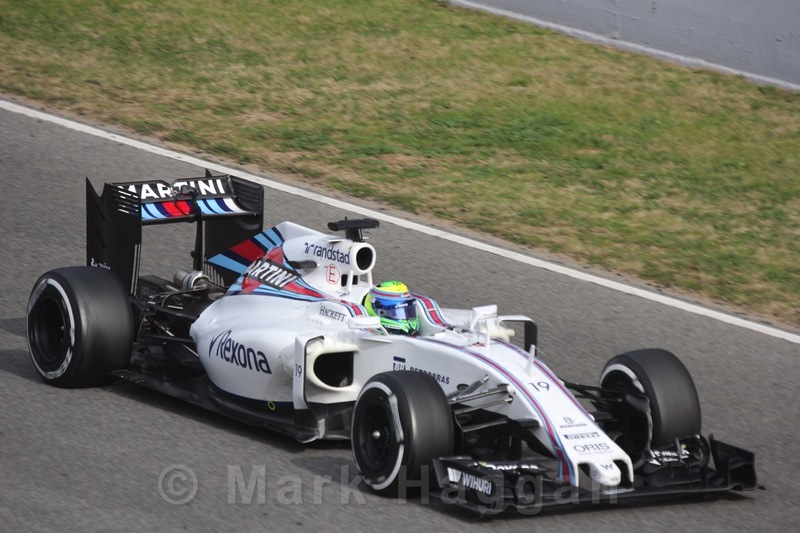 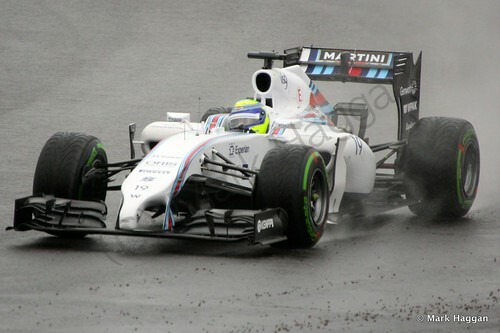 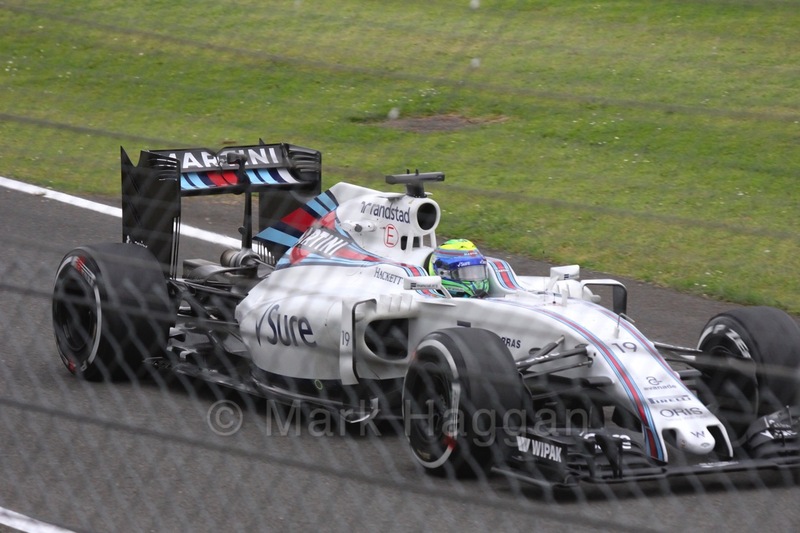 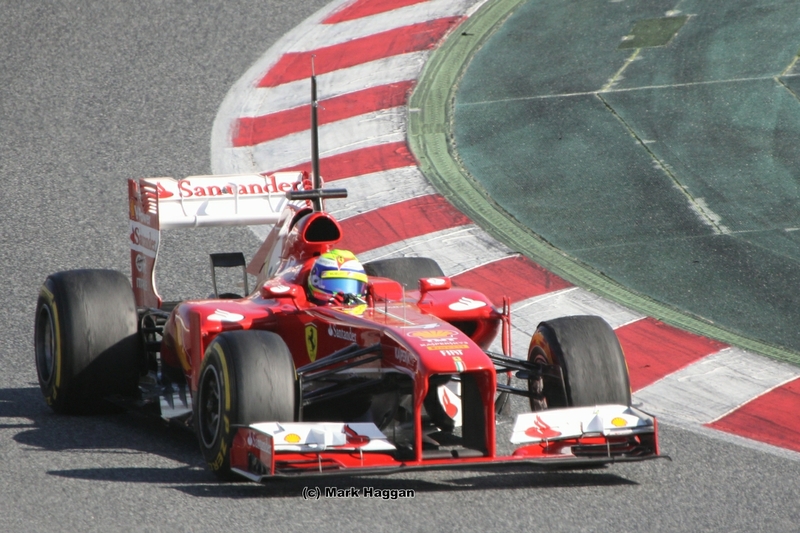 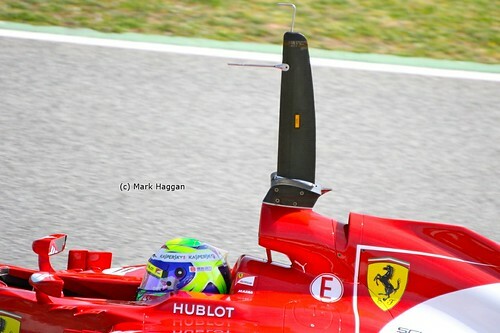 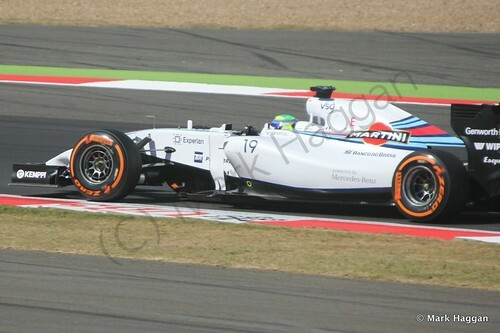 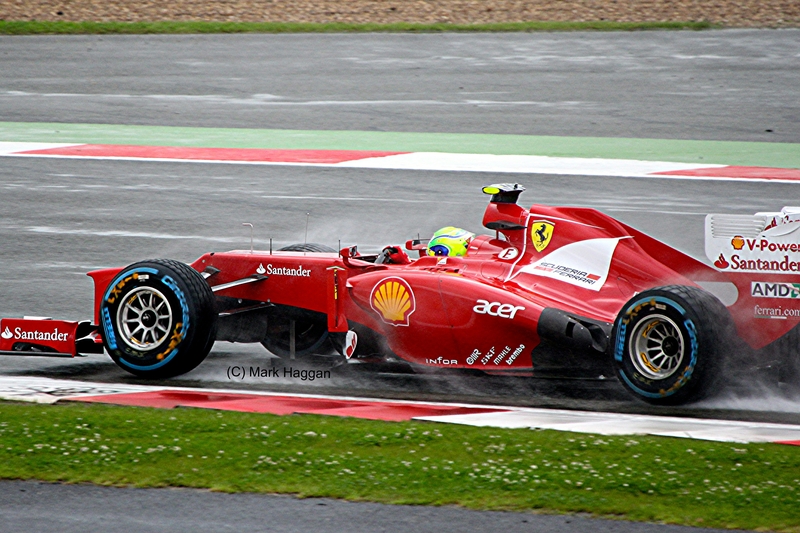 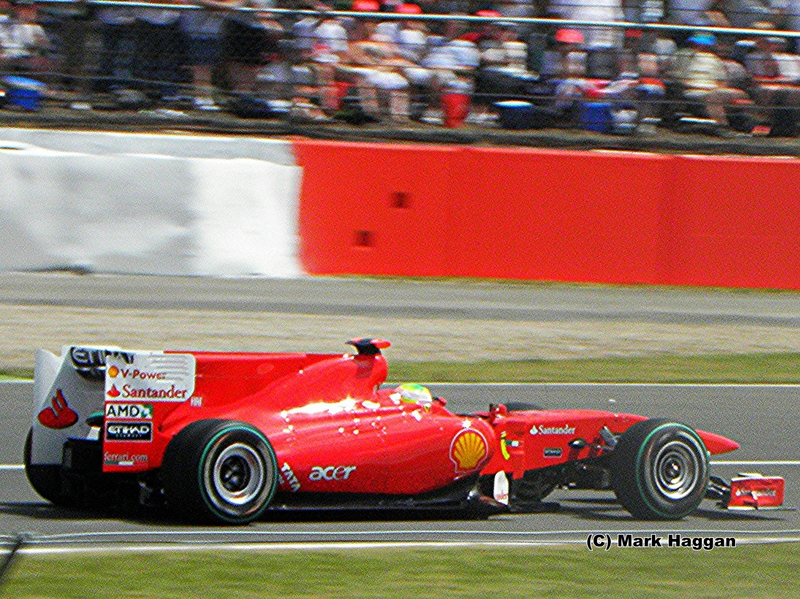 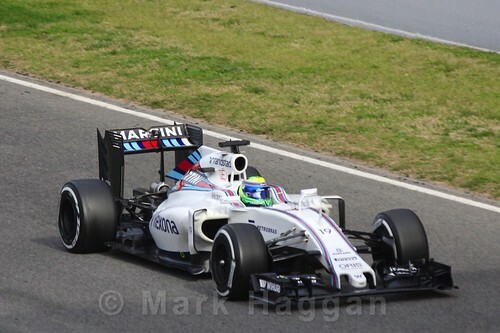 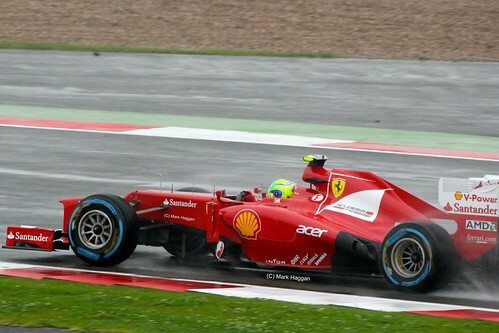 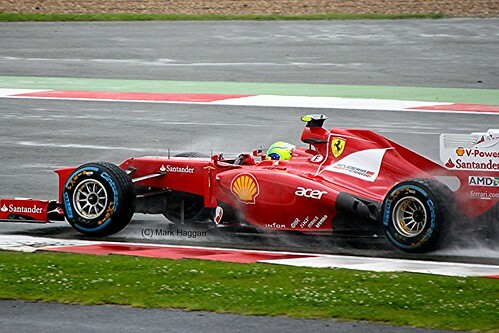 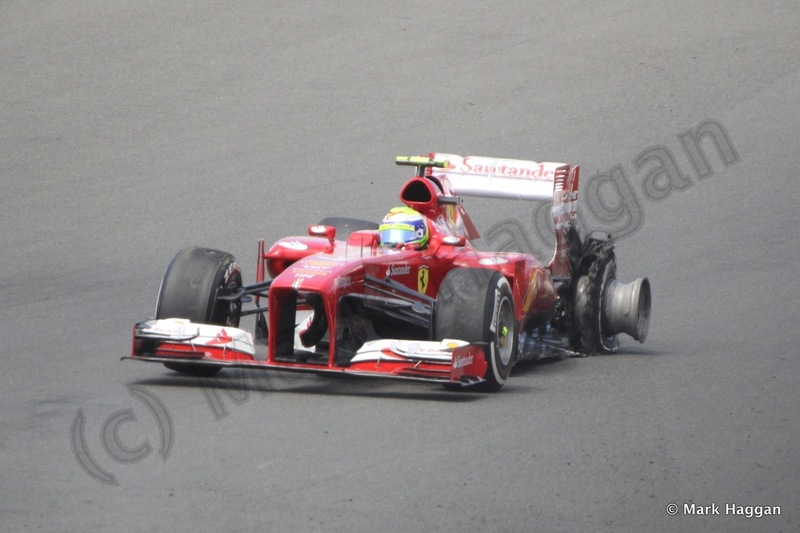 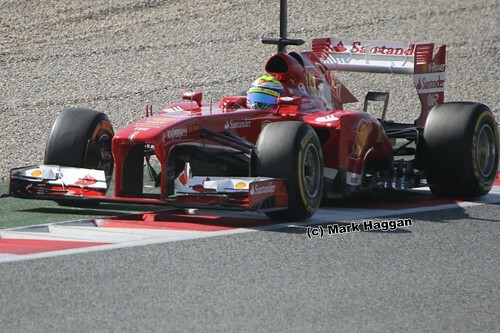 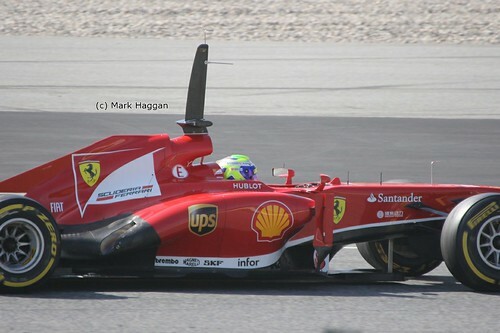 Formula One, Motor Racing F1, Felipe Massa, Formula One, Gallery, Massa. permalink.